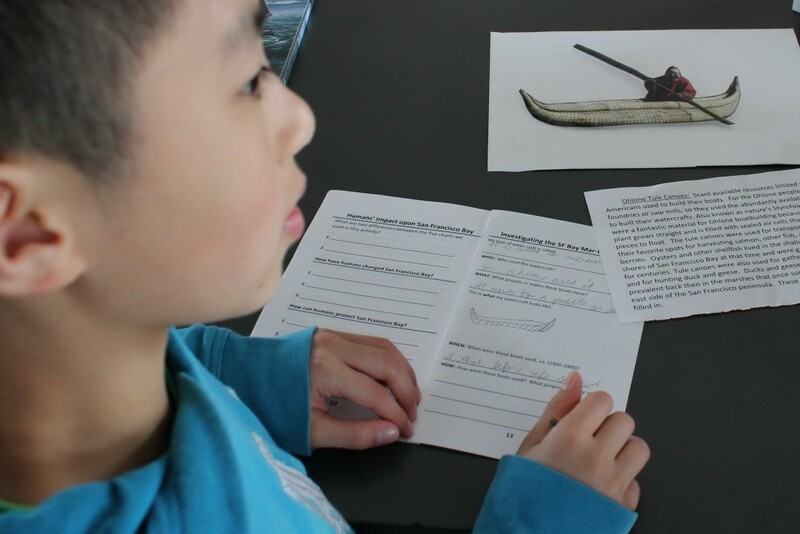 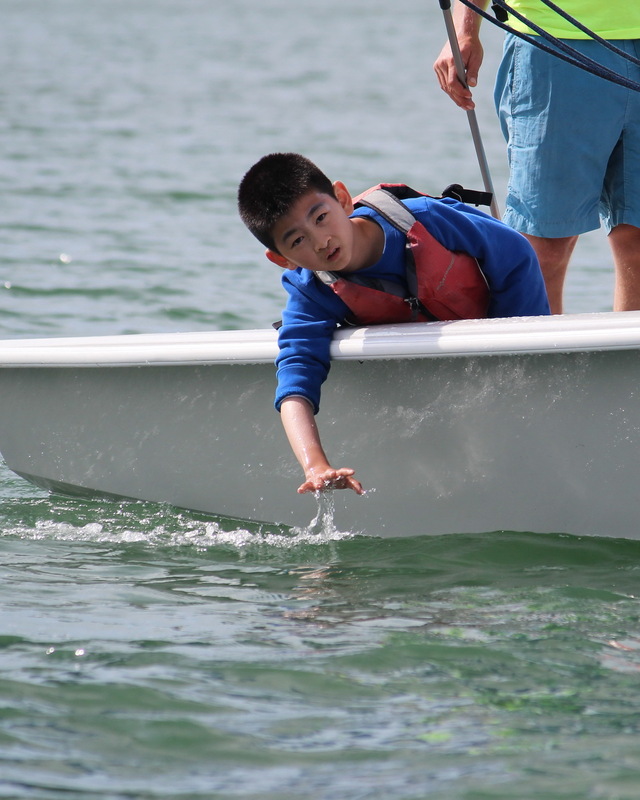 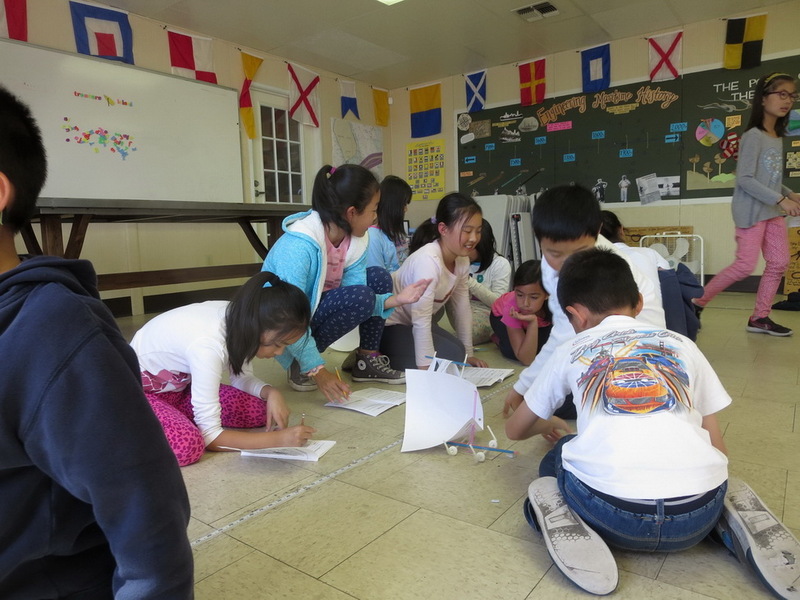 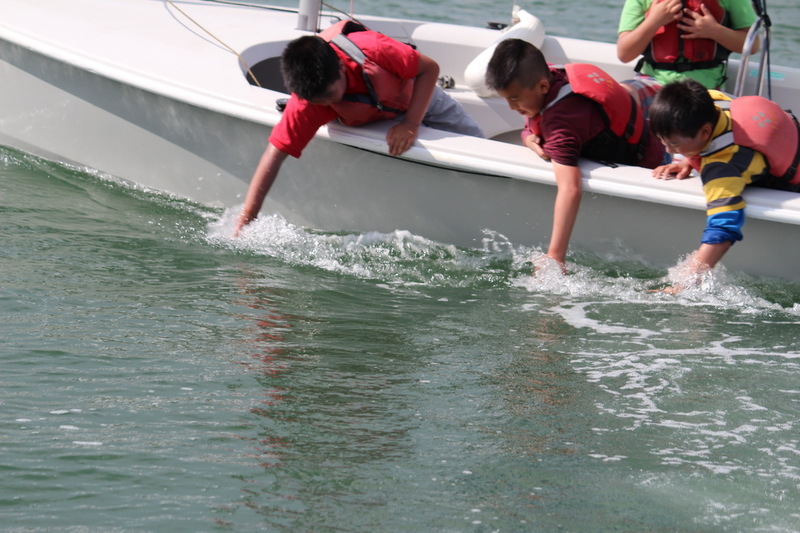 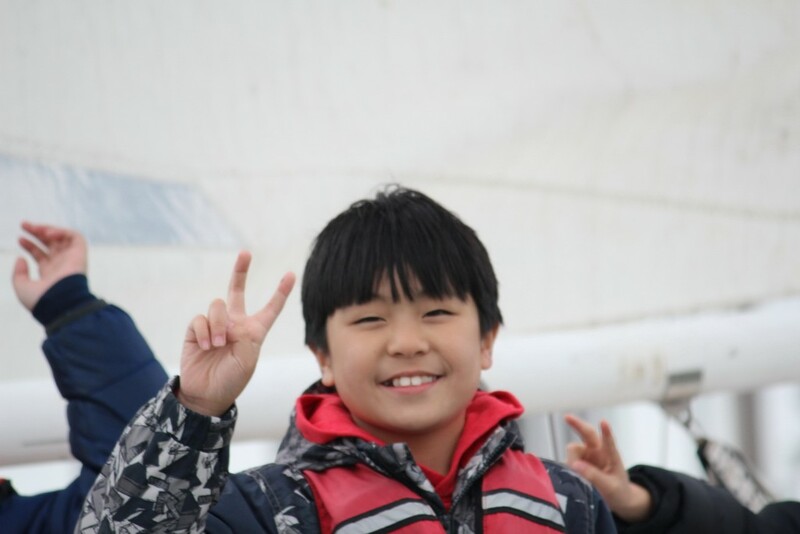 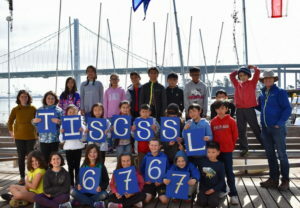 Gordon J. Lau Elementary school fourth graders from Chinatown studied canoes, schooners and container ships at TISC on Monday. 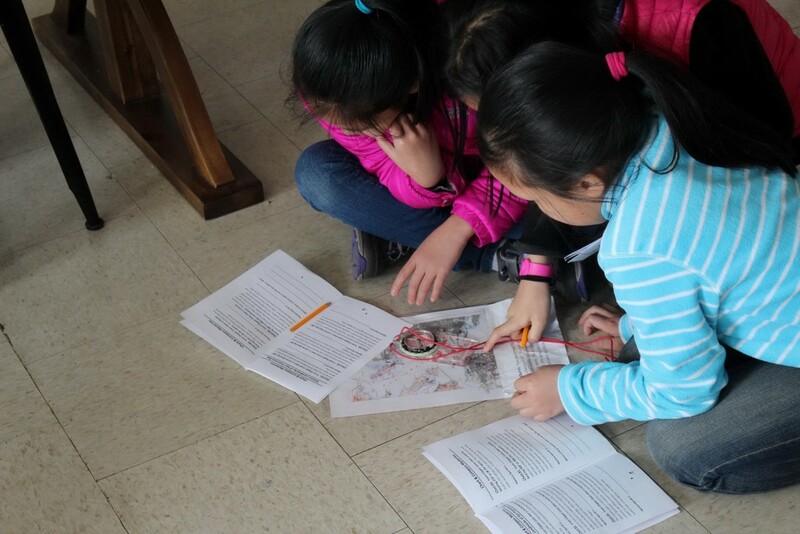 And mapped SF Bay mystery spots using compasses. 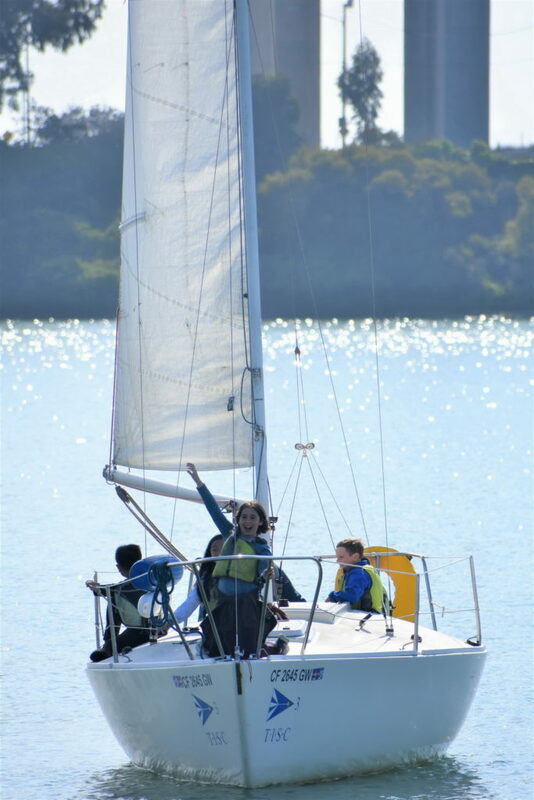 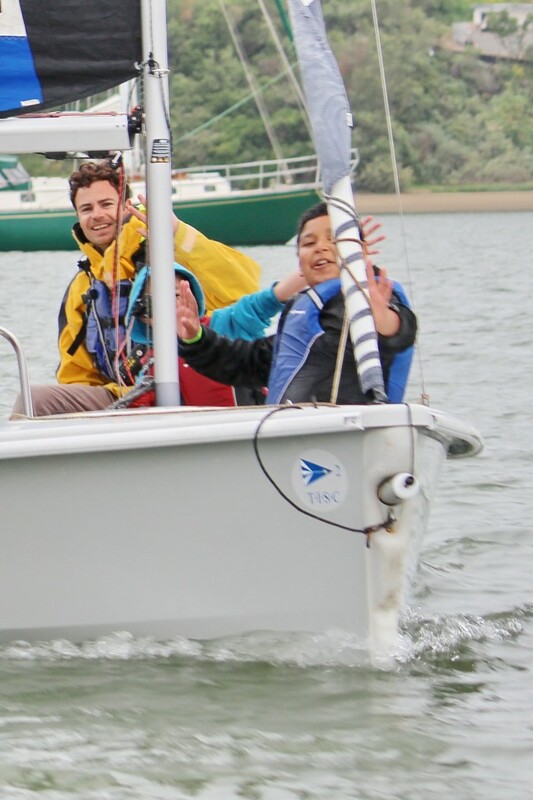 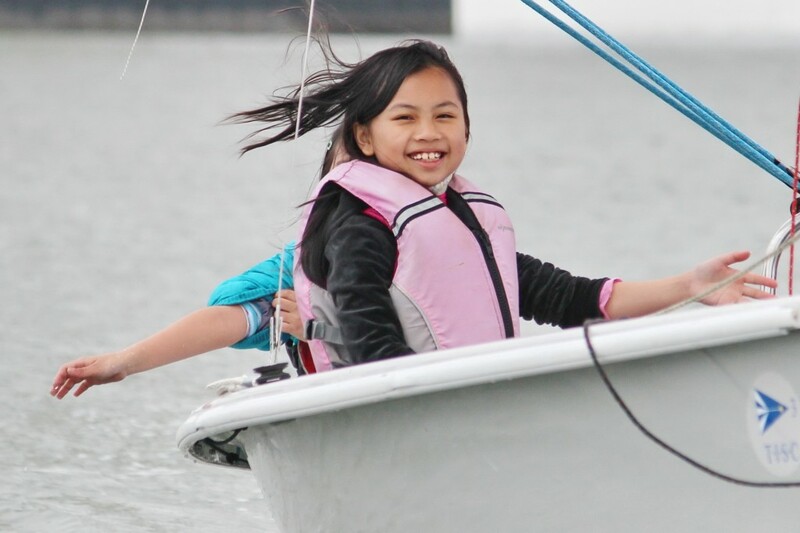 Hands-on-the-tiller of a real sailboat created big smiles – no surprise there. 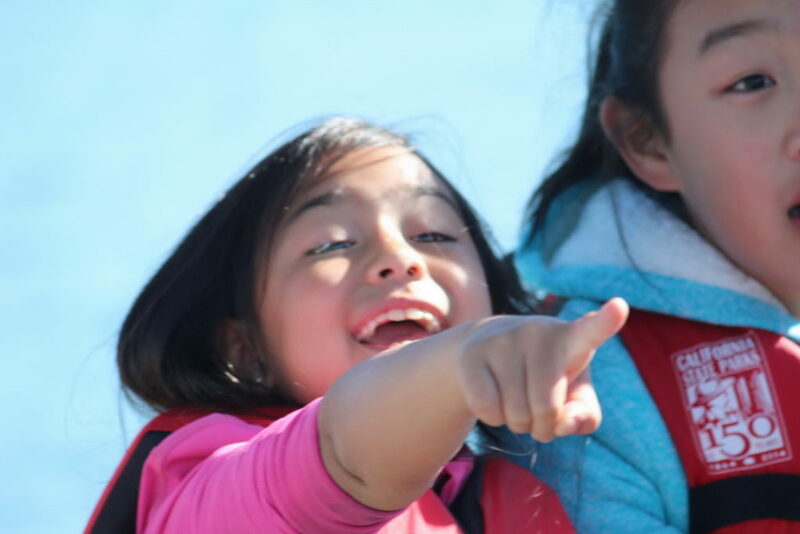 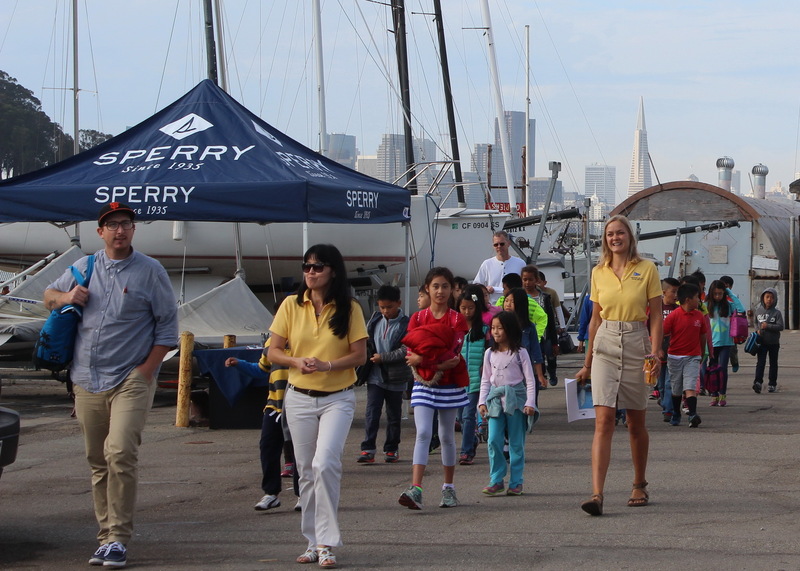 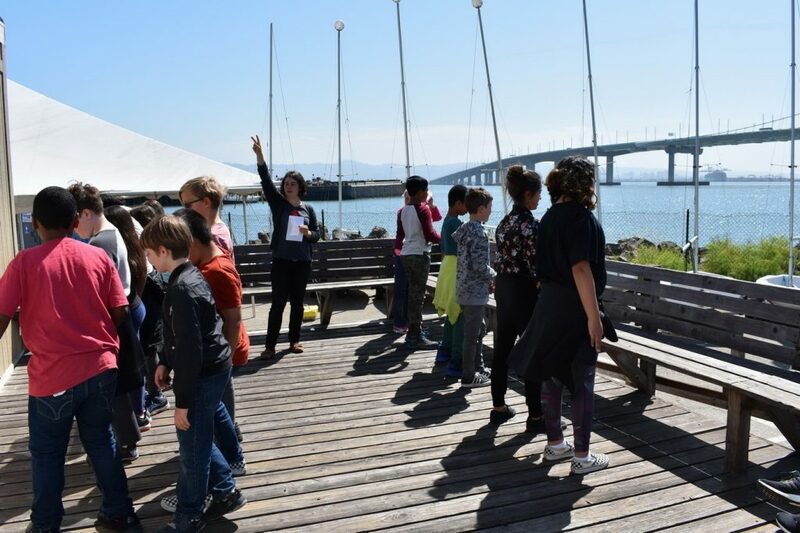 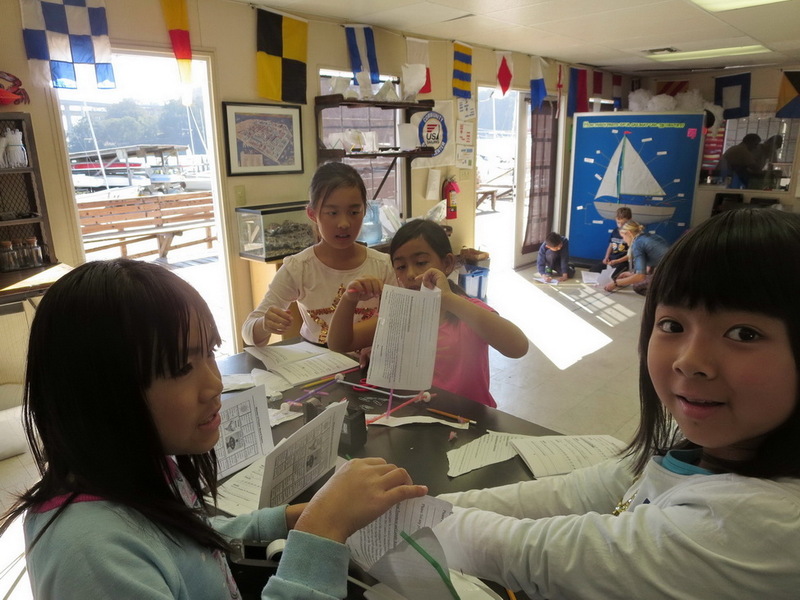 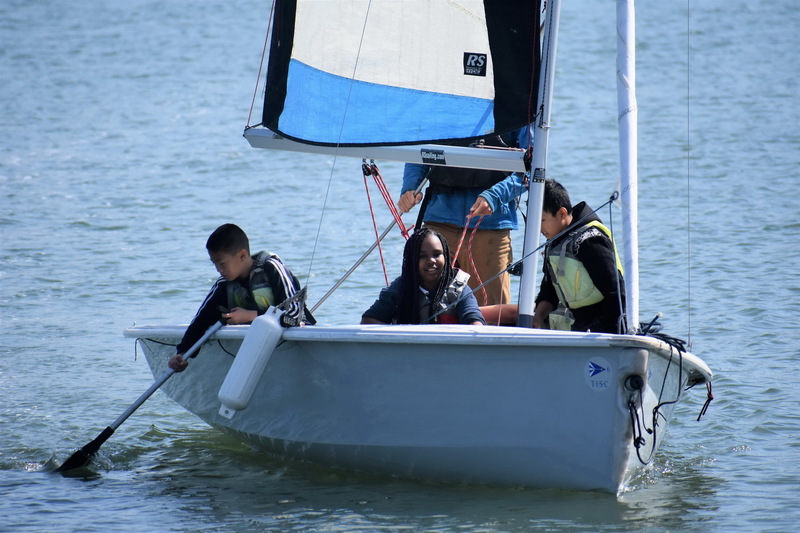 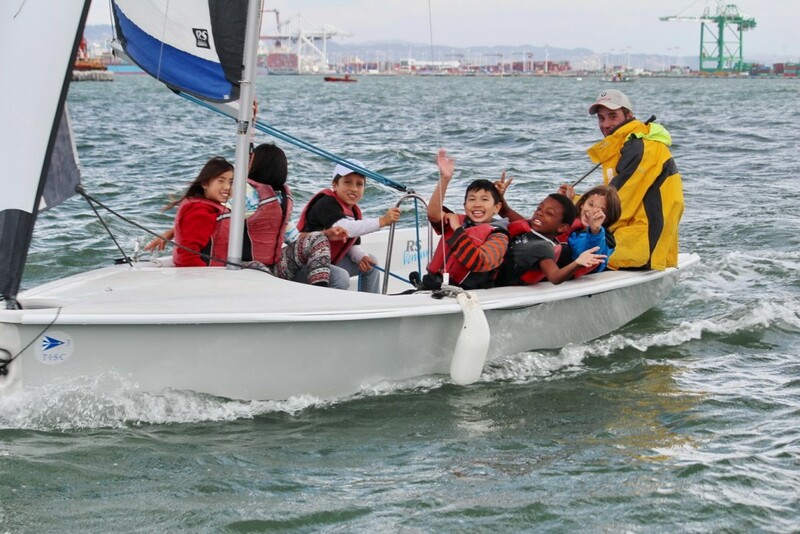 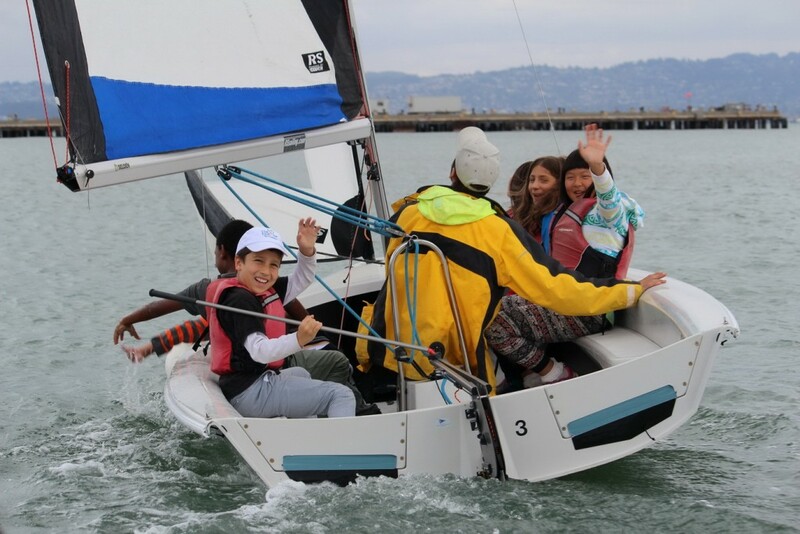 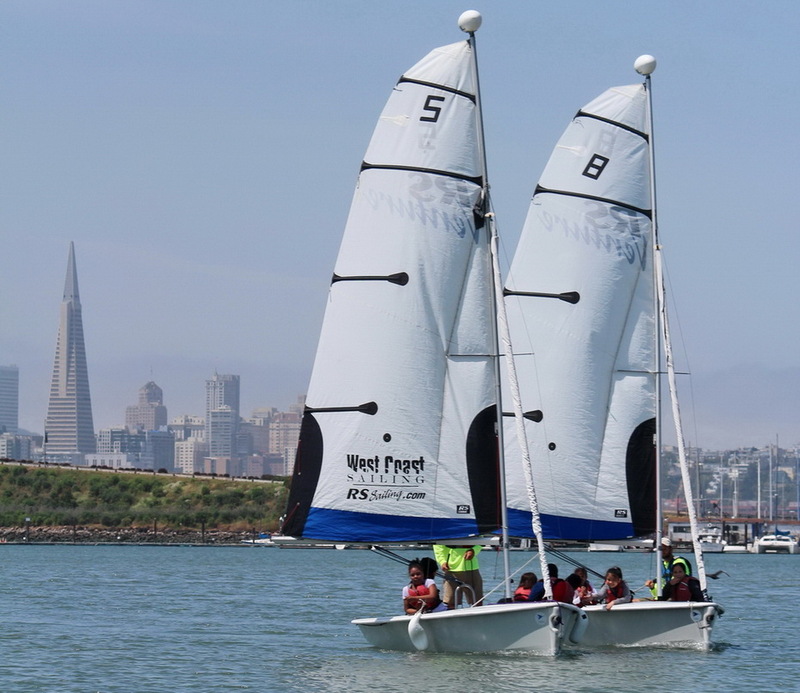 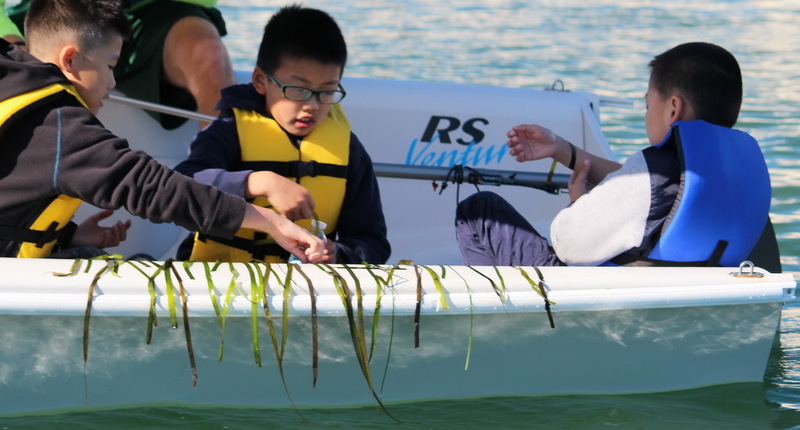 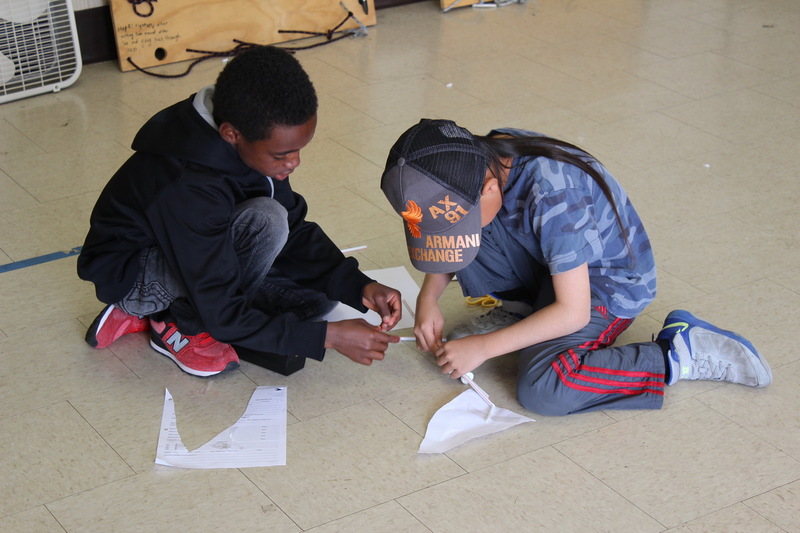 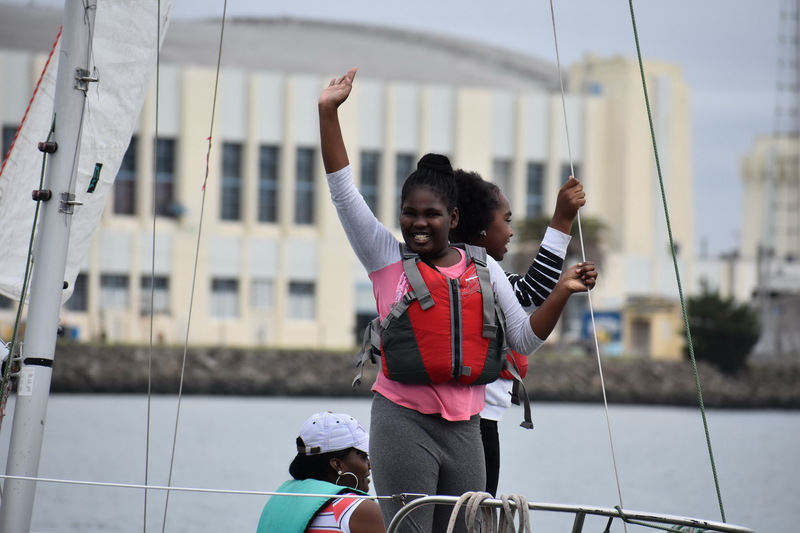 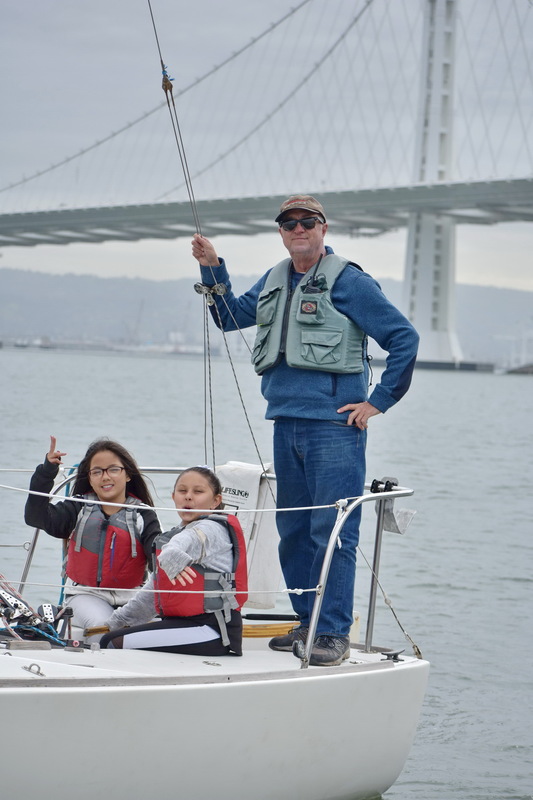 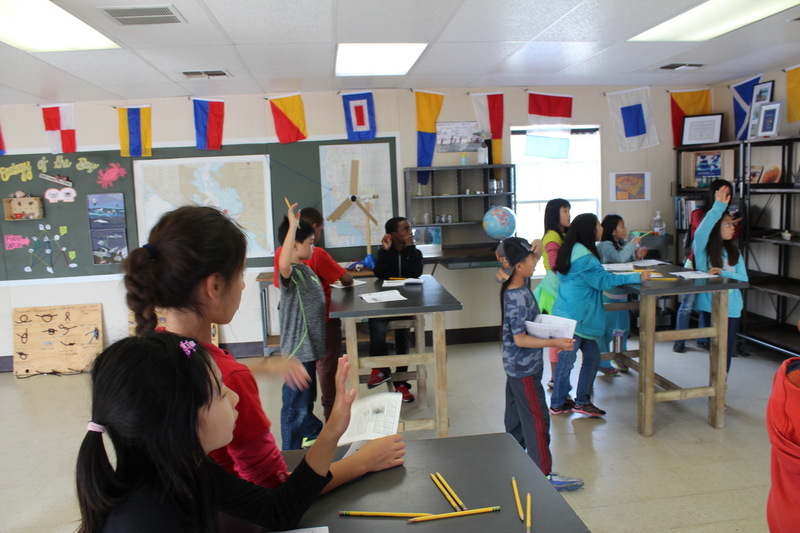 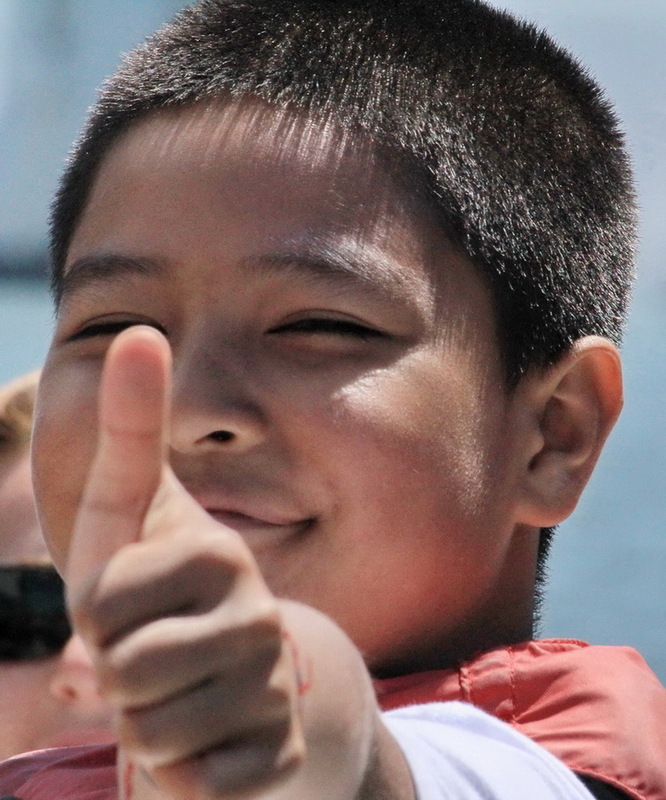 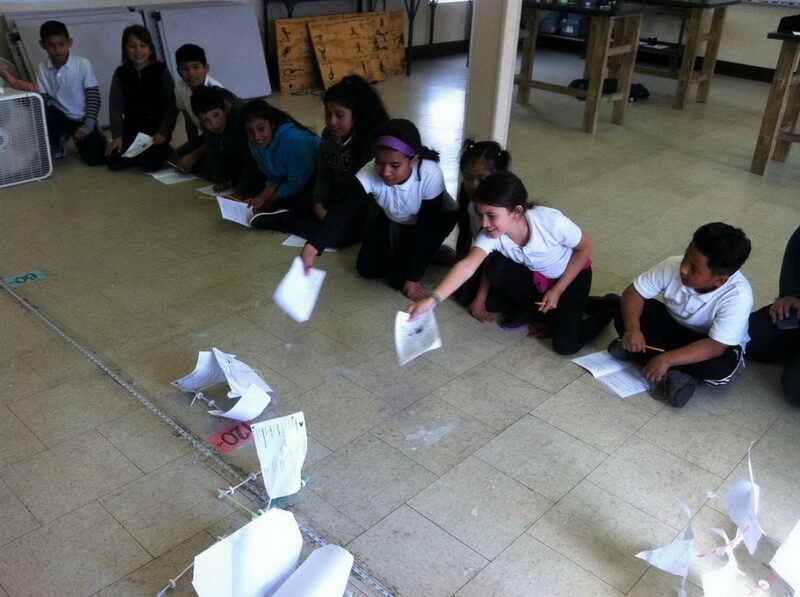 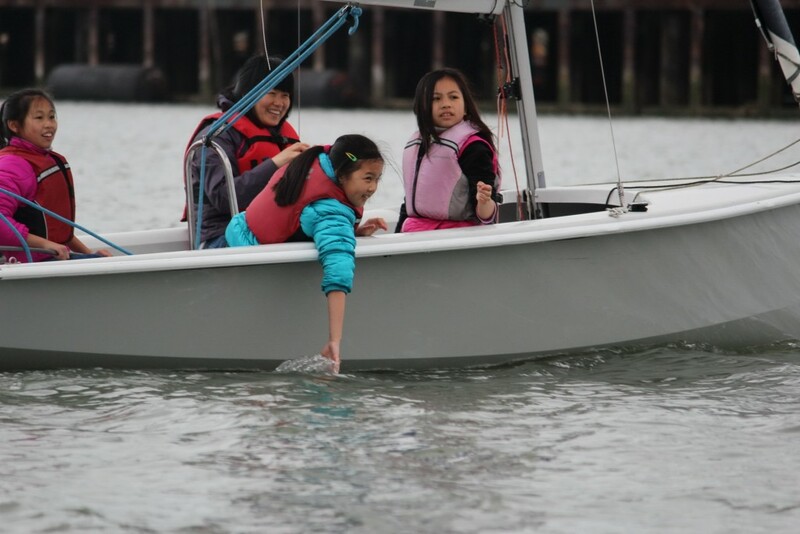 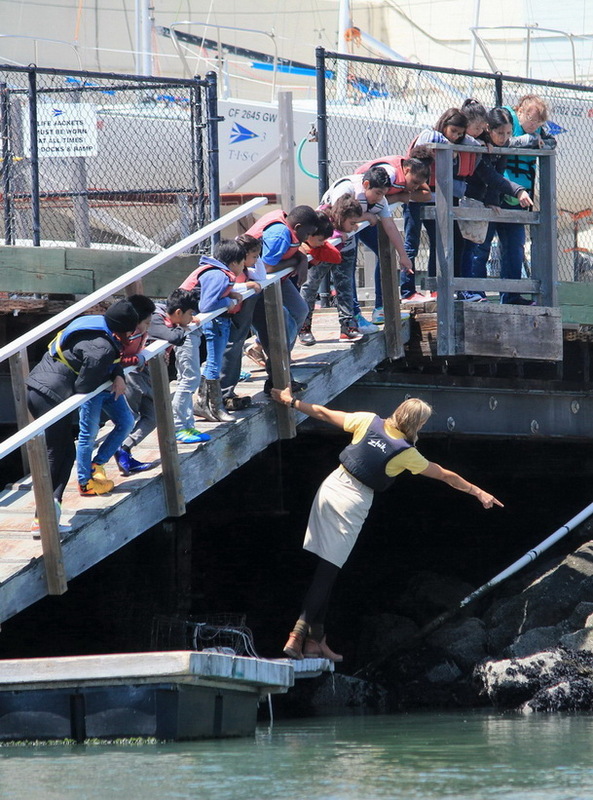 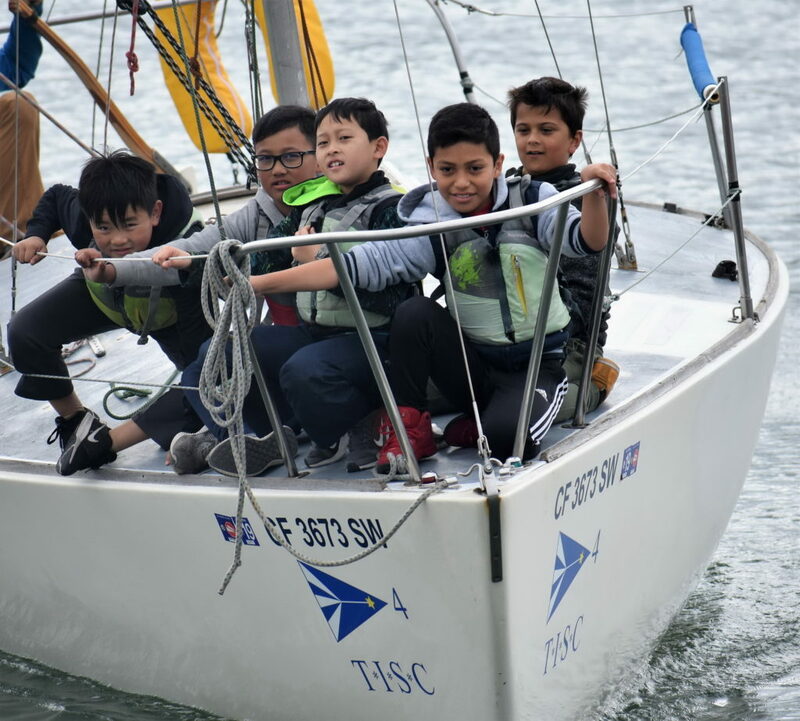 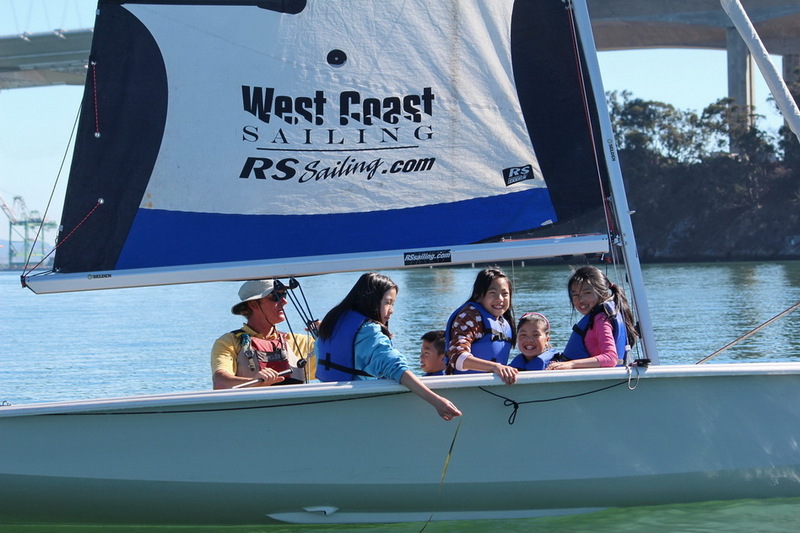 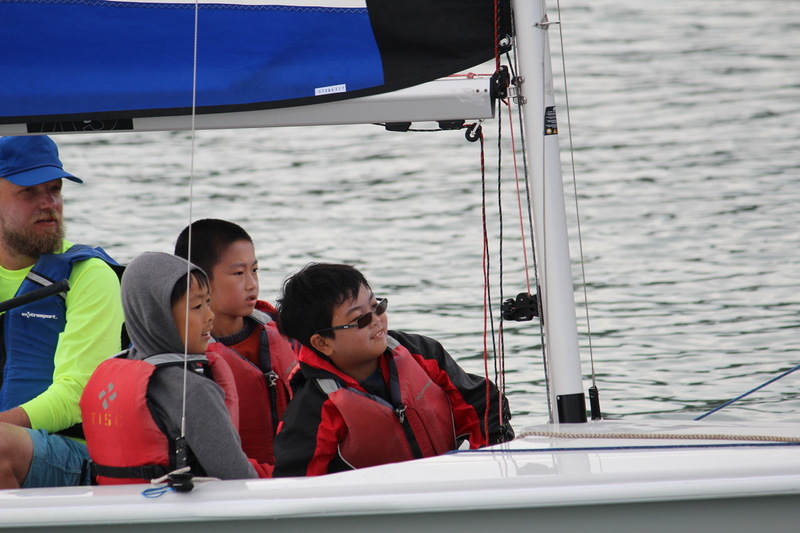 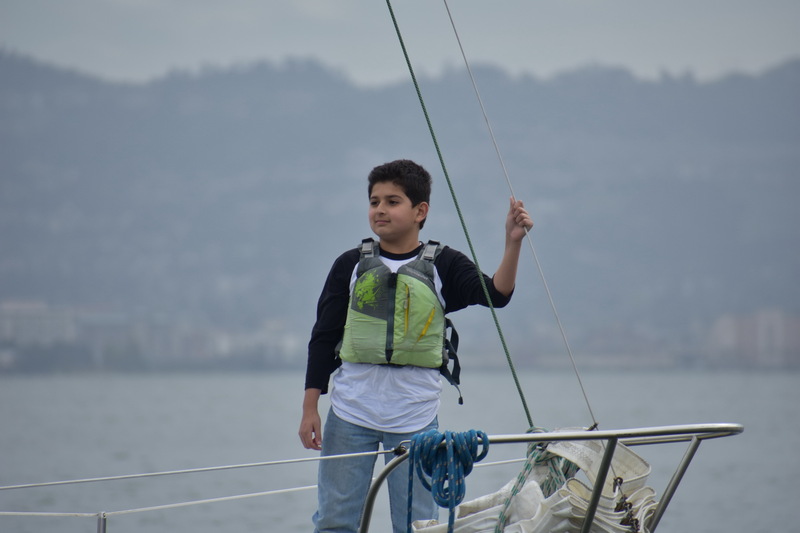 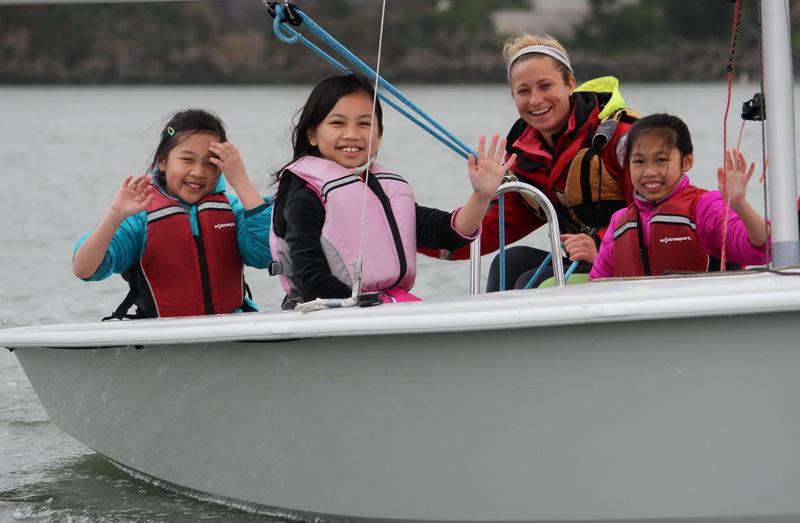 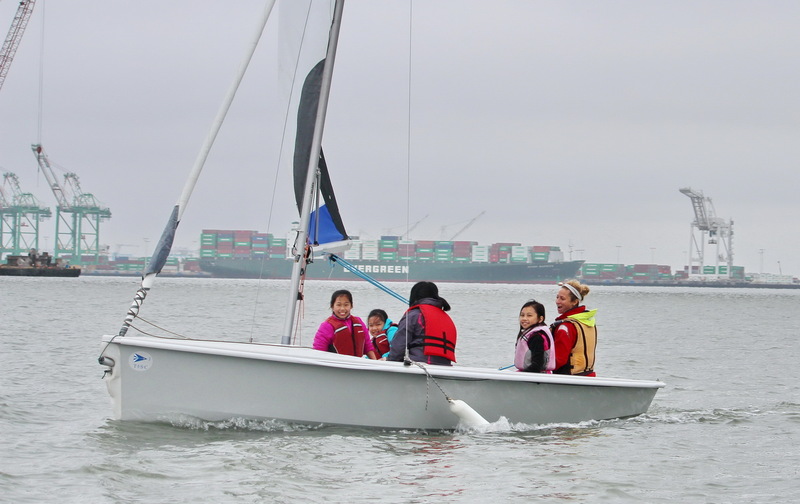 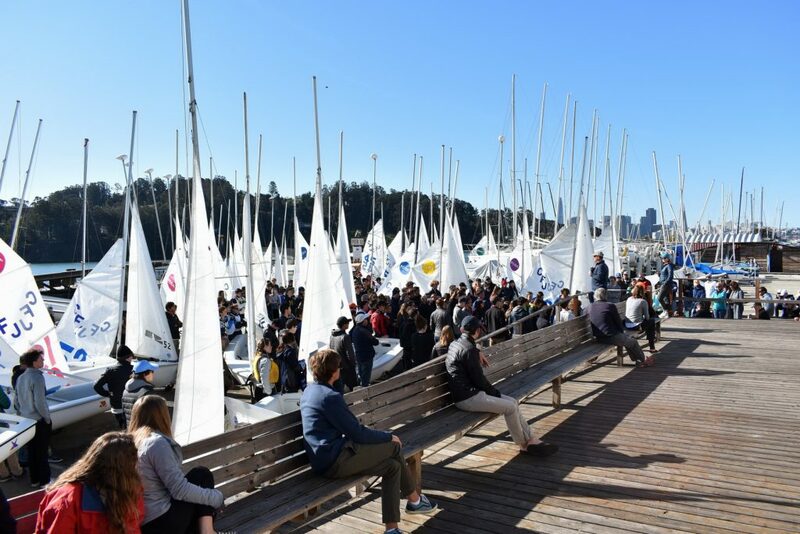 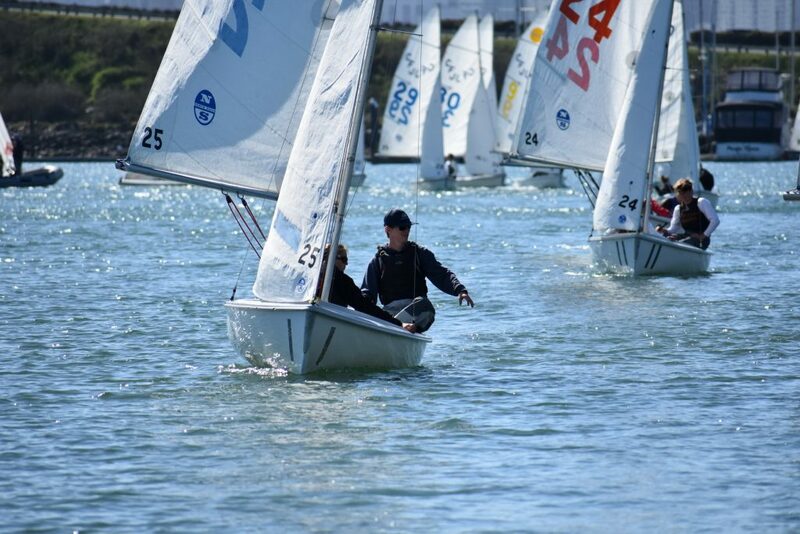 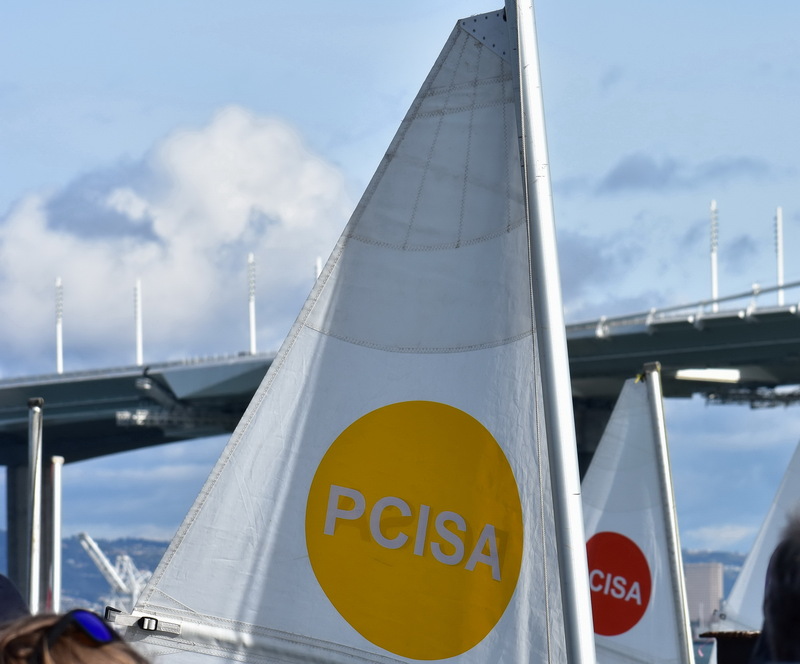 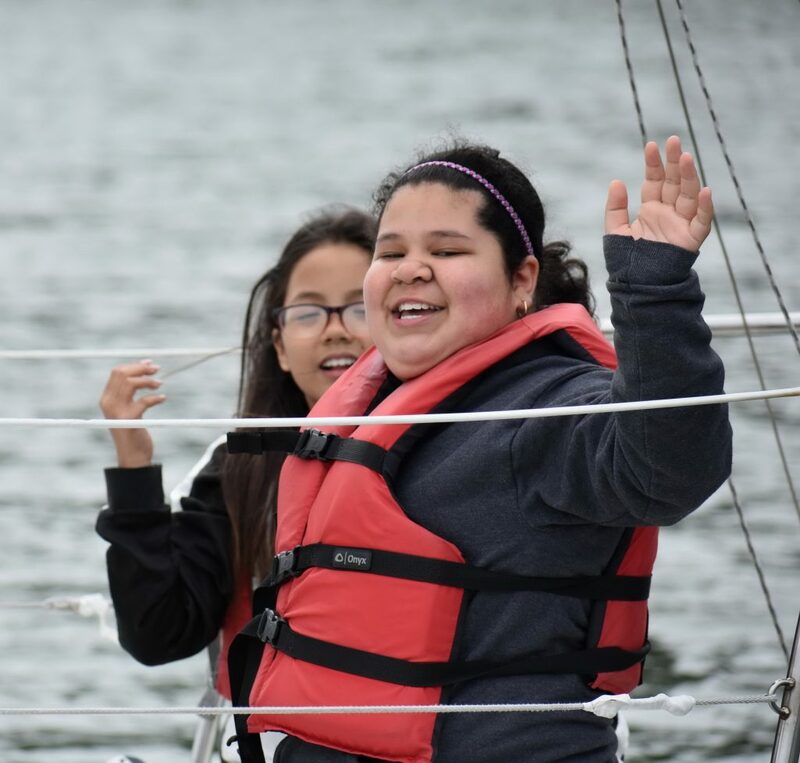 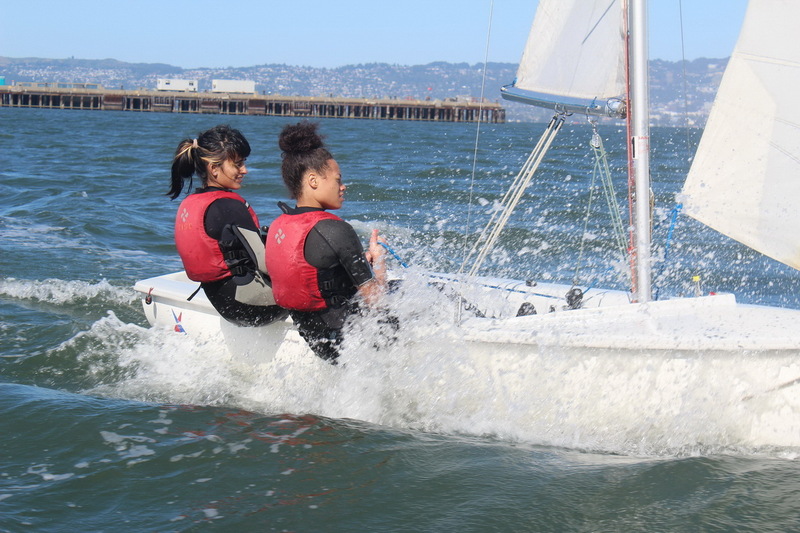 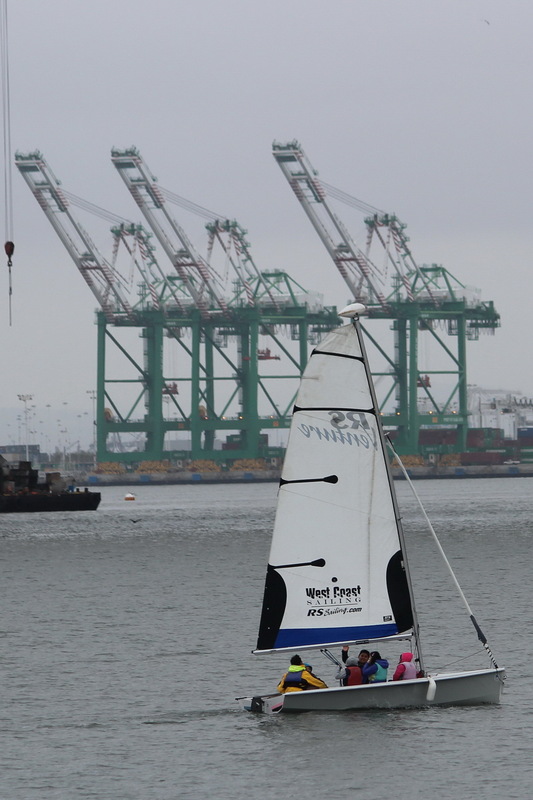 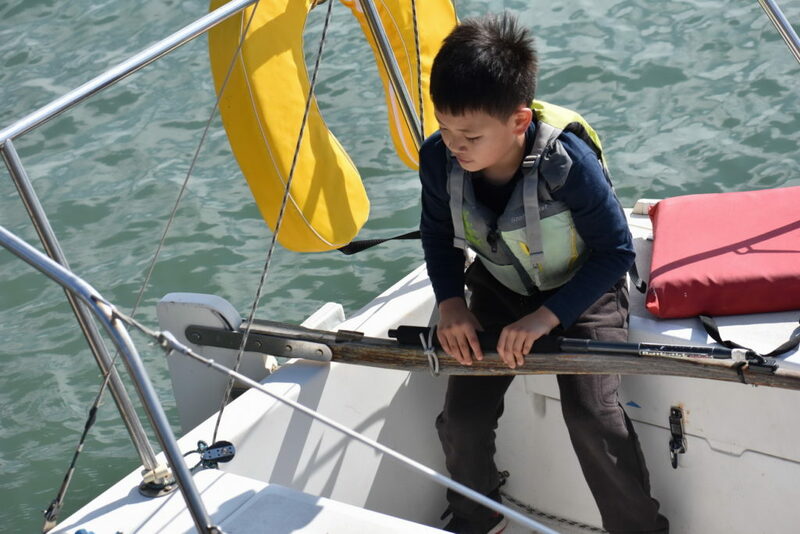 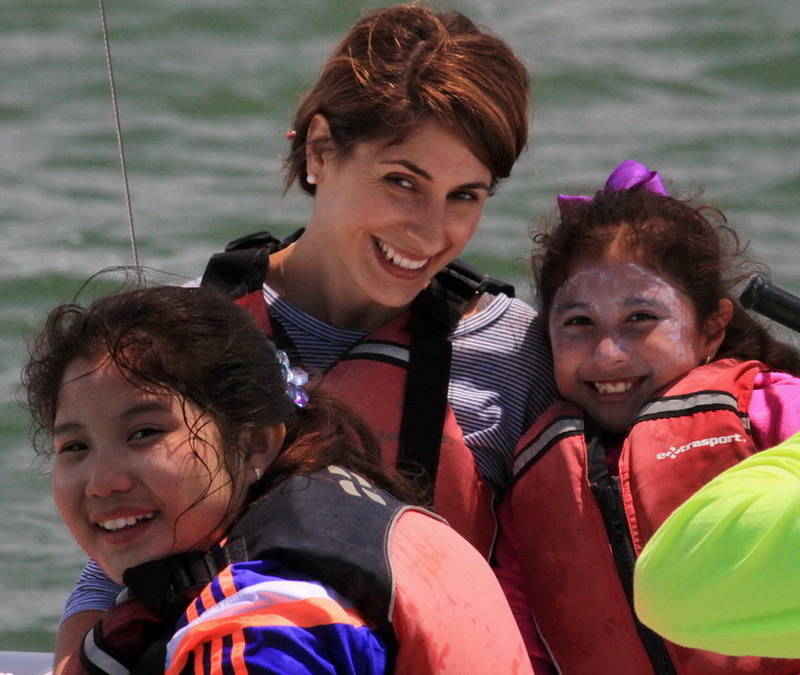 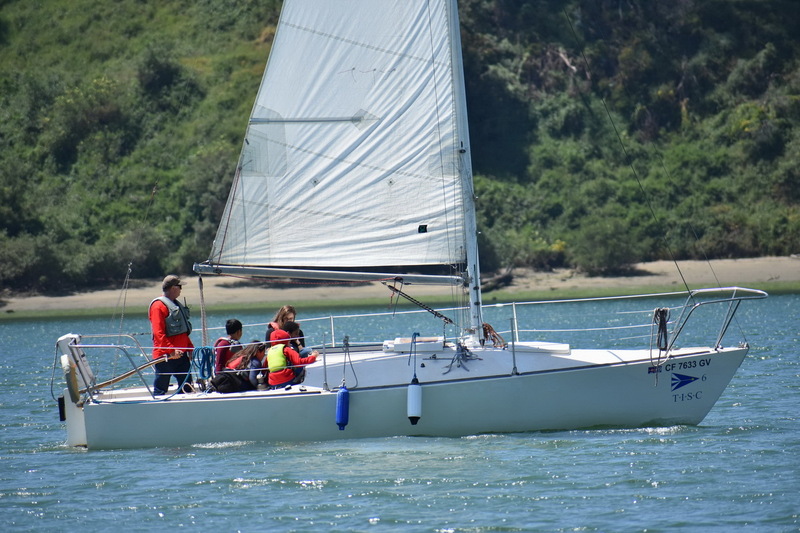 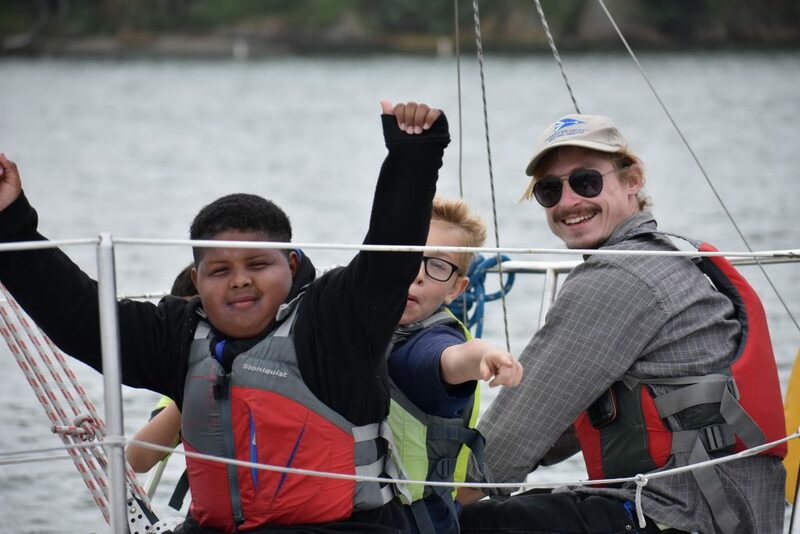 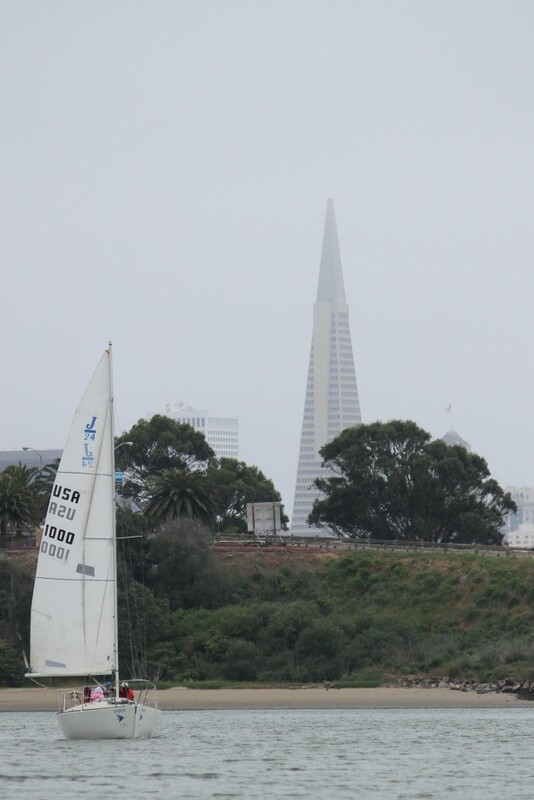 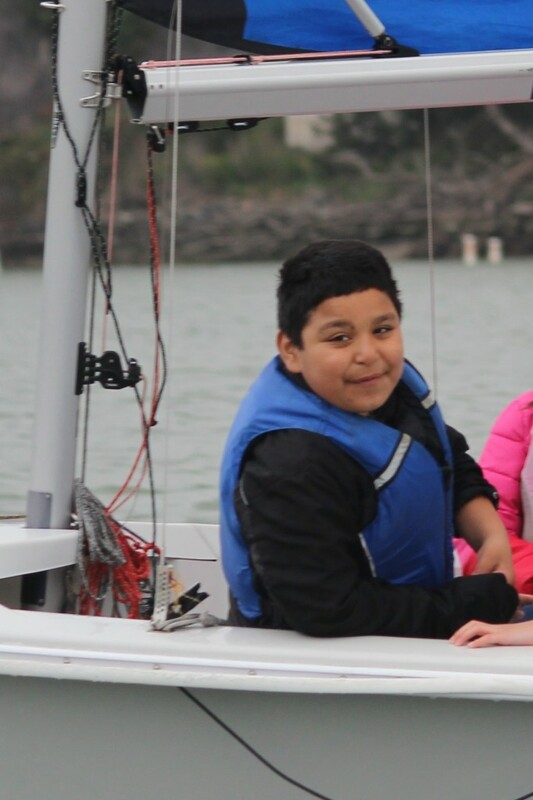 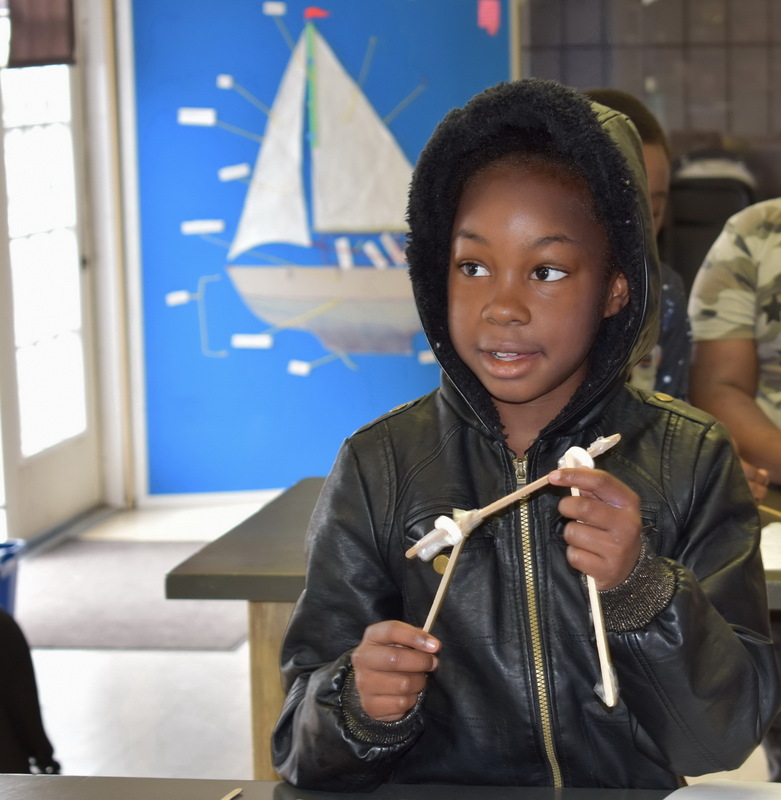 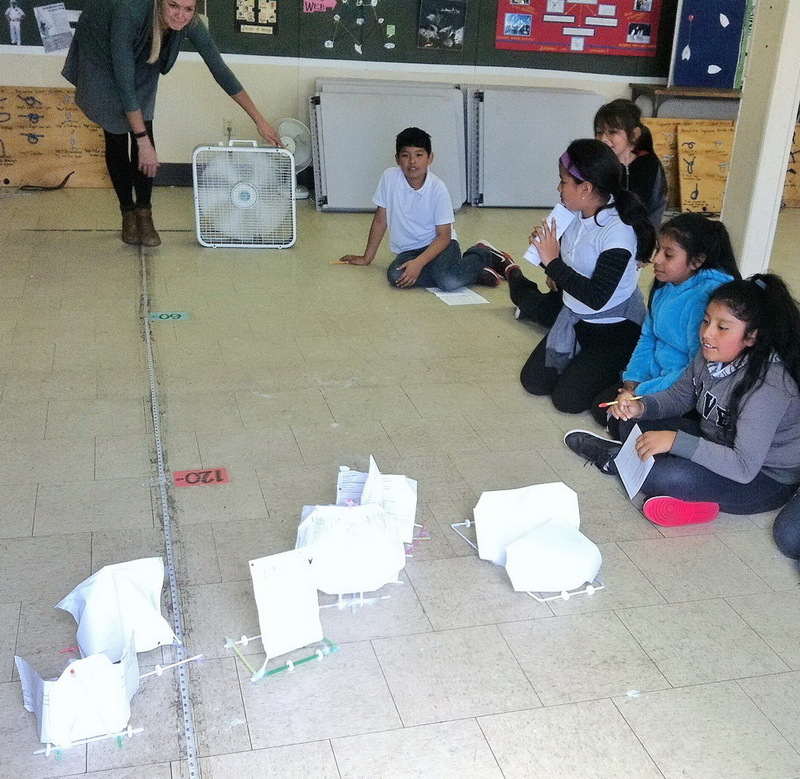 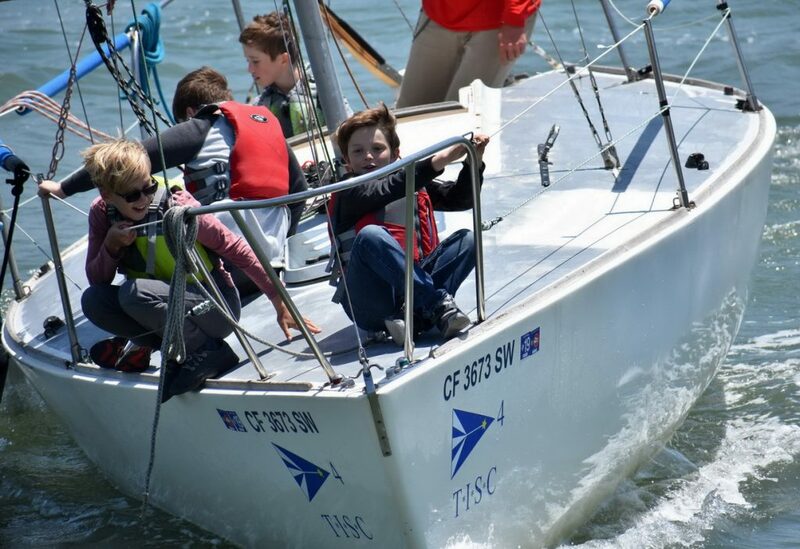 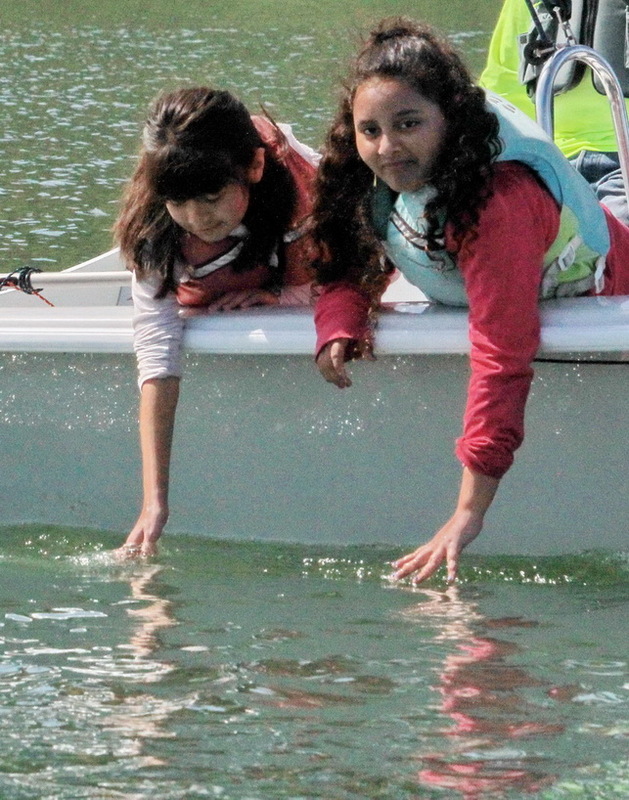 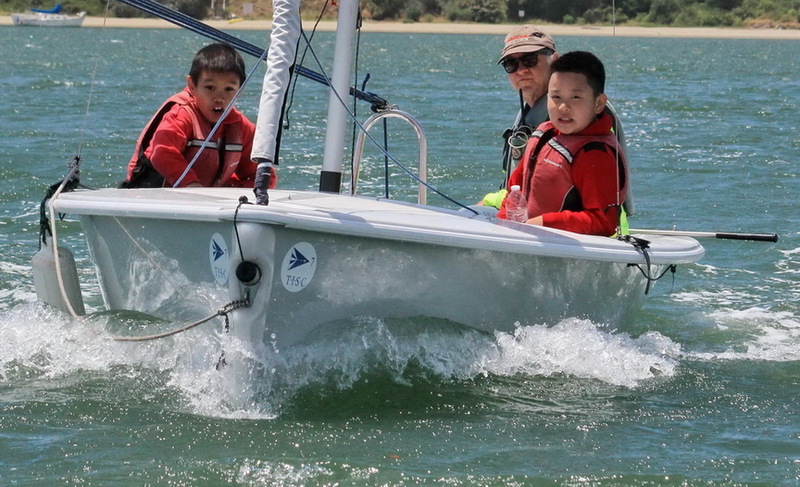 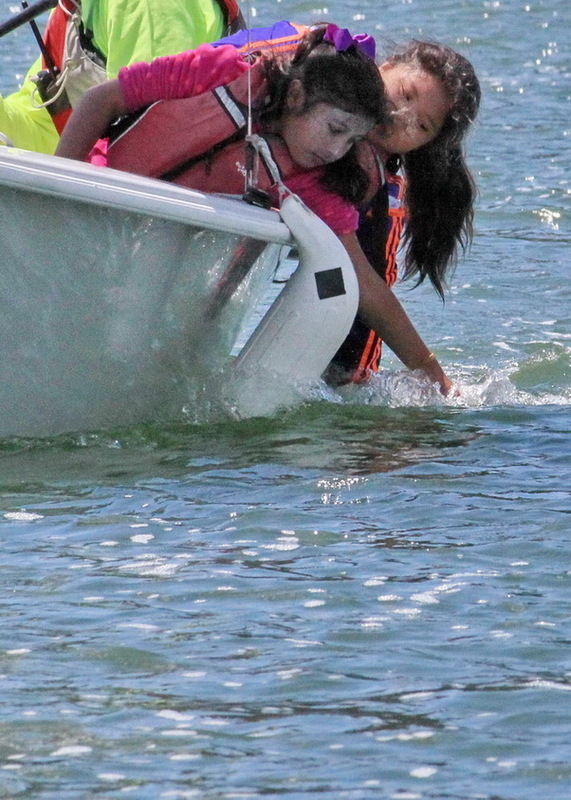 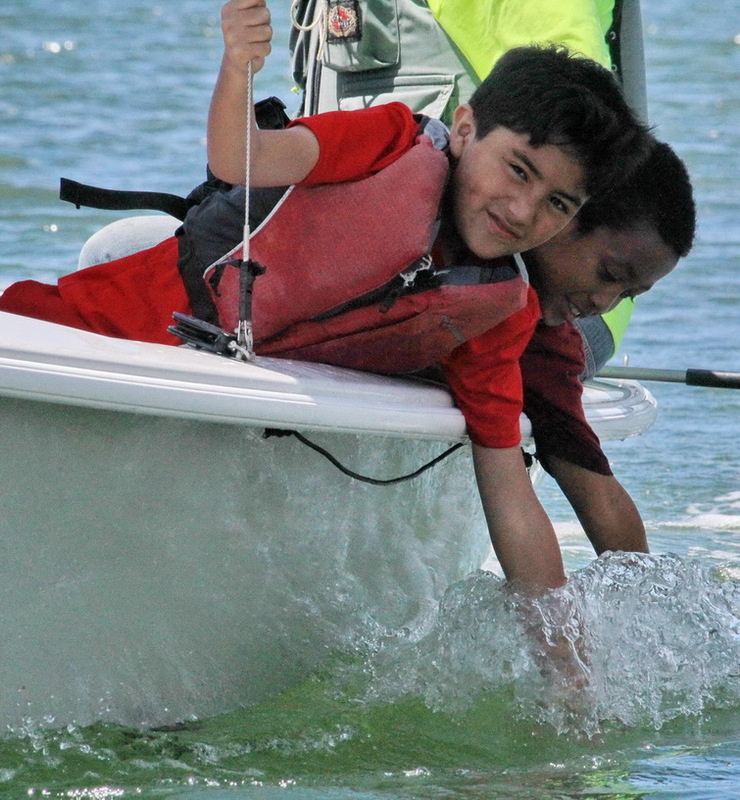 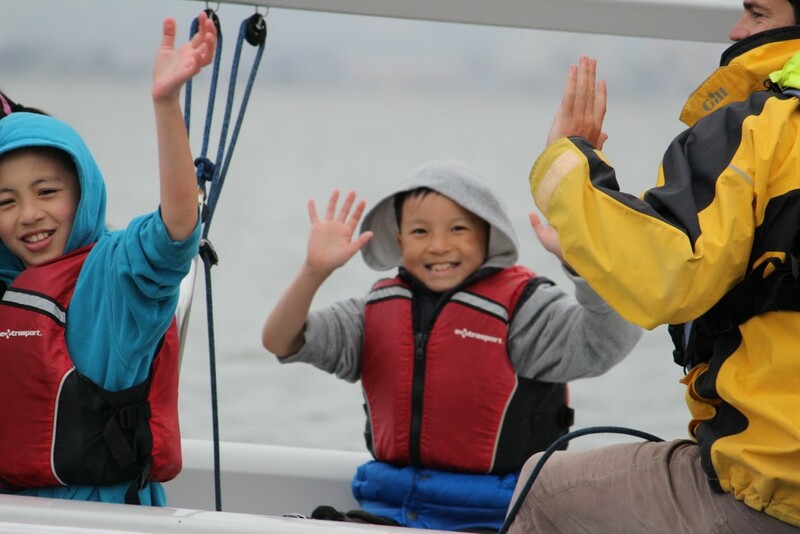 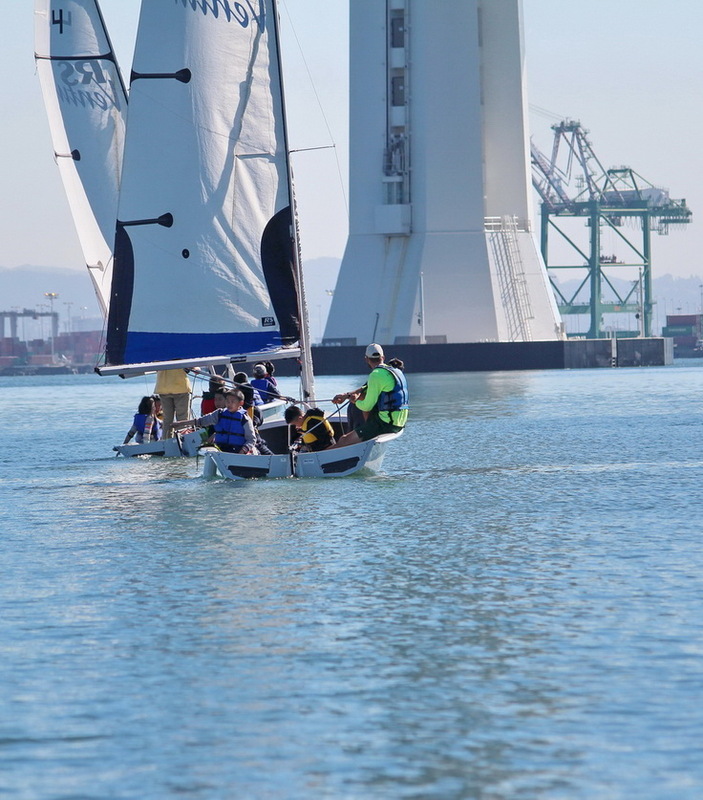 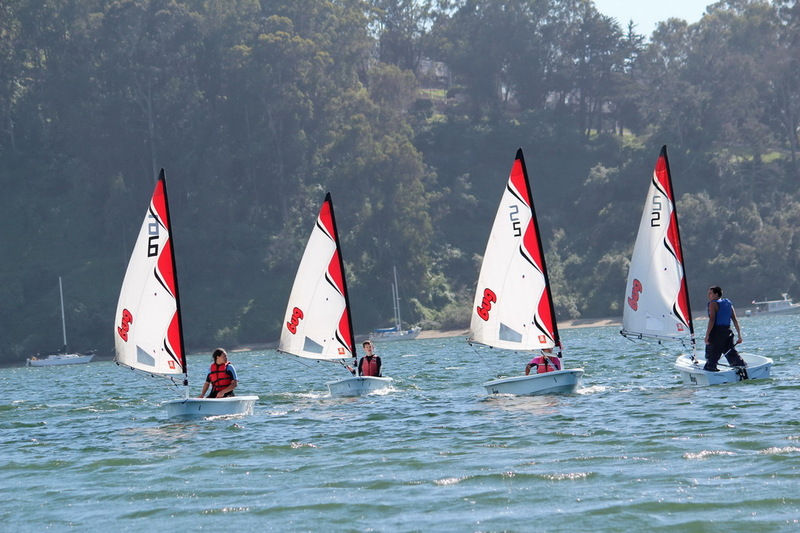 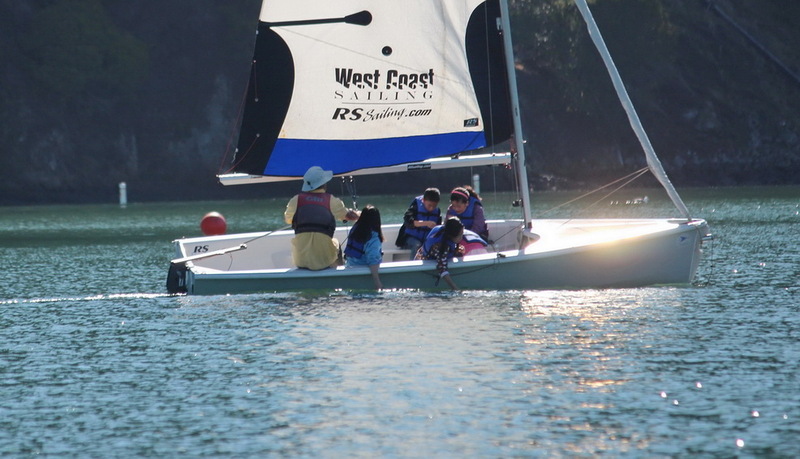 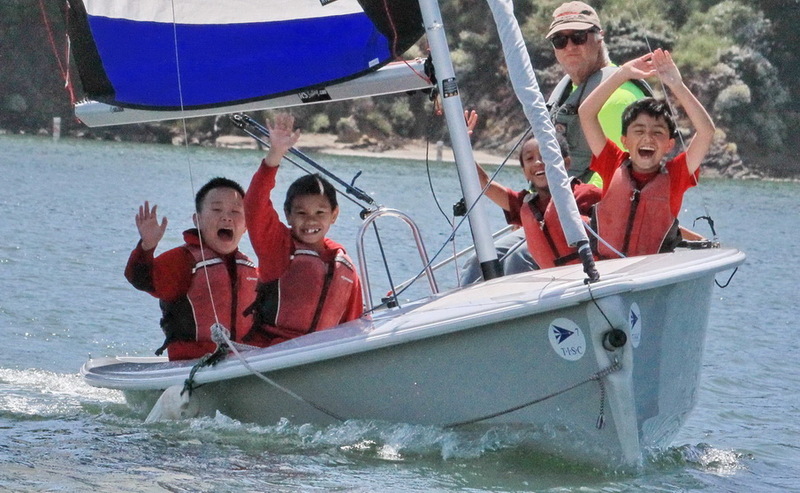 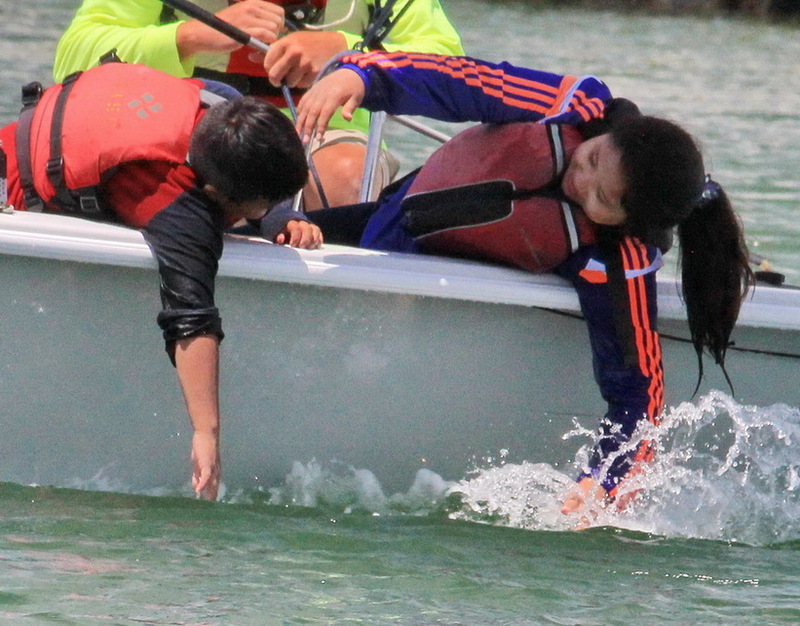 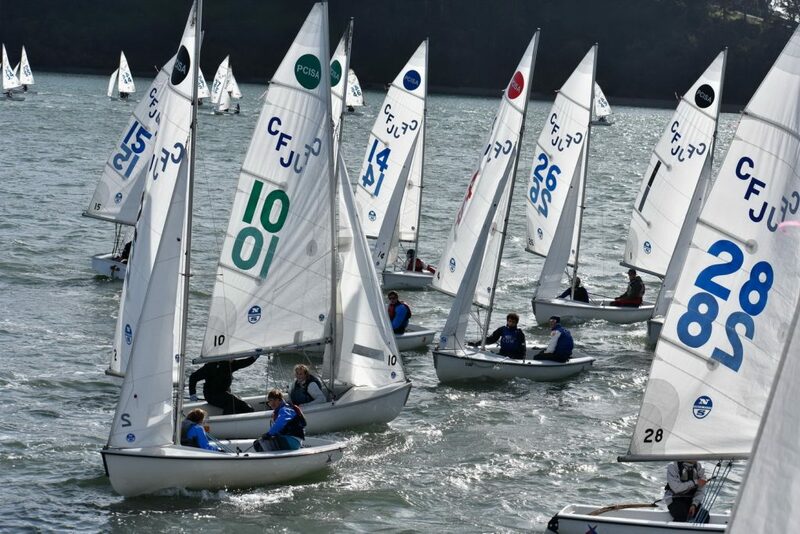 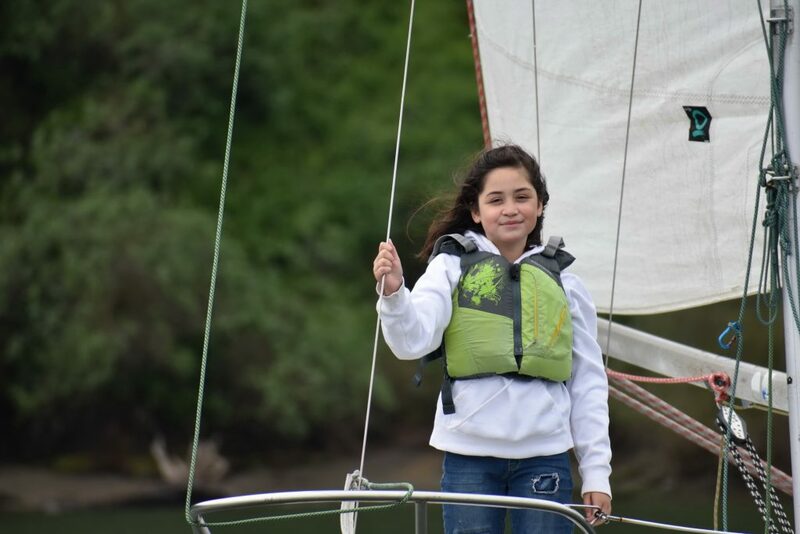 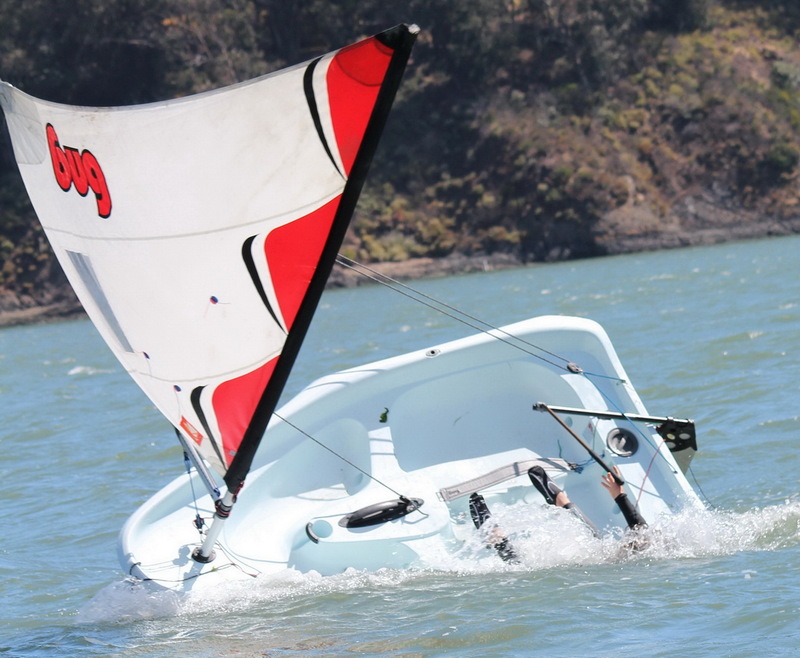 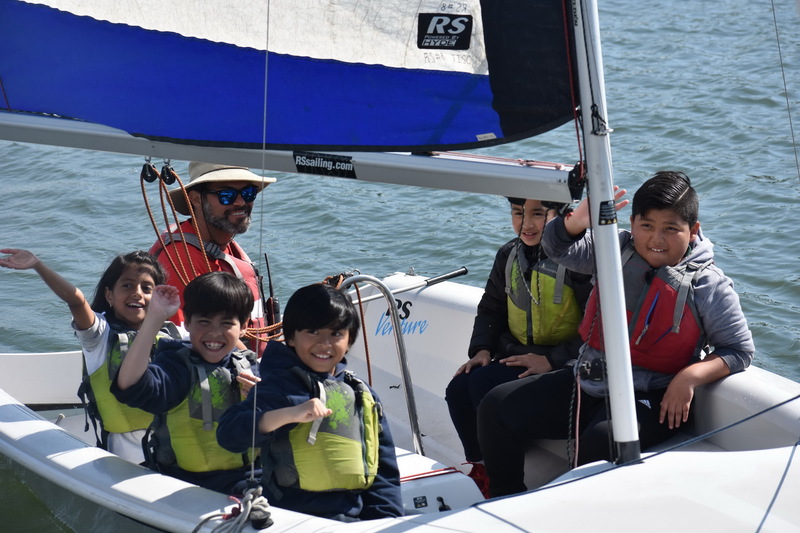 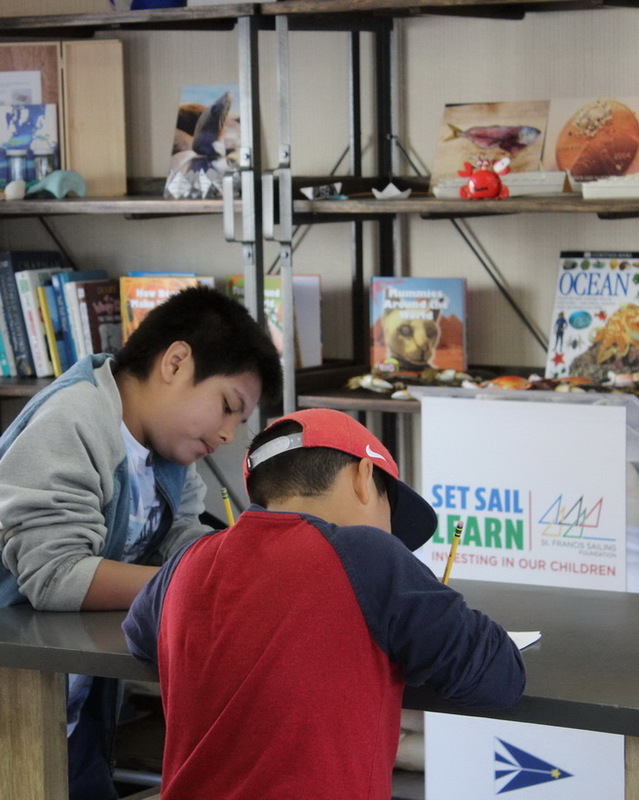 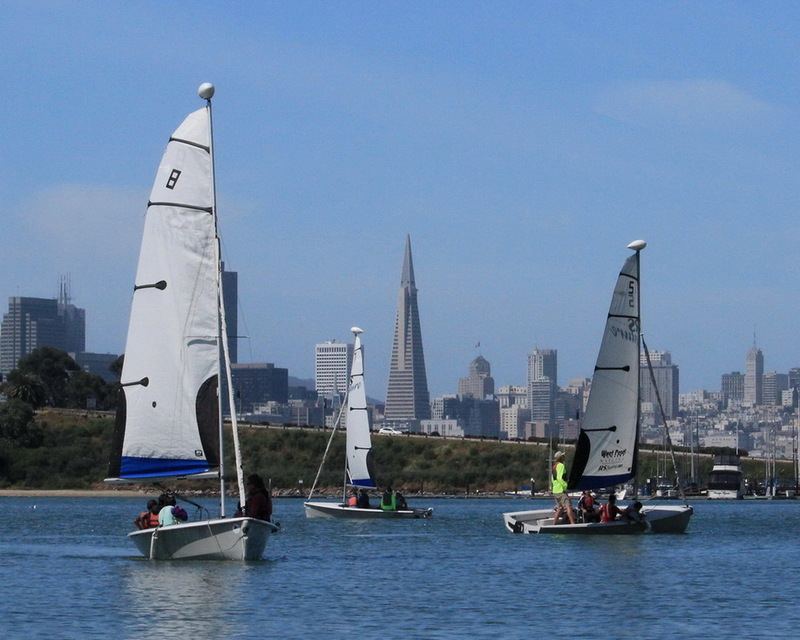 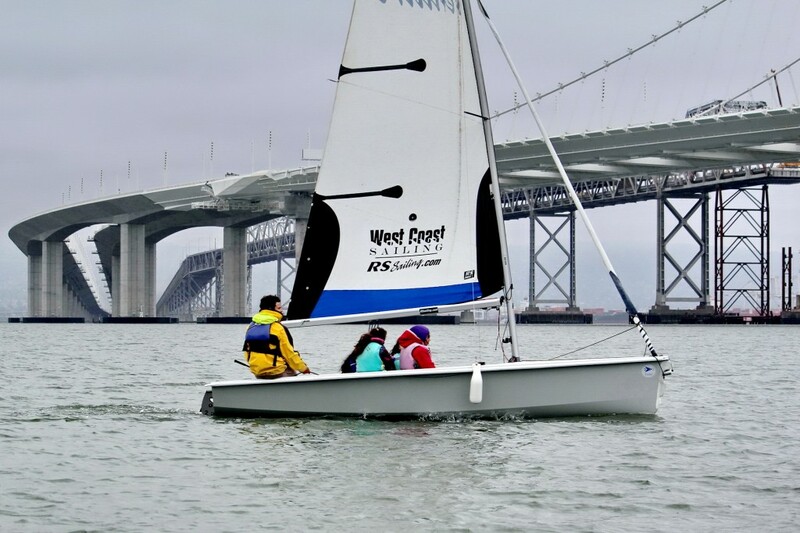 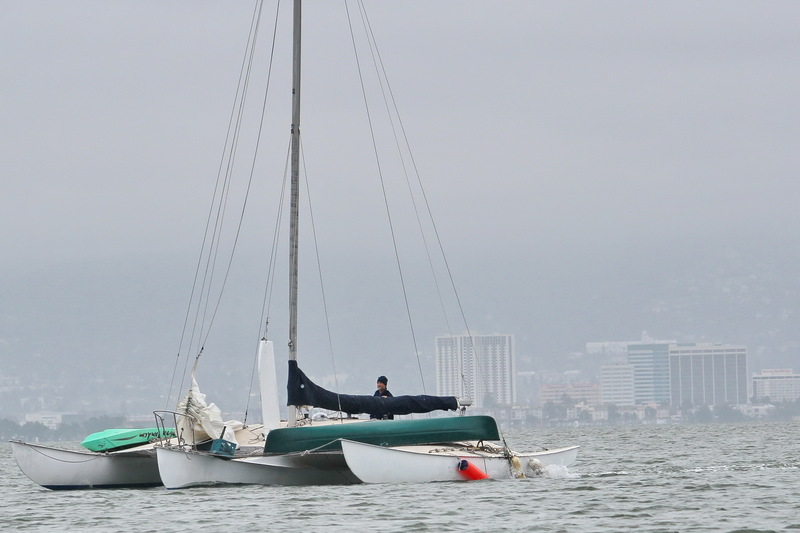 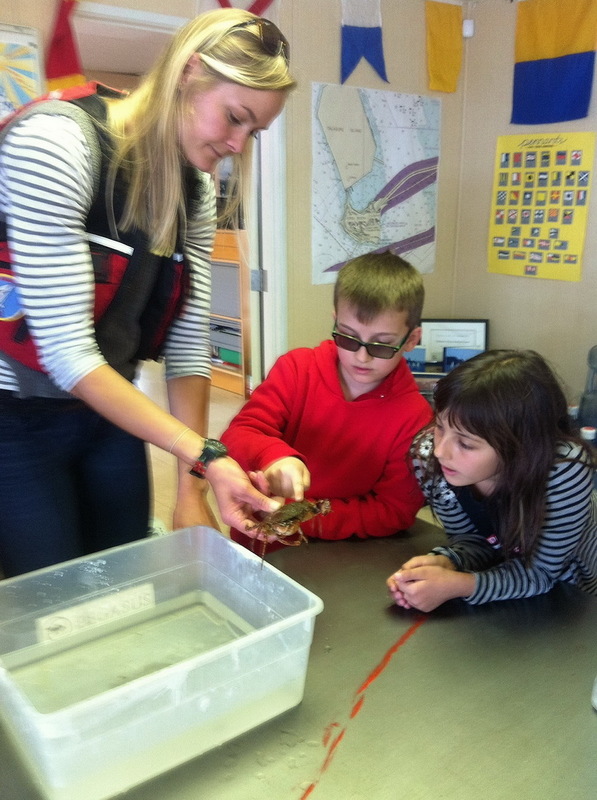 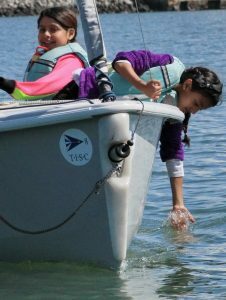 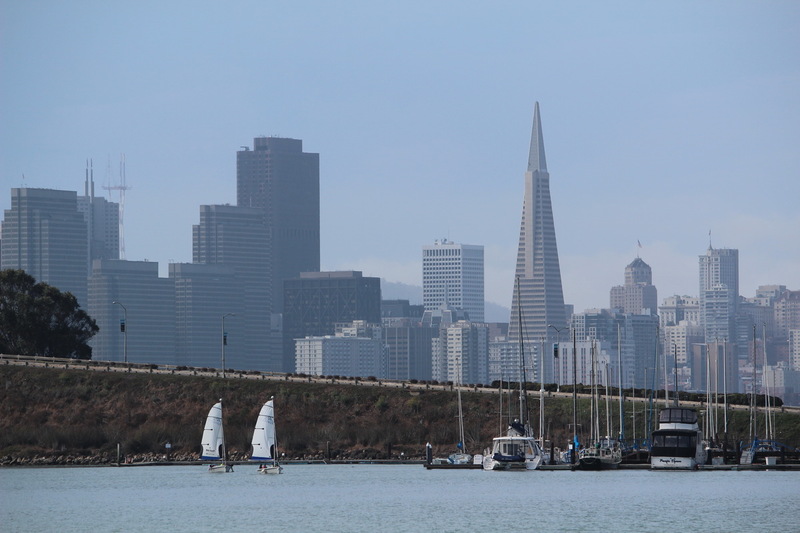 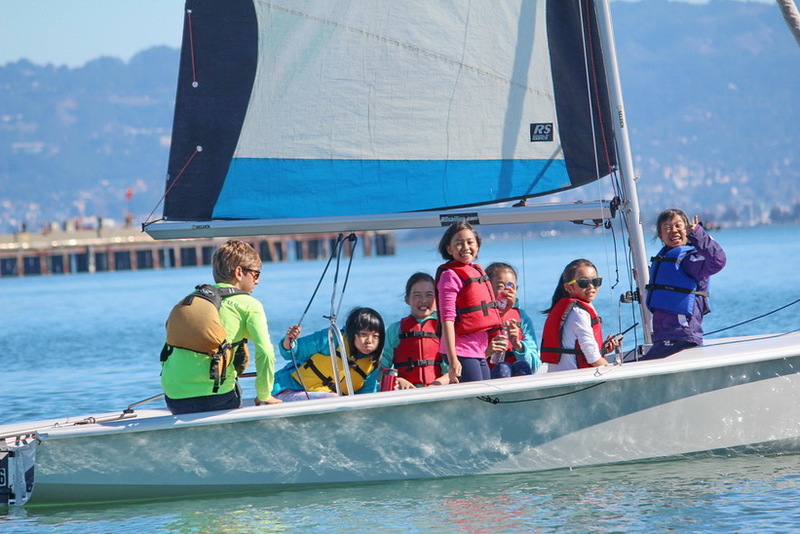 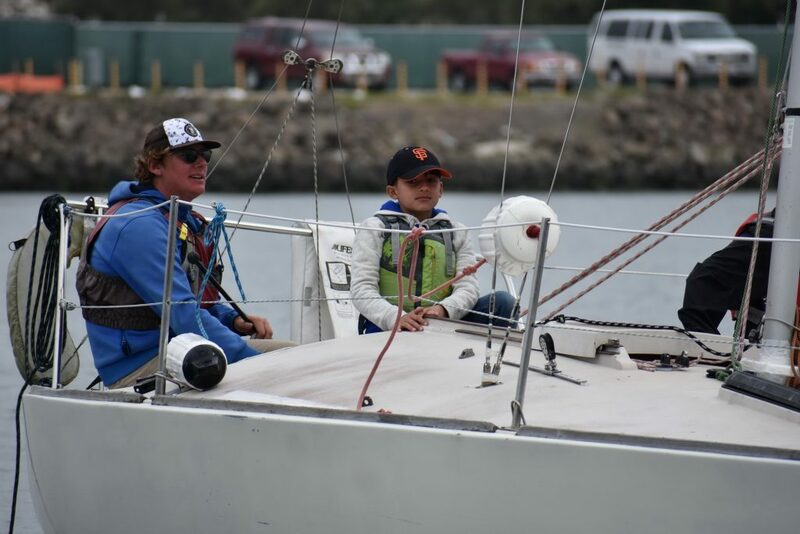 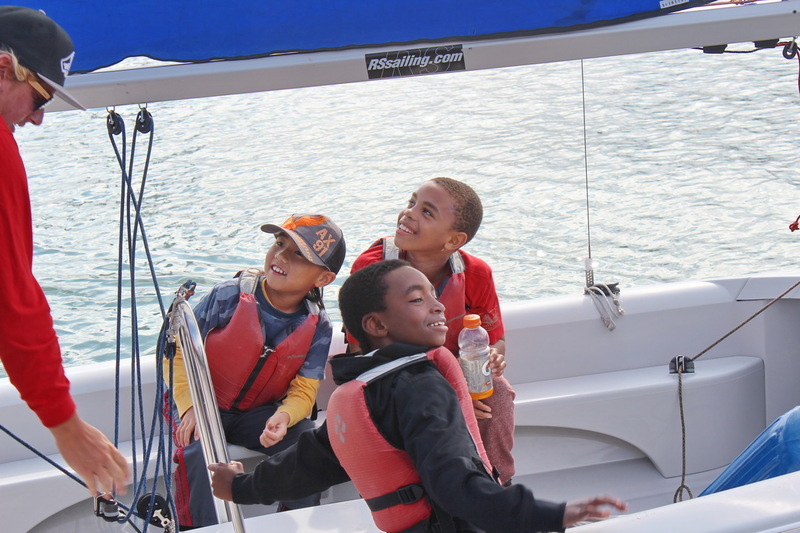 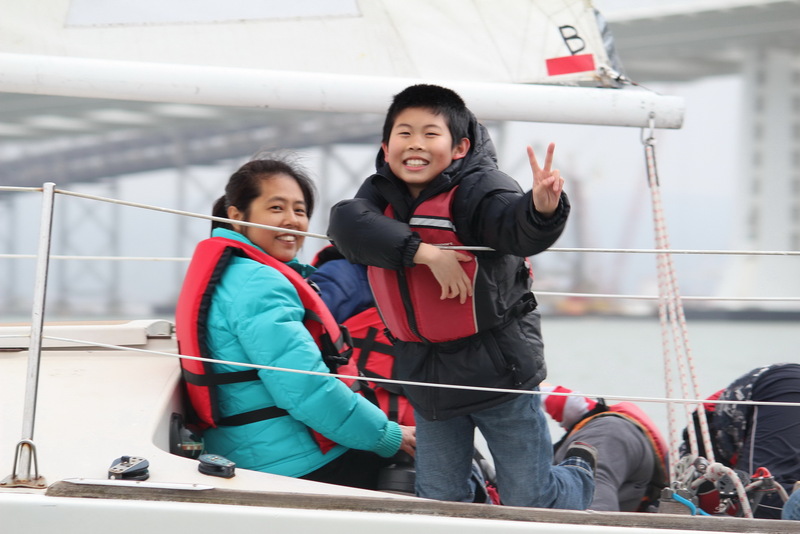 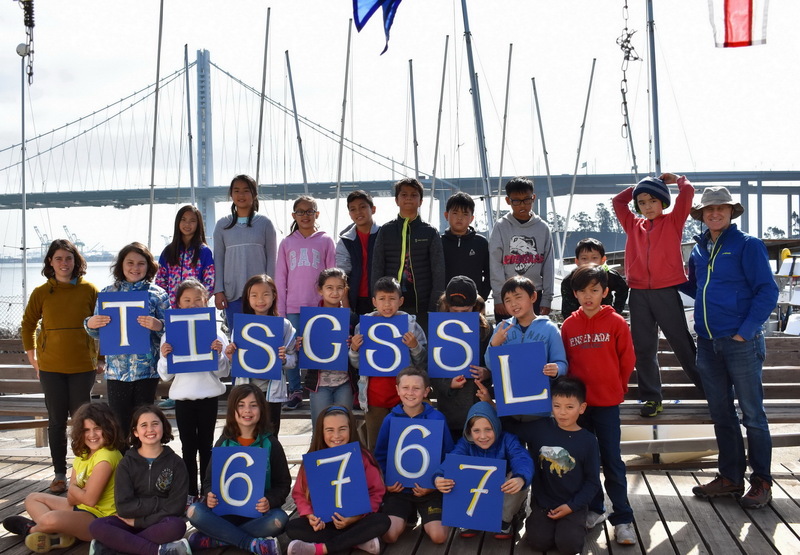 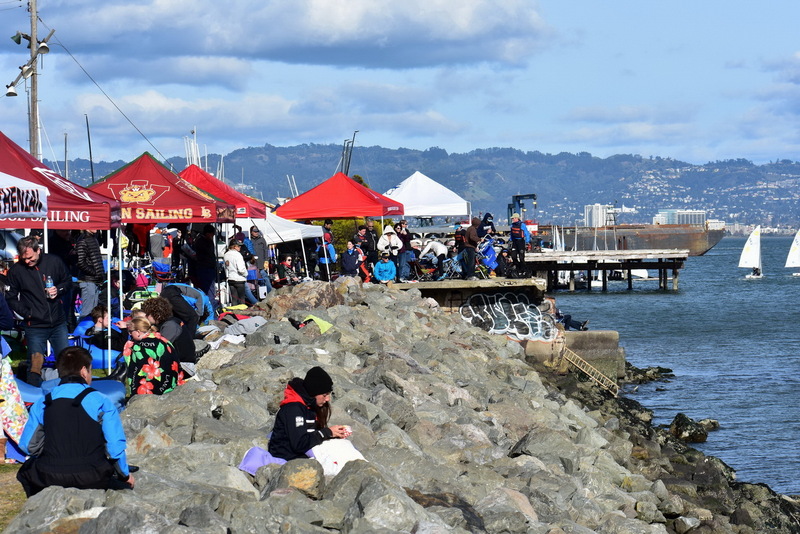 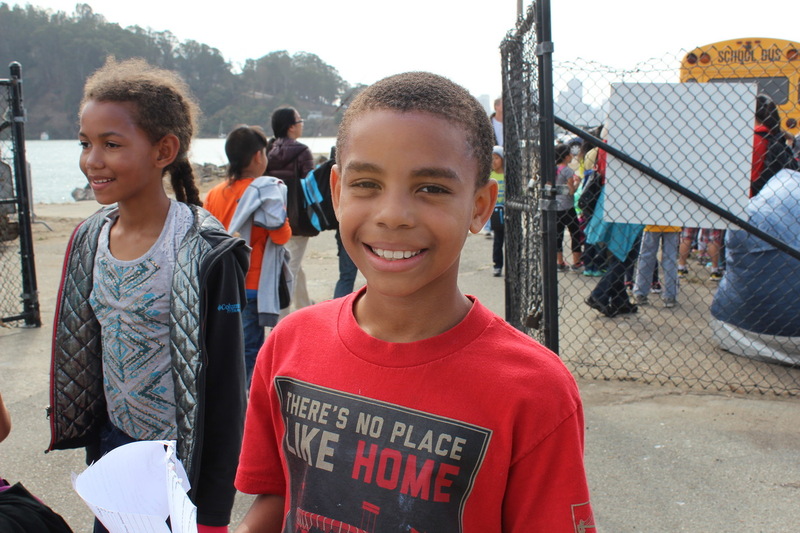 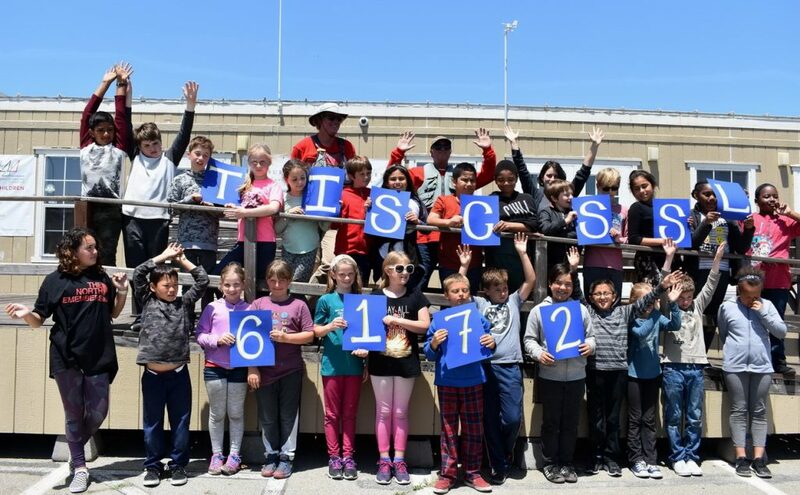 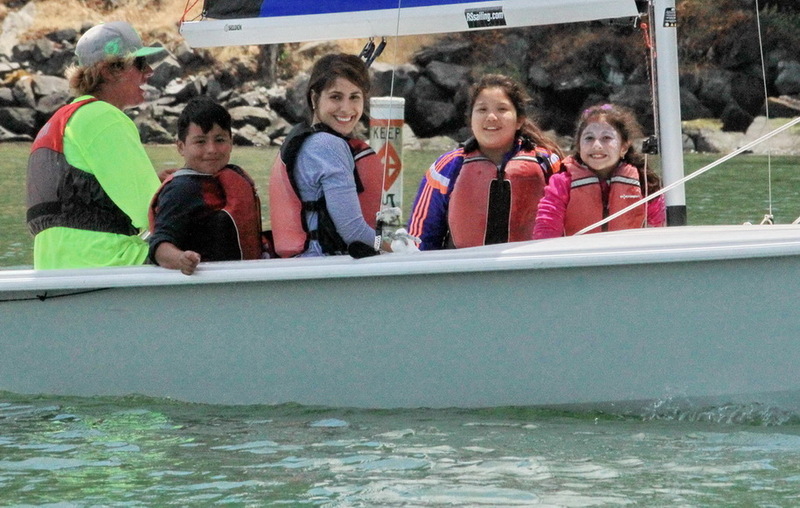 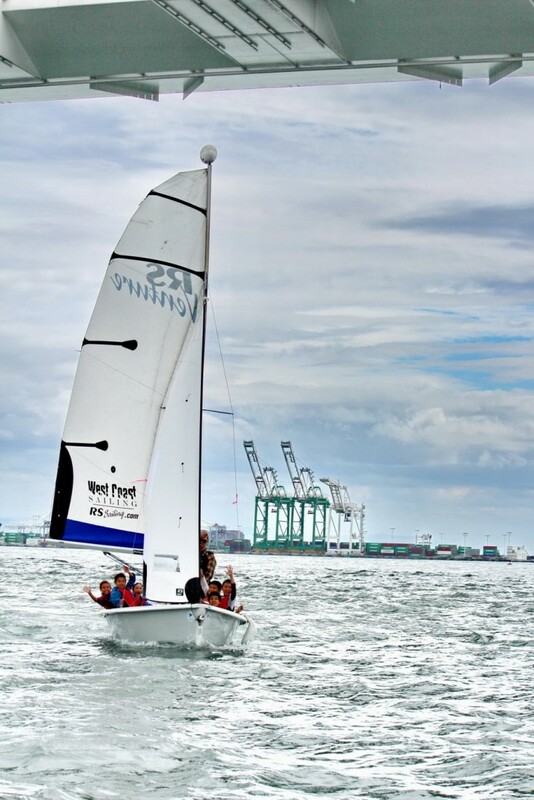 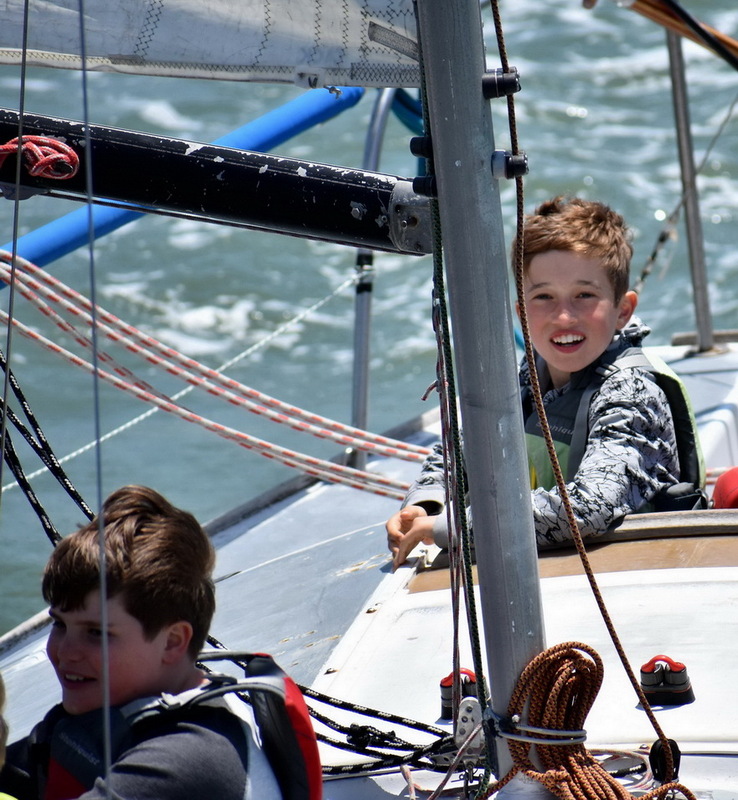 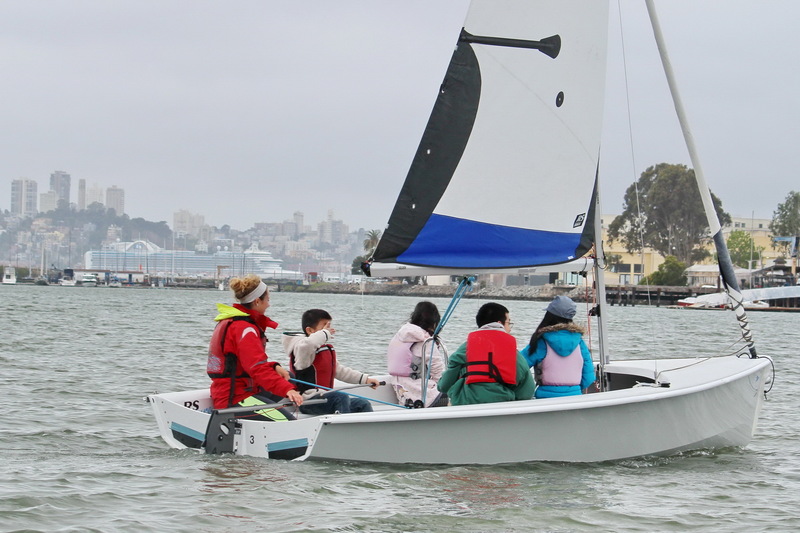 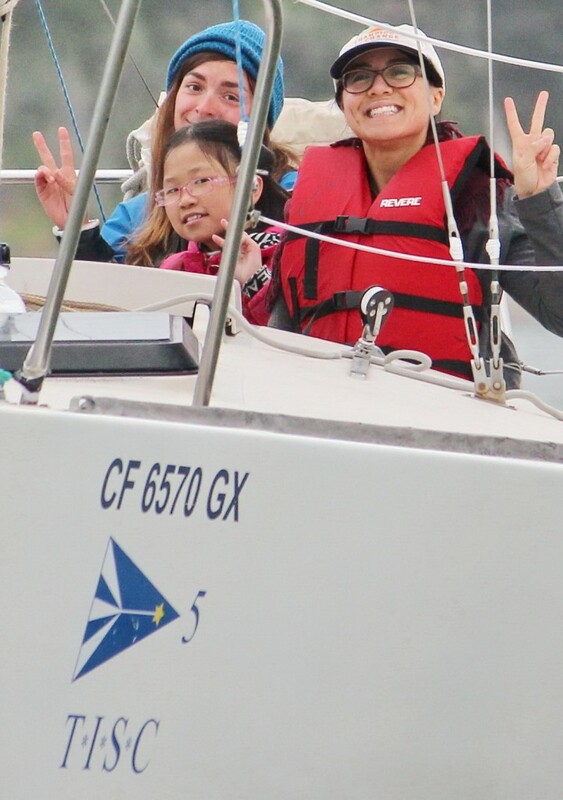 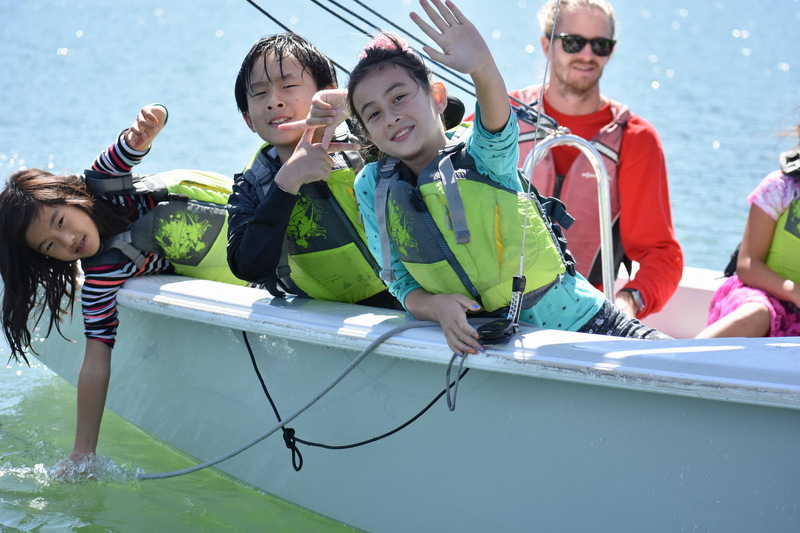 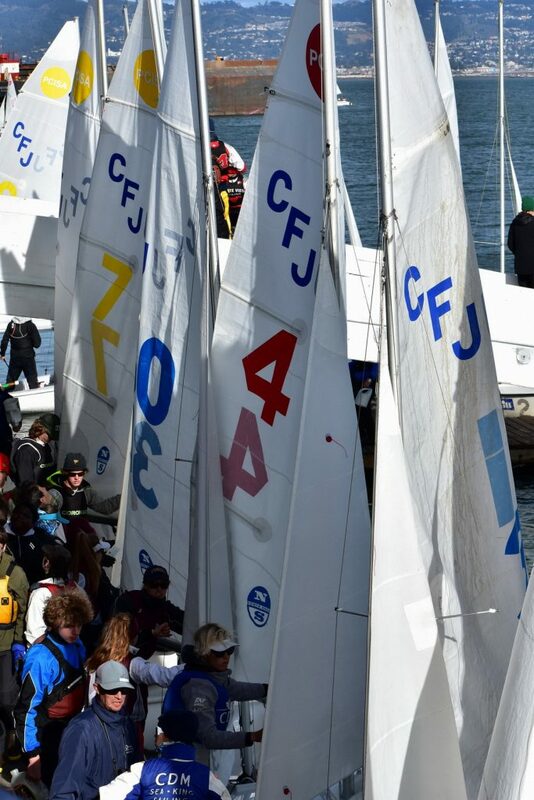 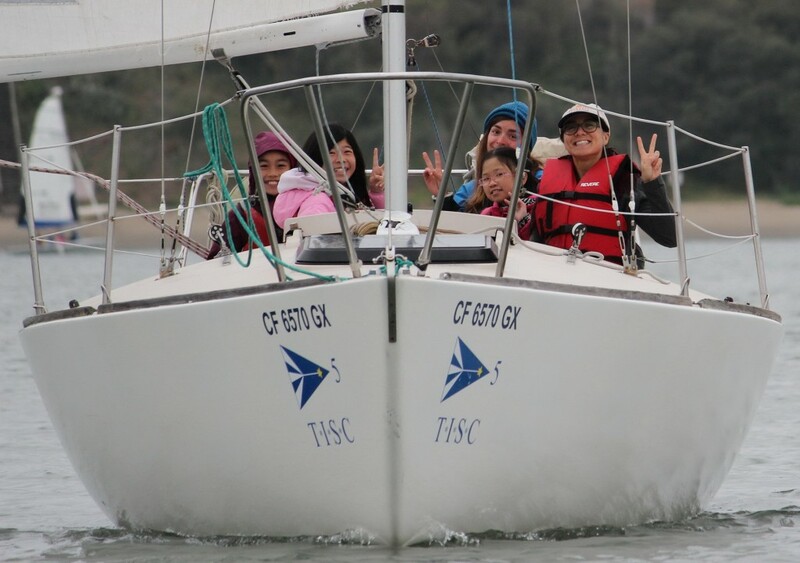 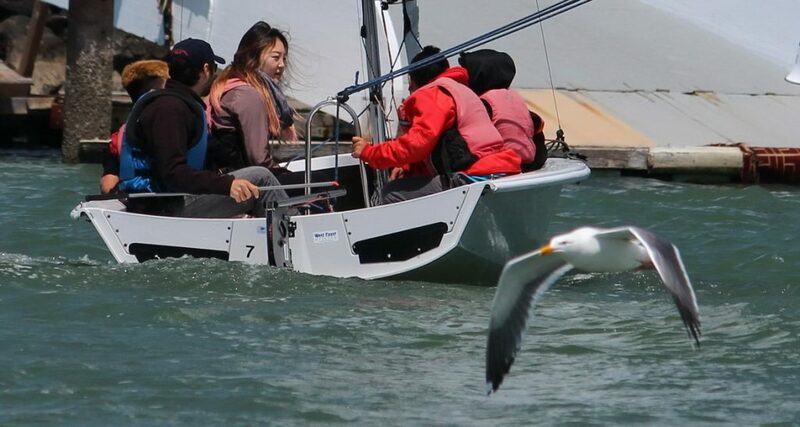 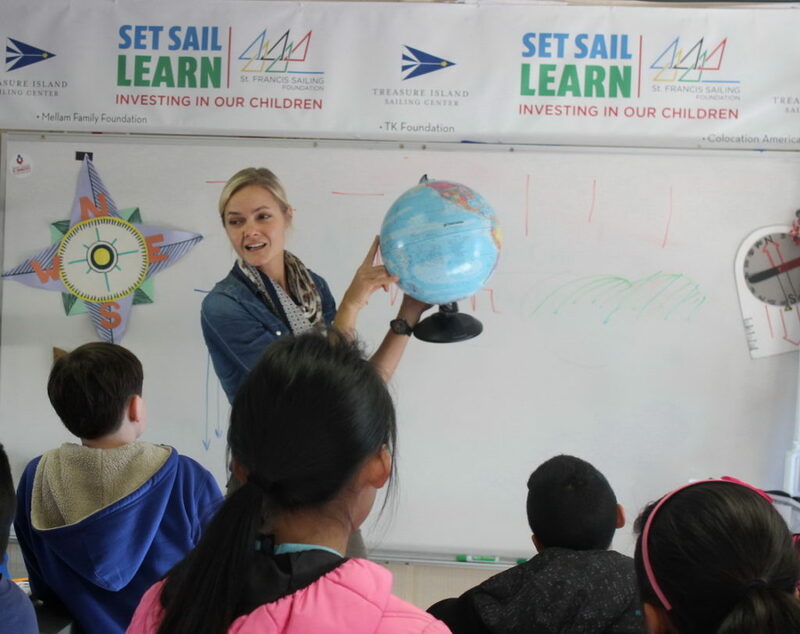 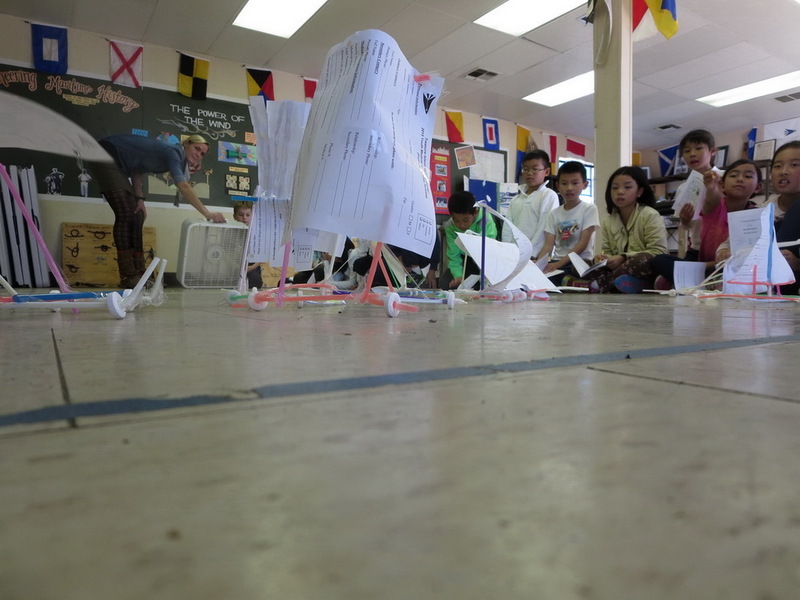 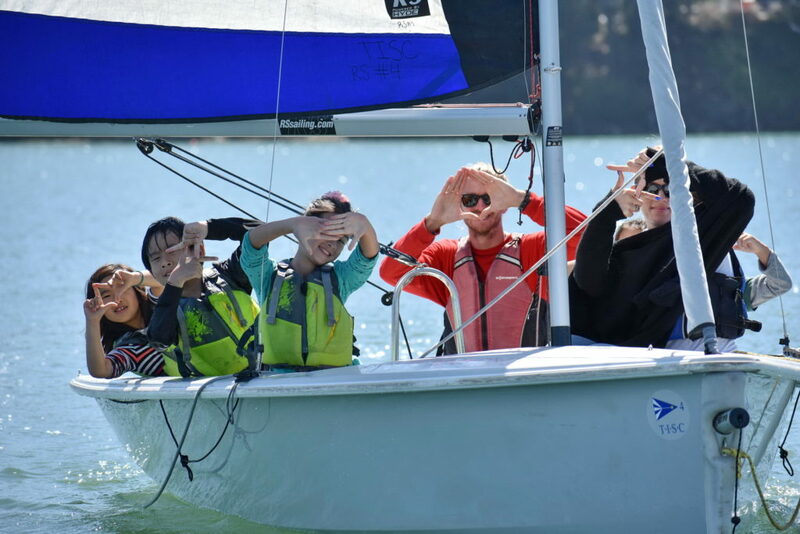 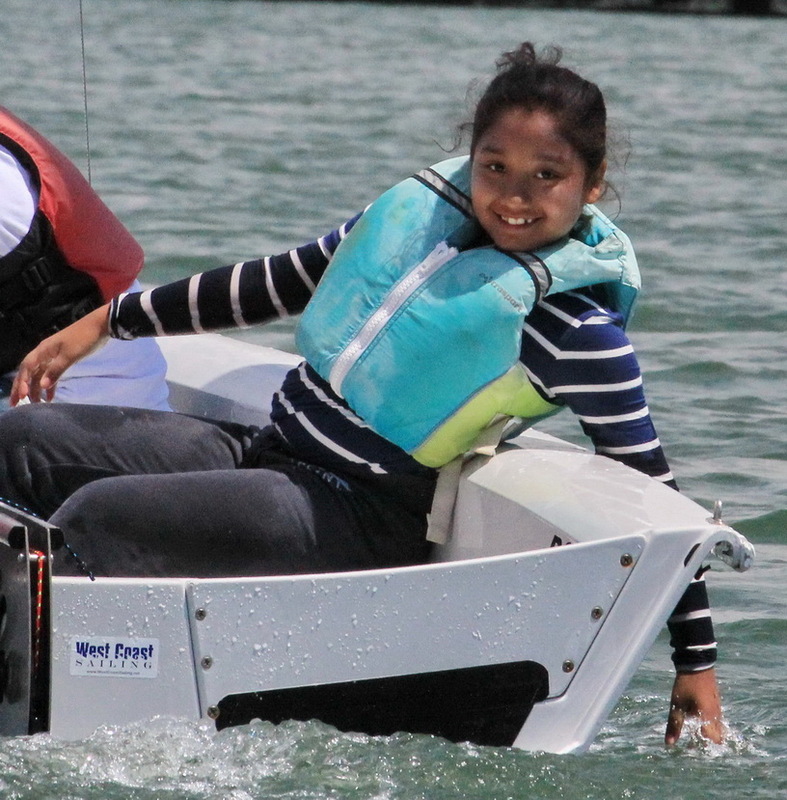 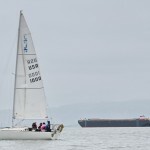 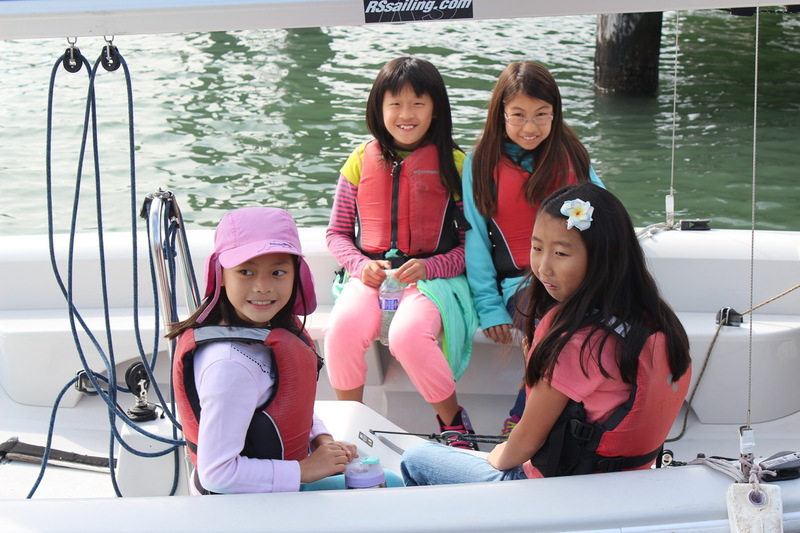 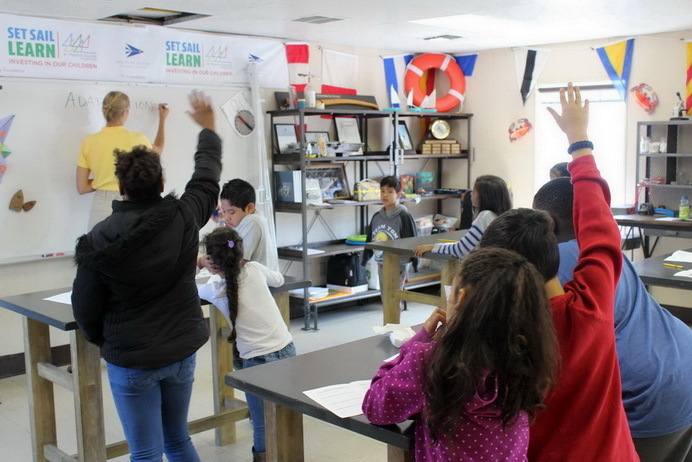 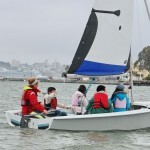 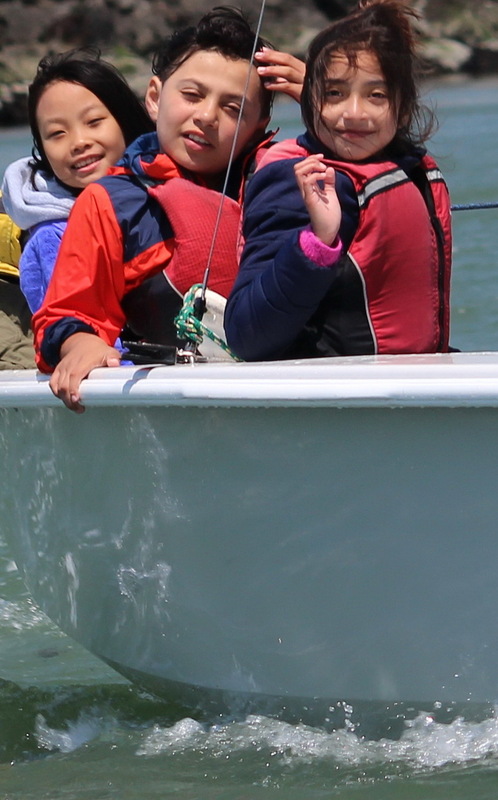 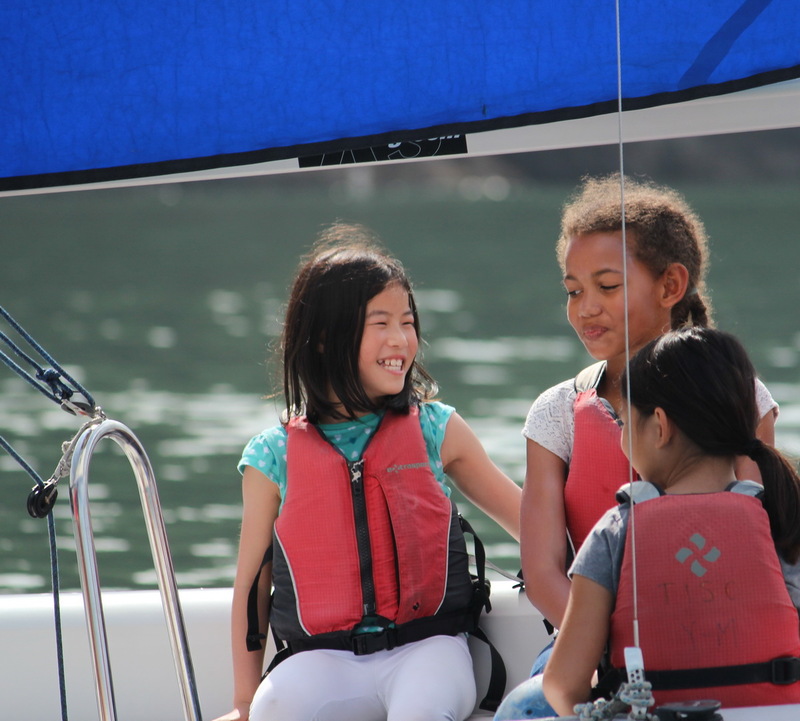 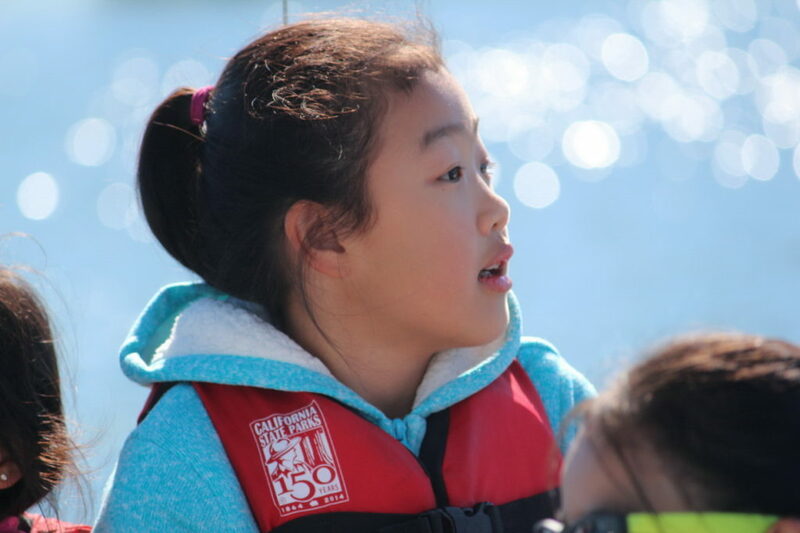 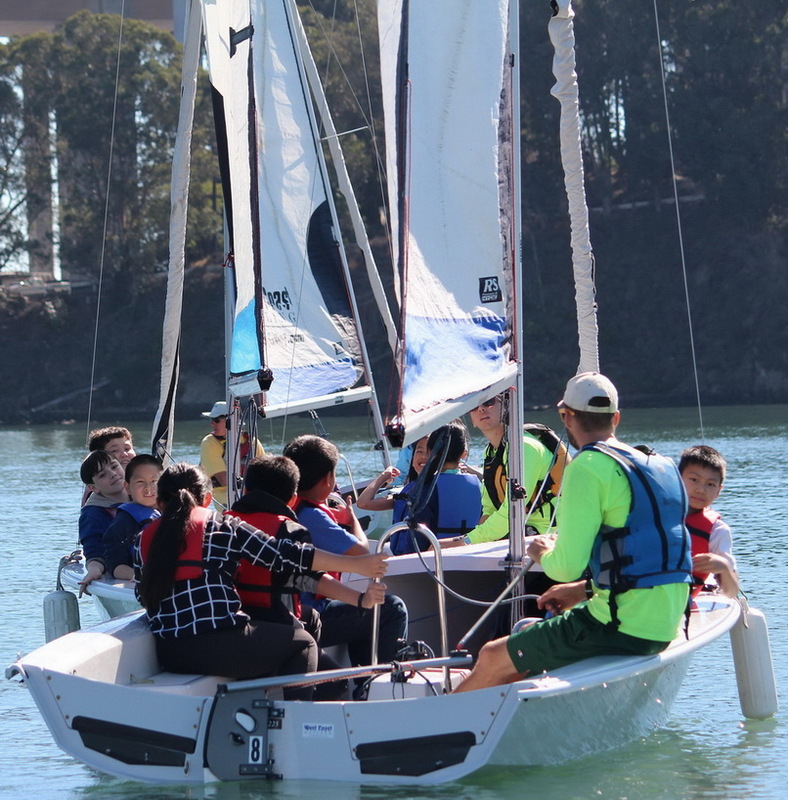 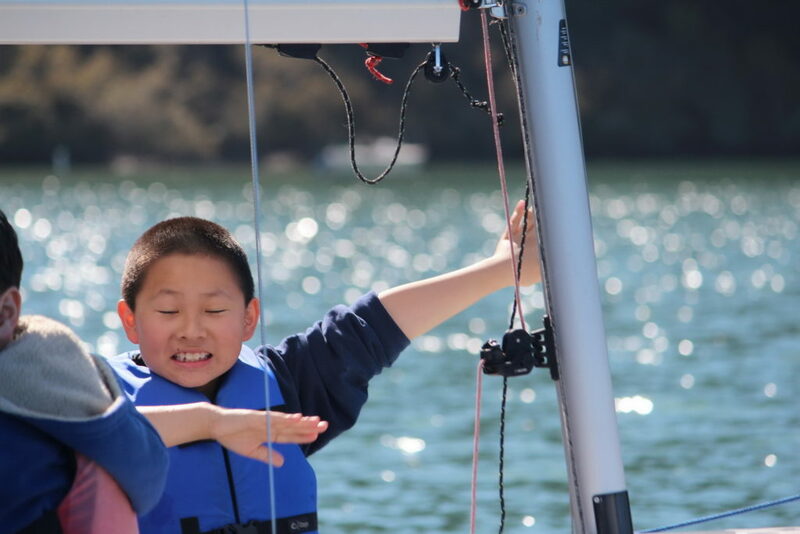 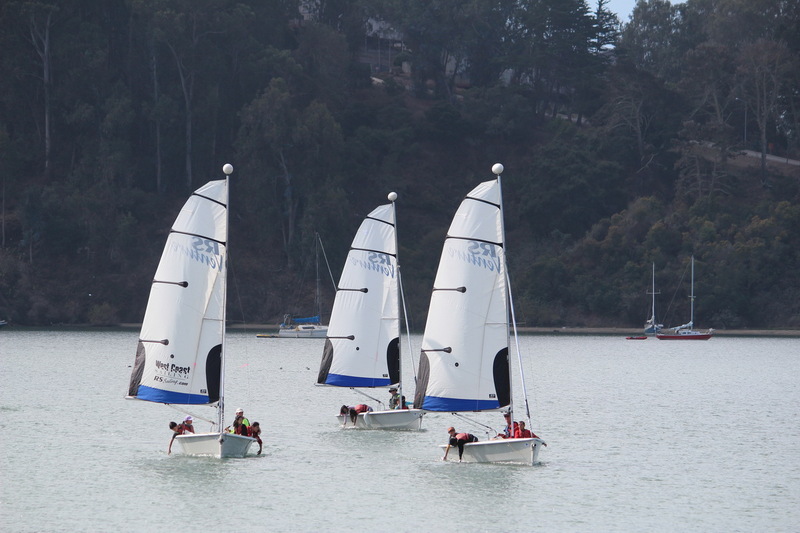 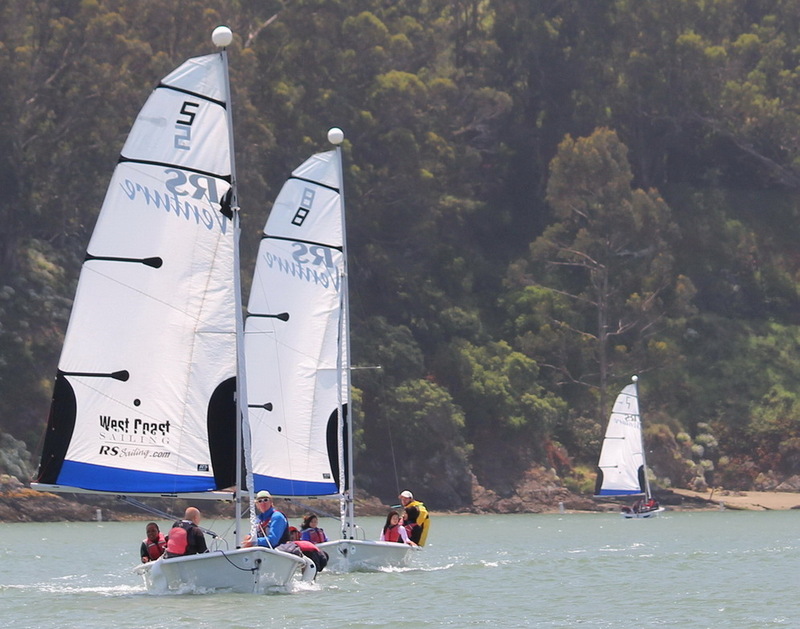 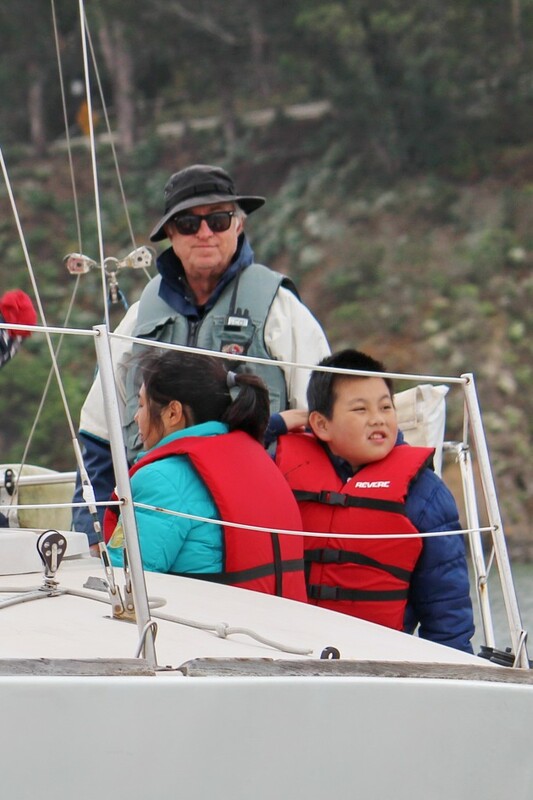 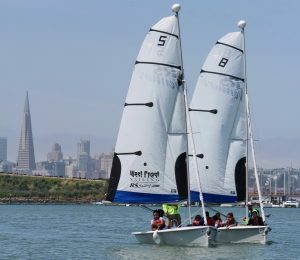 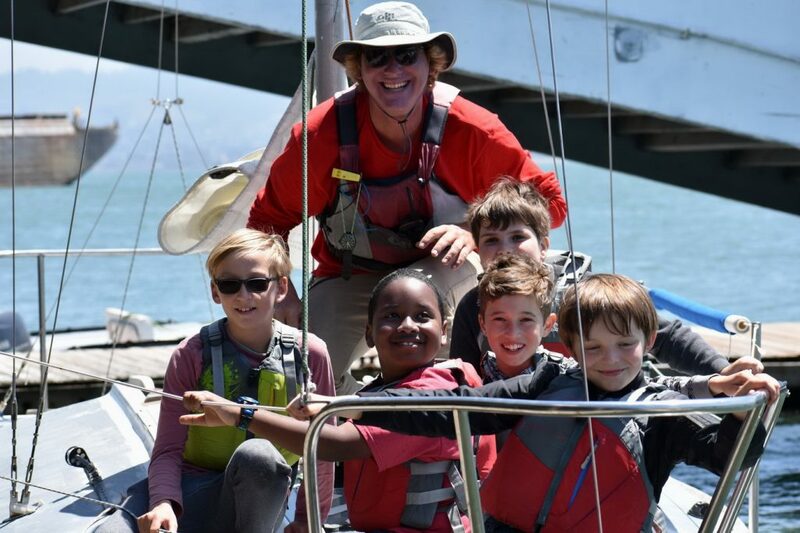 Last year eleven hundred fourth graders from SFUSD spent a Set Sail Learn (SSL) day at Treasure Island Sailing Center. 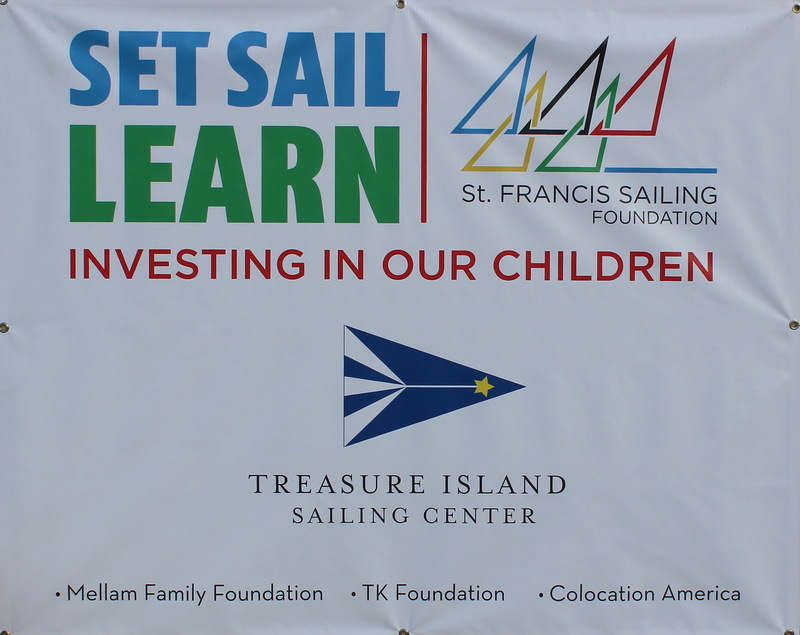 You may have read the stories from Francis Scott Key, Cleveland & Feinstein, and John Yehal Chin schools. 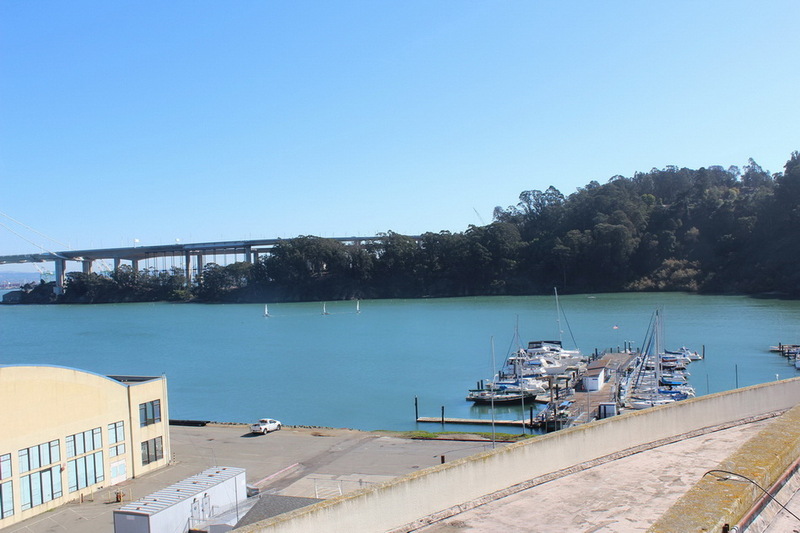 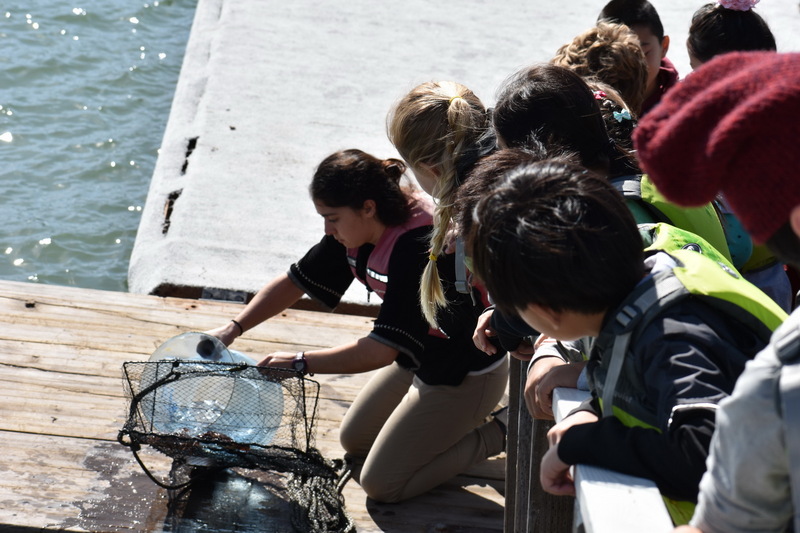 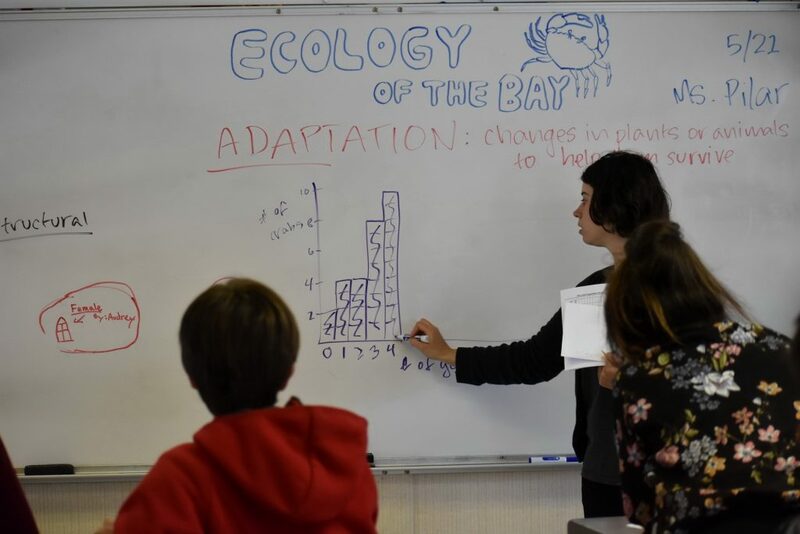 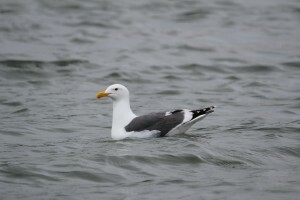 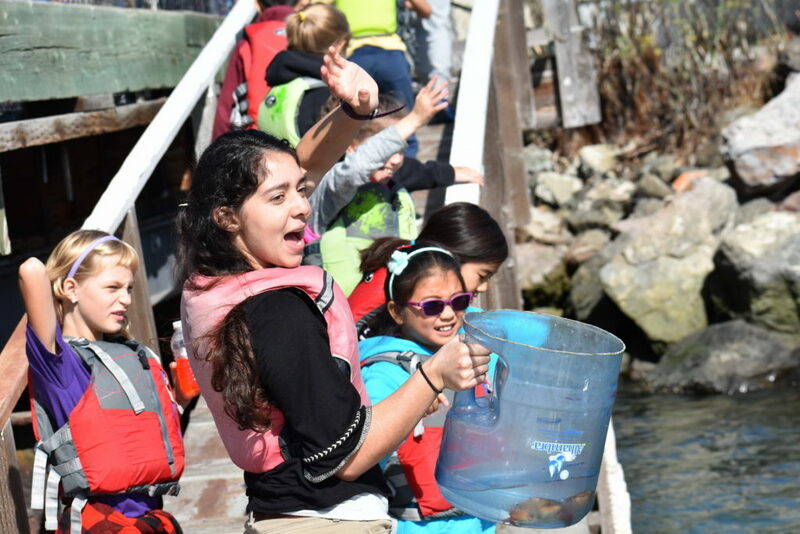 By the end of 2015, 3,000 students will have benefited from this unique experiential learning program, selecting a choice of three curriculums: Ecology of the Bay, Maritime History or Alternative Energy. 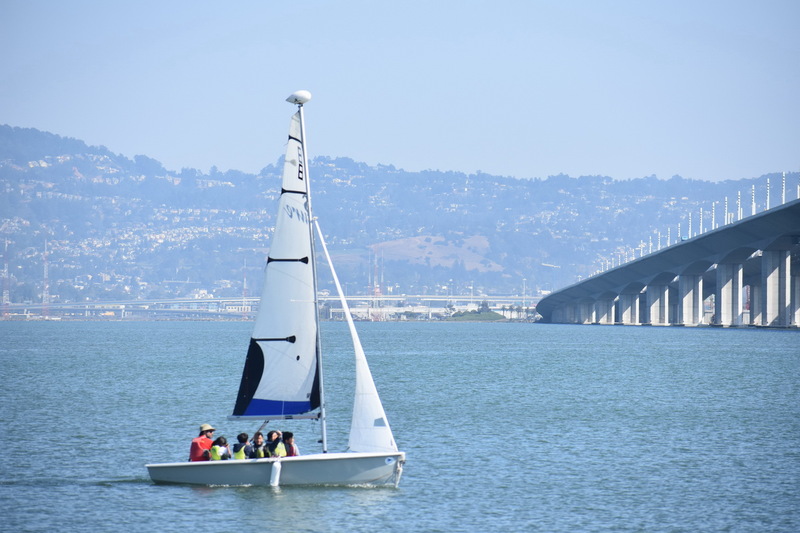 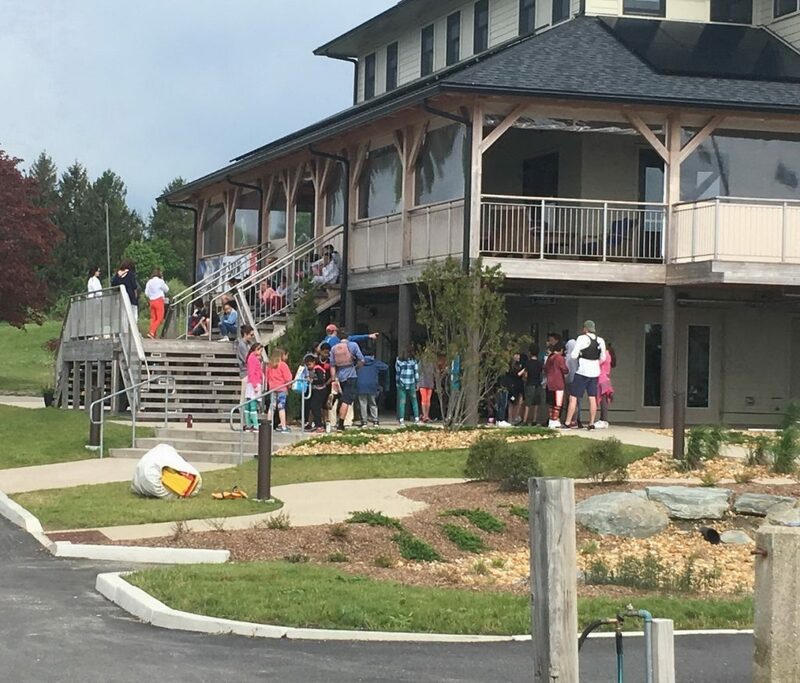 Half the class spent the morning sailing on Clipper Cove in the shadow of the new Bay Bridge Eastern Span, the other half in our activity center. 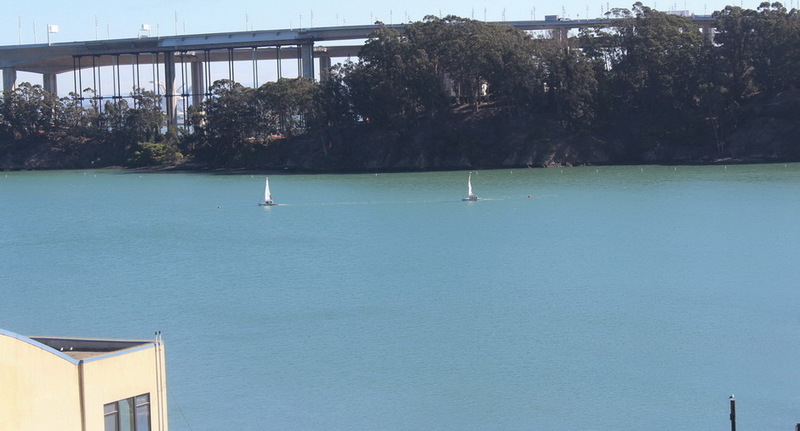 After lunch, they switched. 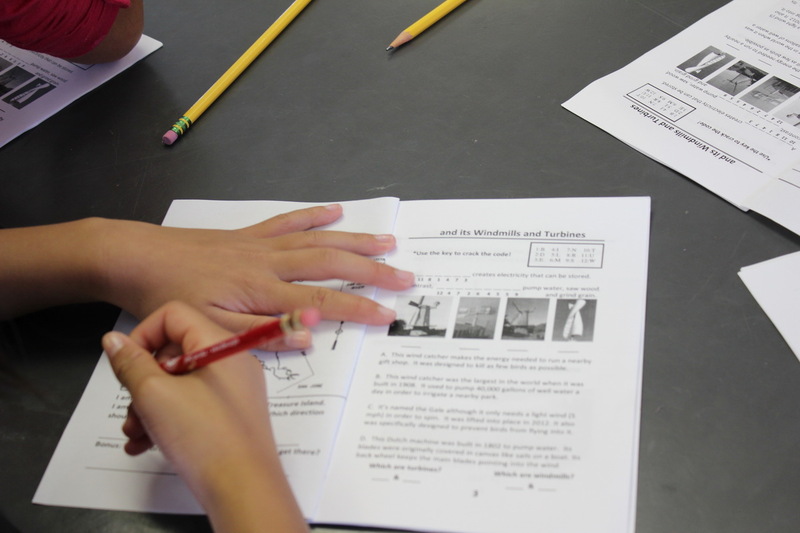 Teachers love the fact curriculum is provided in advance and each student is given their own workbook. 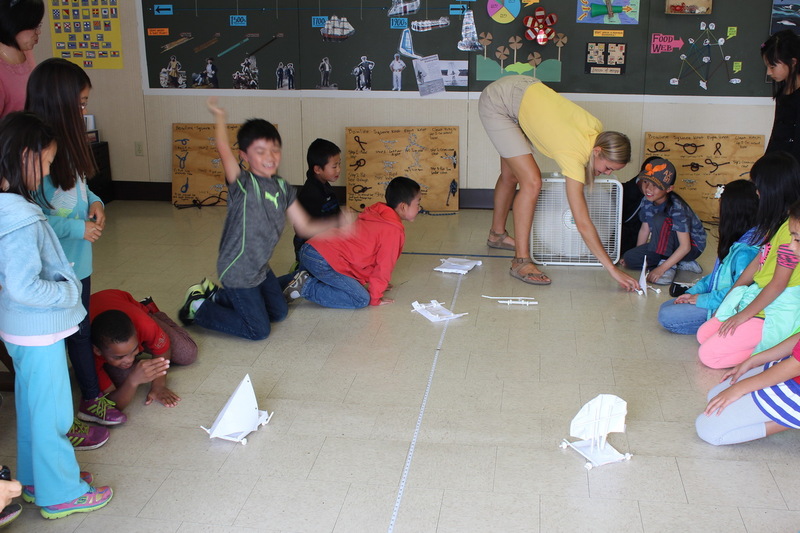 Those in the activity center studied boats of all sizes and learned how they fit into the Maritime History of San Francisco Bay. 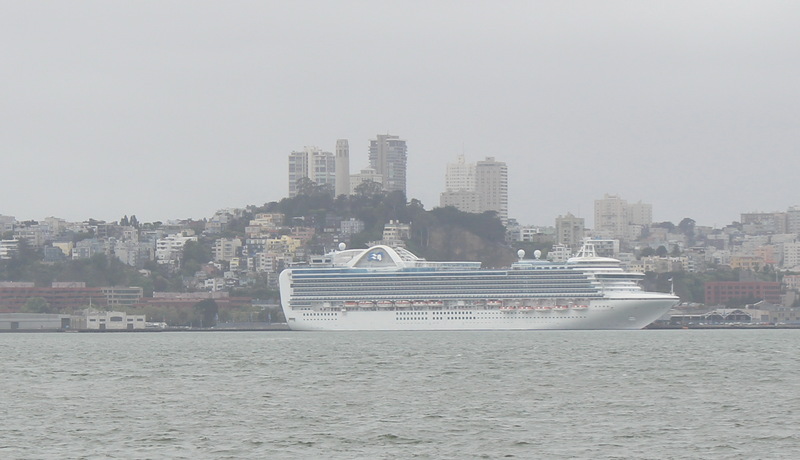 Some were tiny, some huge. 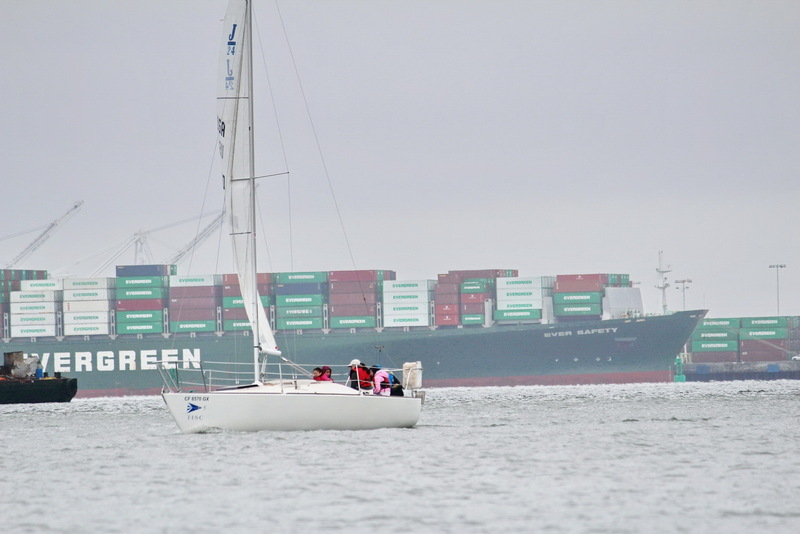 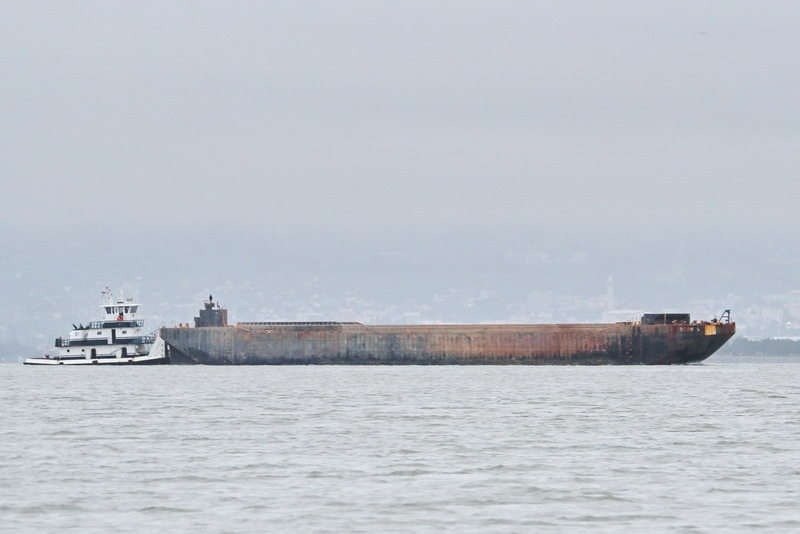 The container ships in Oakland appeared closer than they really were. 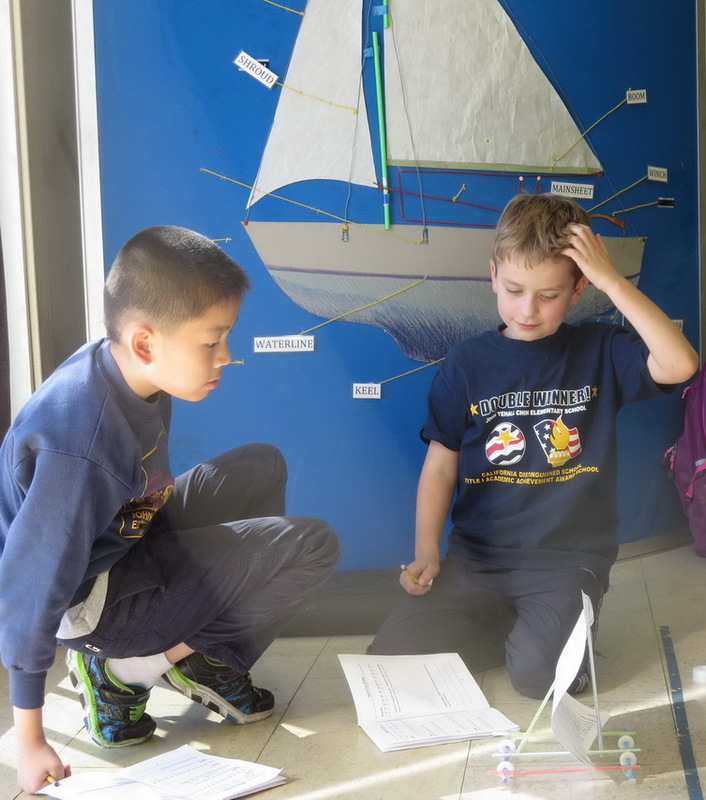 Another topic – compass navigation. 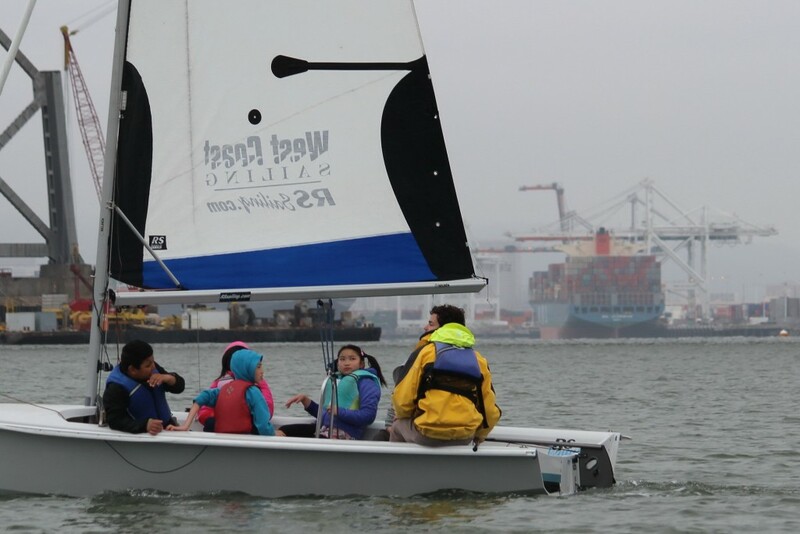 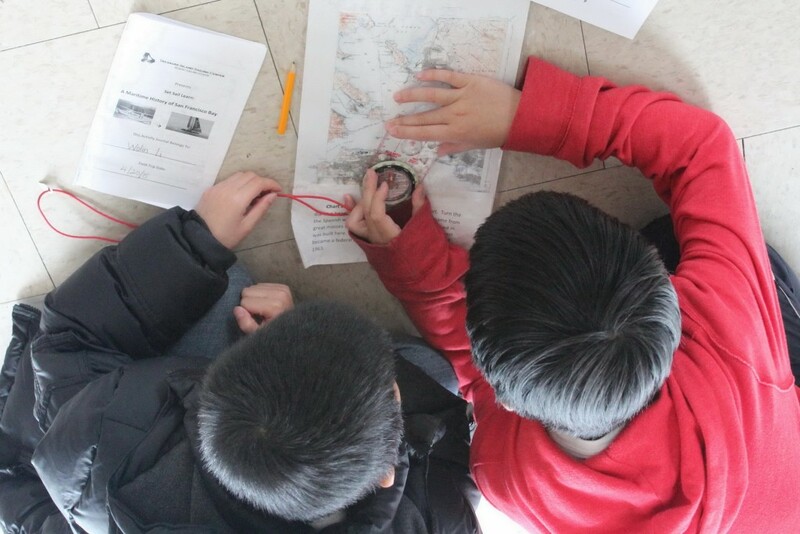 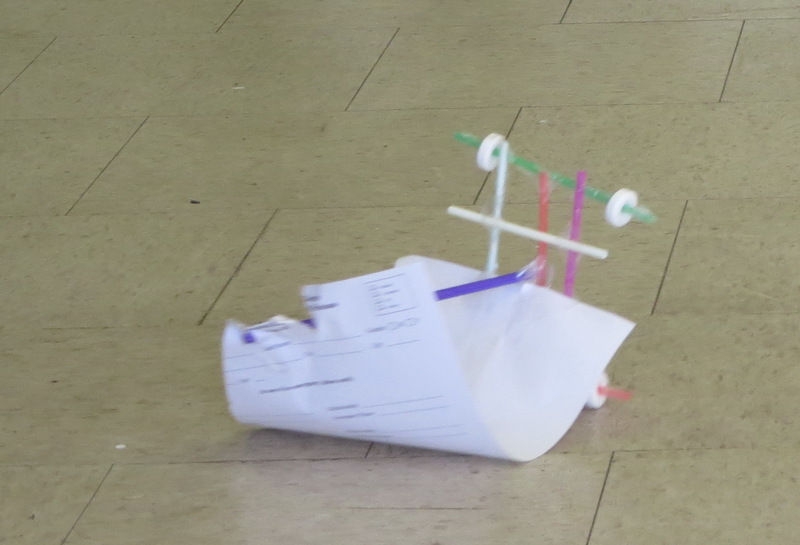 Students identified five “mystery spots” around the bay, always setting a course from Clipper Cove. 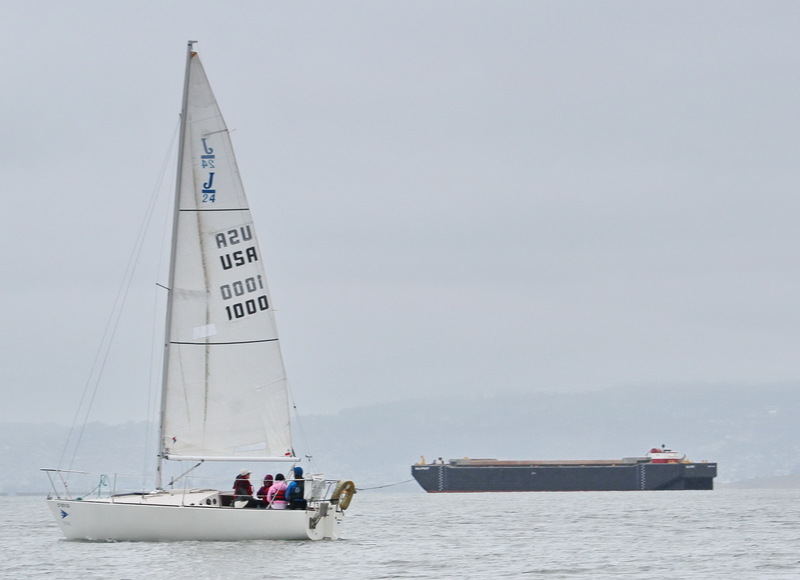 For example: Steer a course bearing 320 from Clipper Cove. 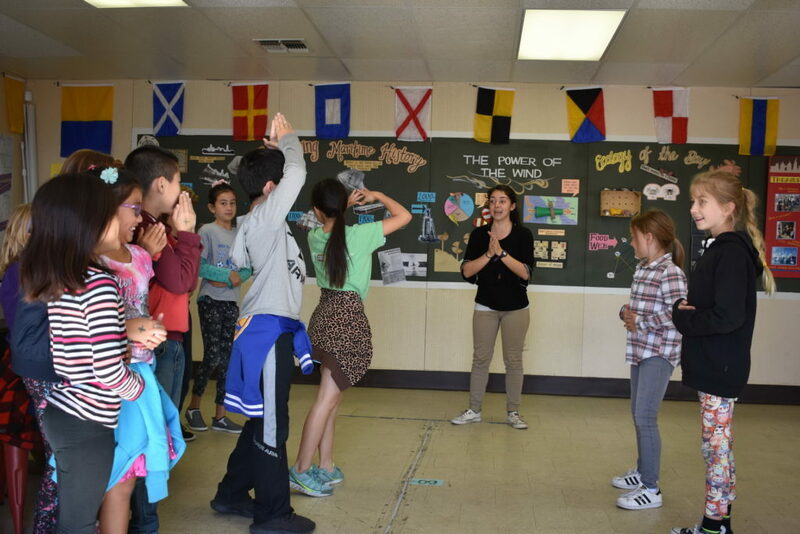 During the mid-1940’s, when America was involved in World War II against Japan, this was the place where many Japanese people were forced to stay. 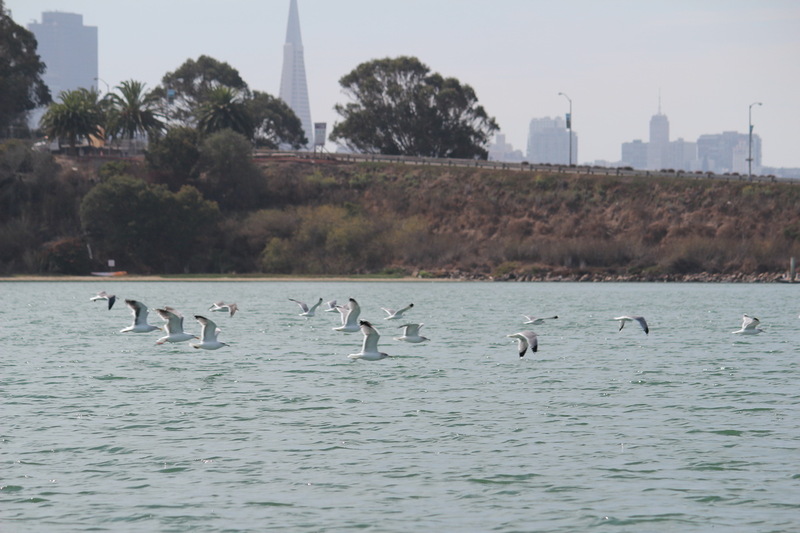 Wildlife abounded during the day. 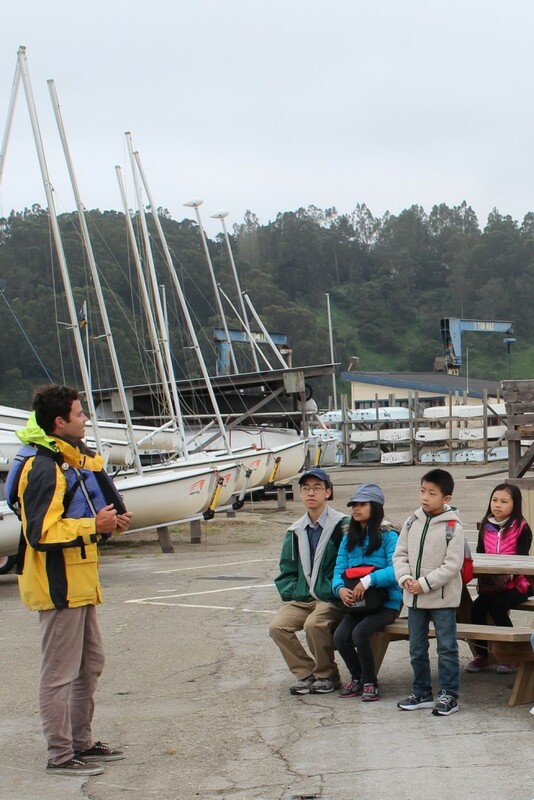 The Western Grebe welcomed the morning classes. 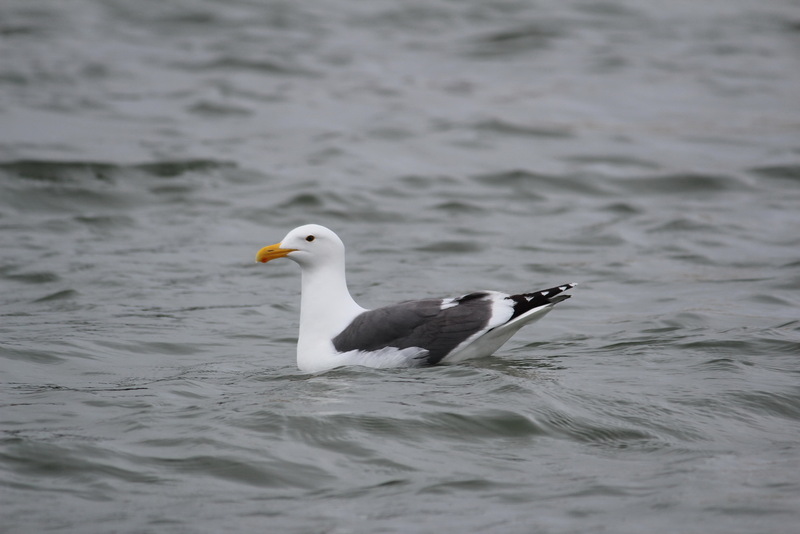 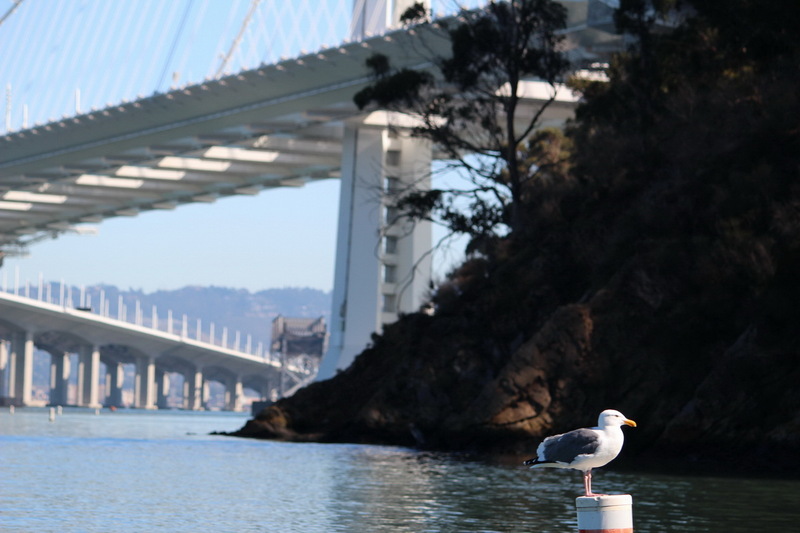 After lunch sea gulls were constant companions. 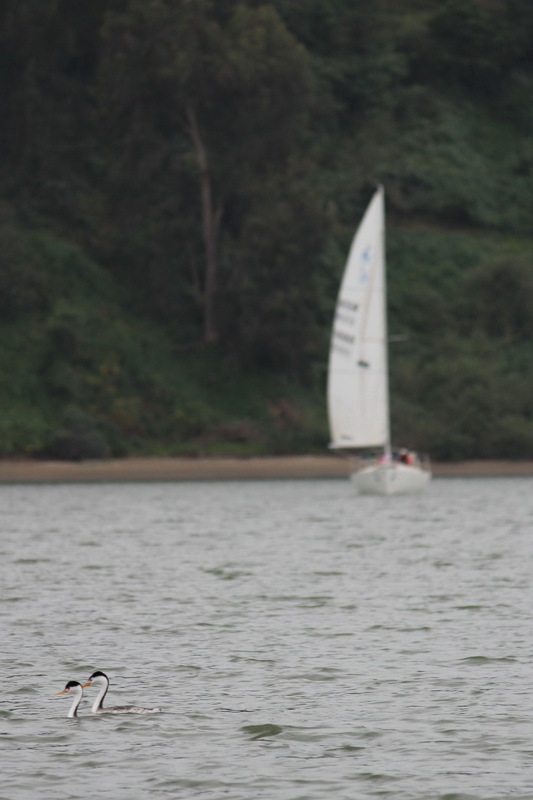 A seal was also reported. 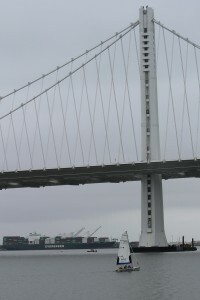 Views from all points of the compass opened up new vistas – majestic cranes, more container ships, San Francisco skyline and the shadowy details of the new Eastern Span of the Bay Bridge. 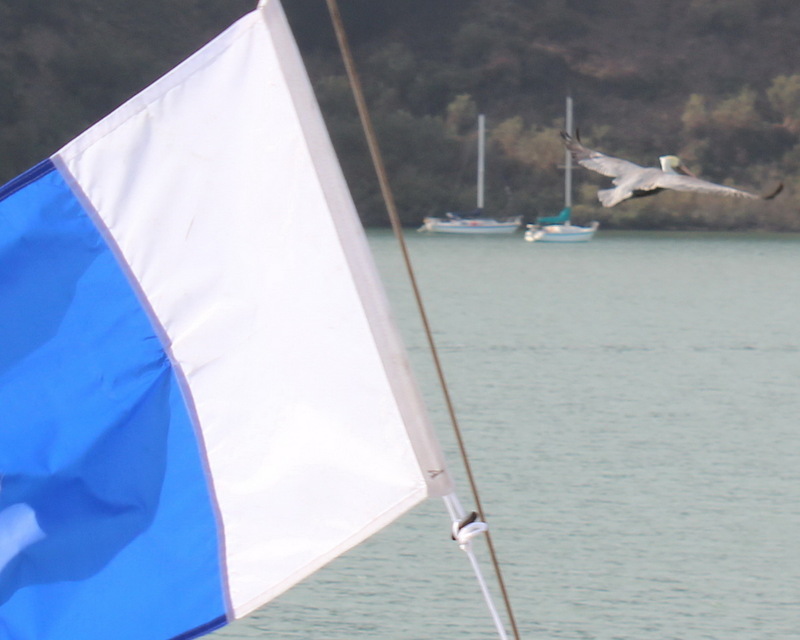 Those with sharp eyes were treated to a view of the Crown Princess in town for the day. 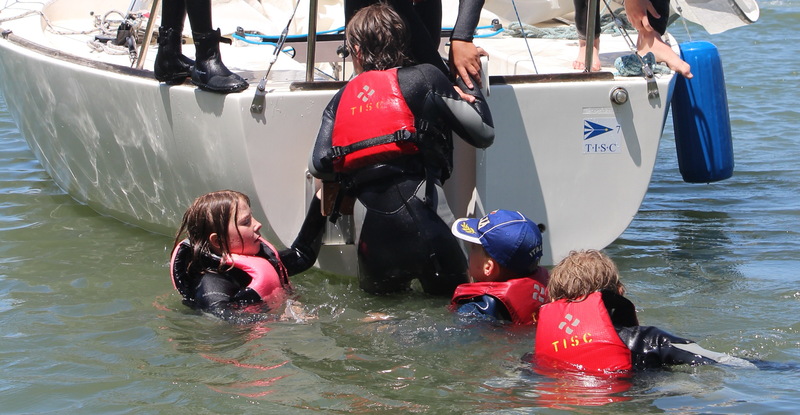 Mentioned here last but always stressed first: SAFETY. 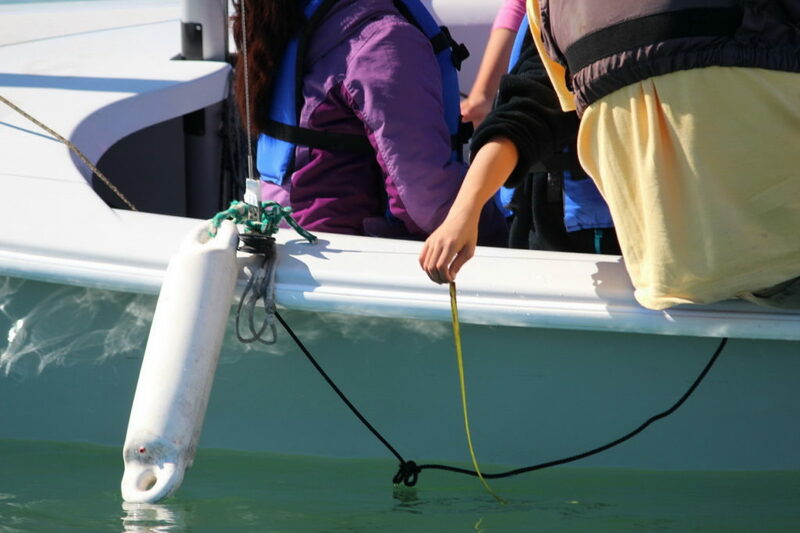 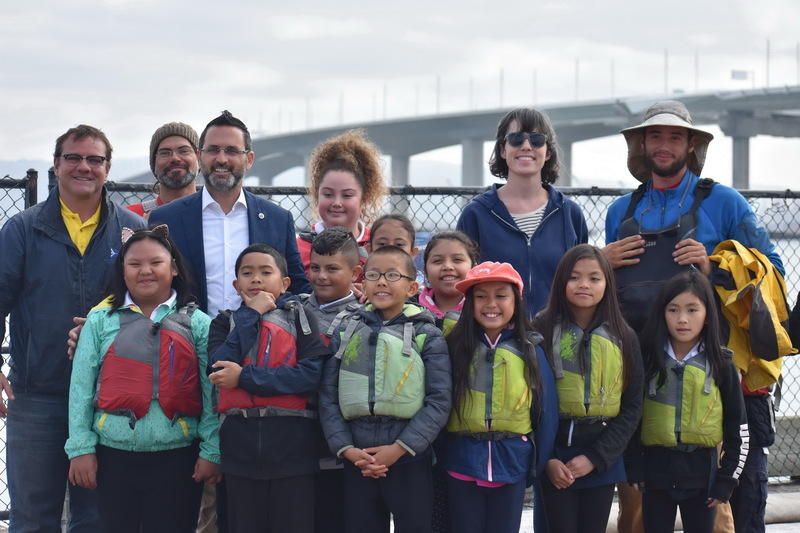 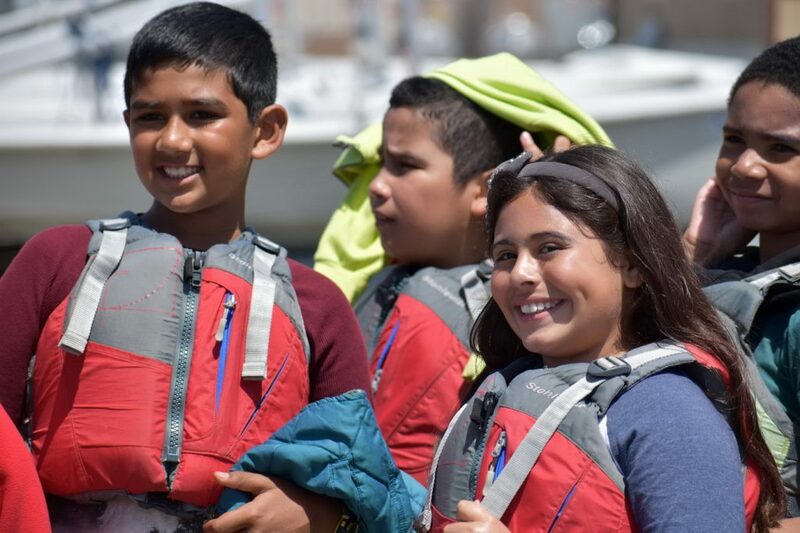 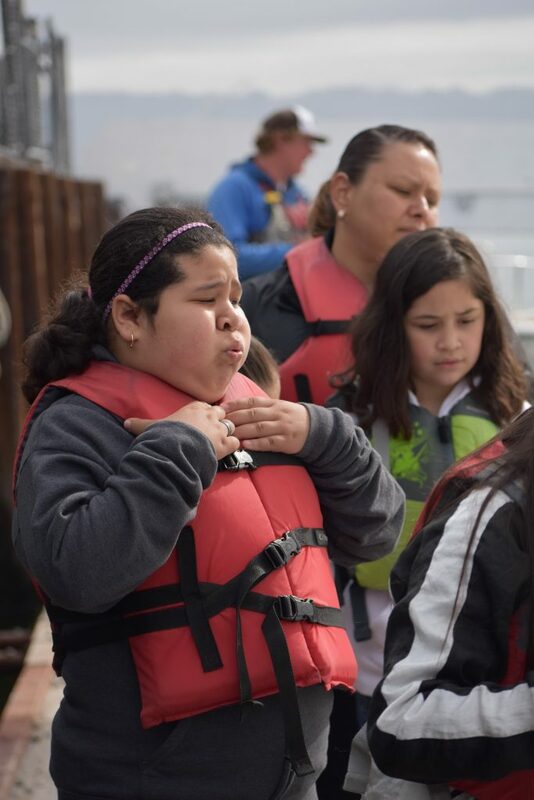 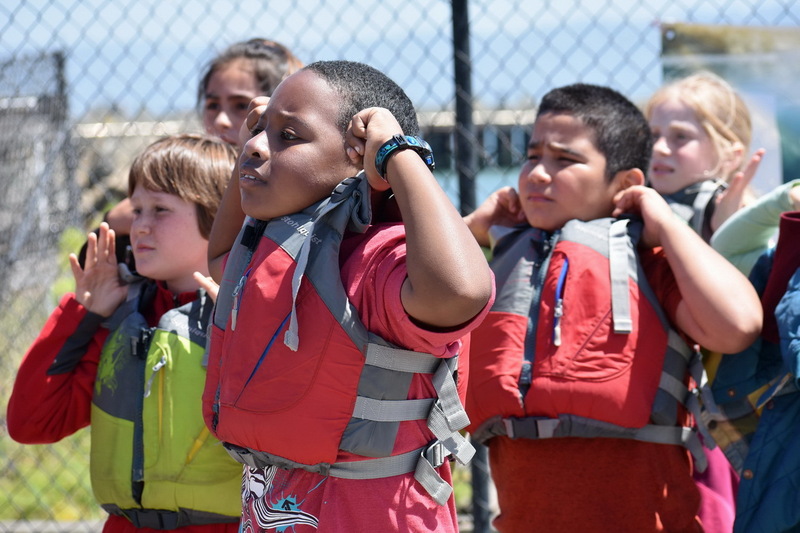 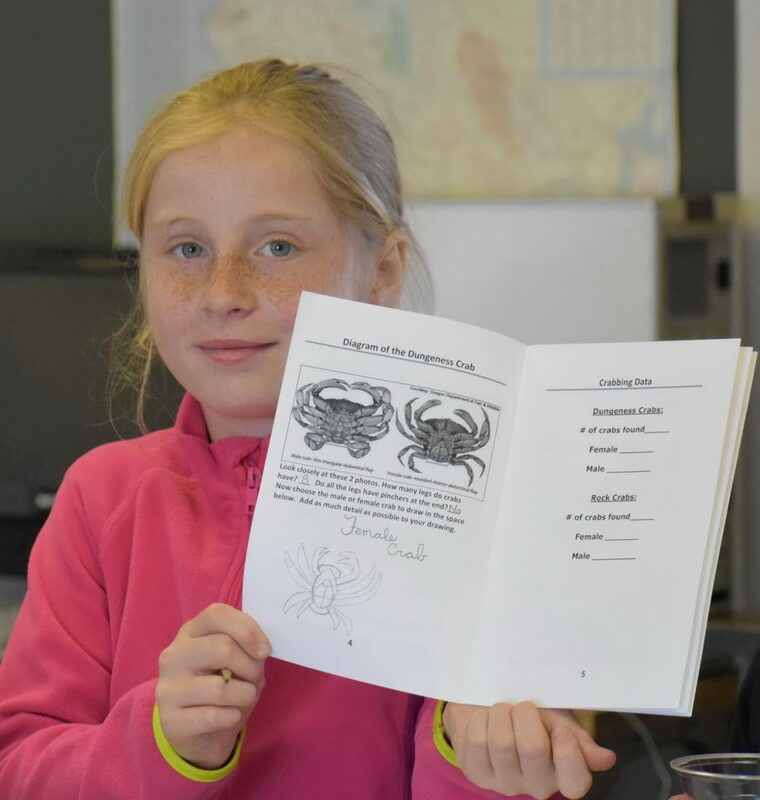 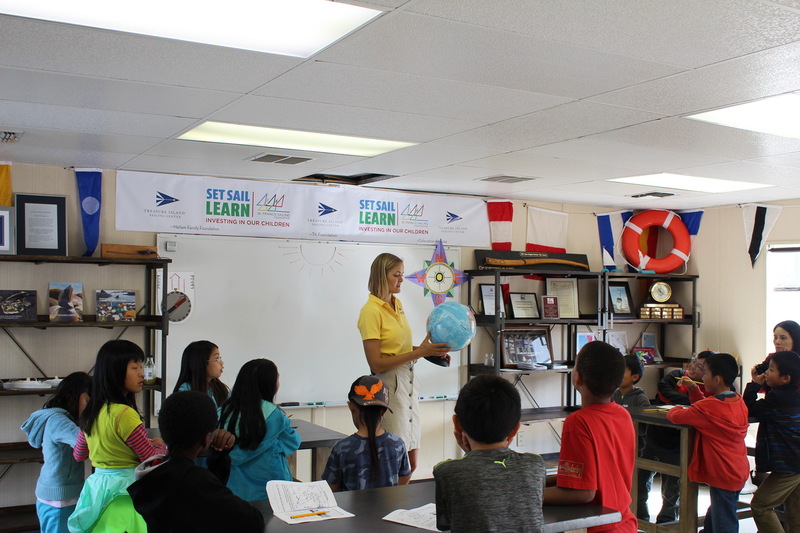 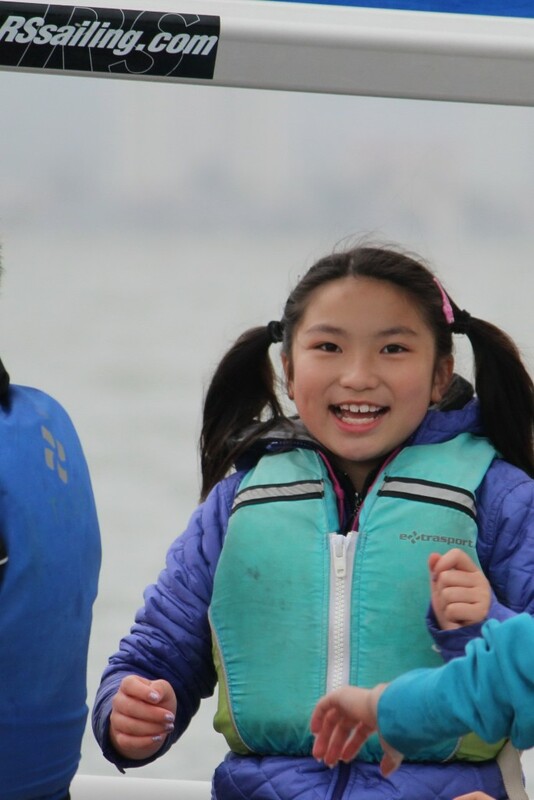 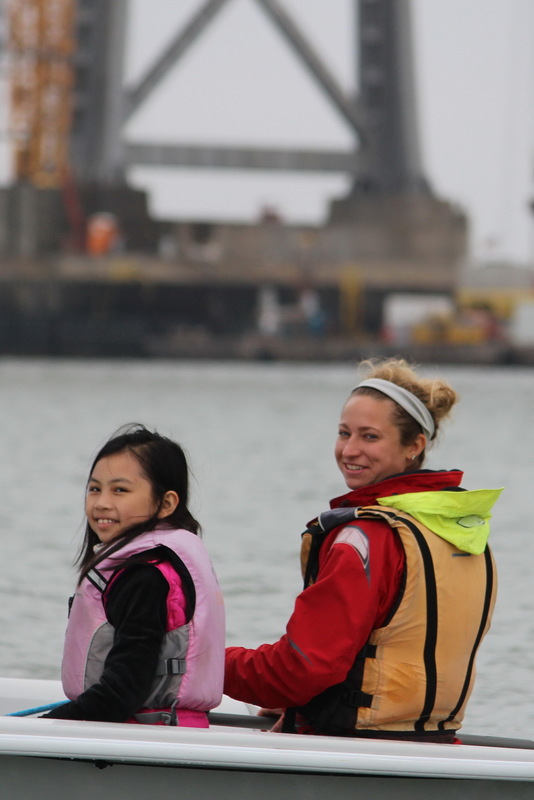 Every student in each of the 64 SSL classes to-date has always been briefed on boating safety and equipped with a life jacket on the docks and in the boats. 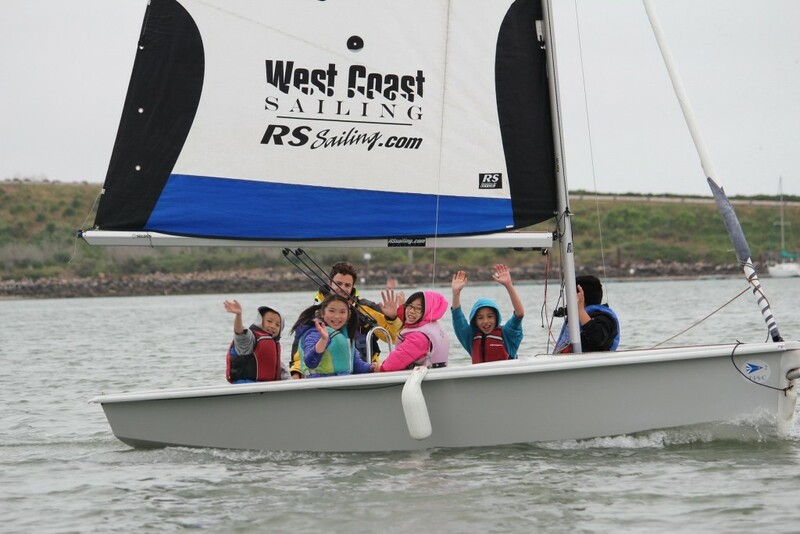 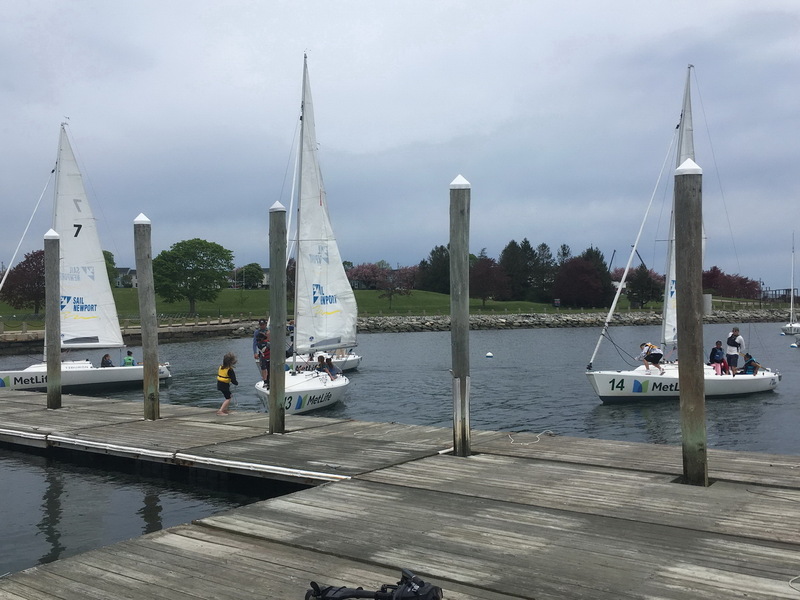 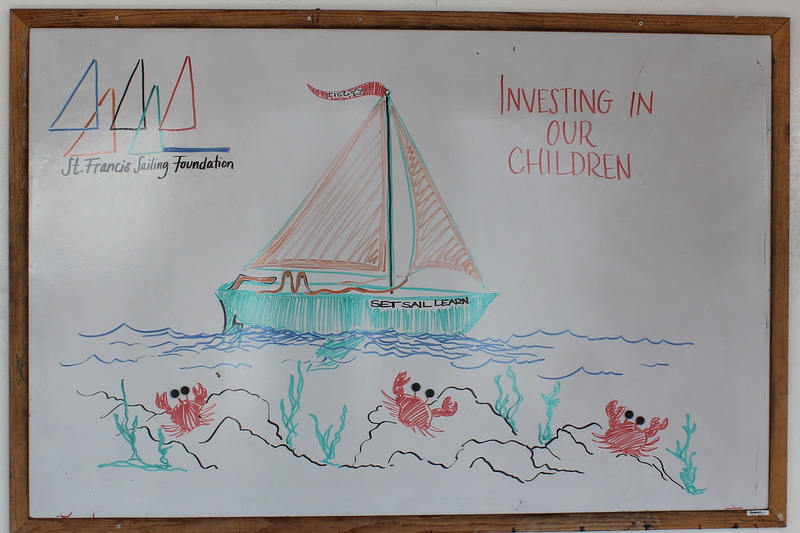 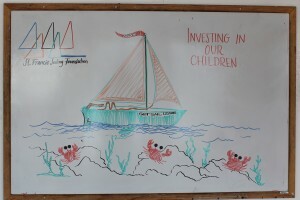 We use J/24 and RS Venture sailboats – safe and ideal for this program. 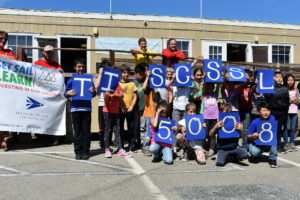 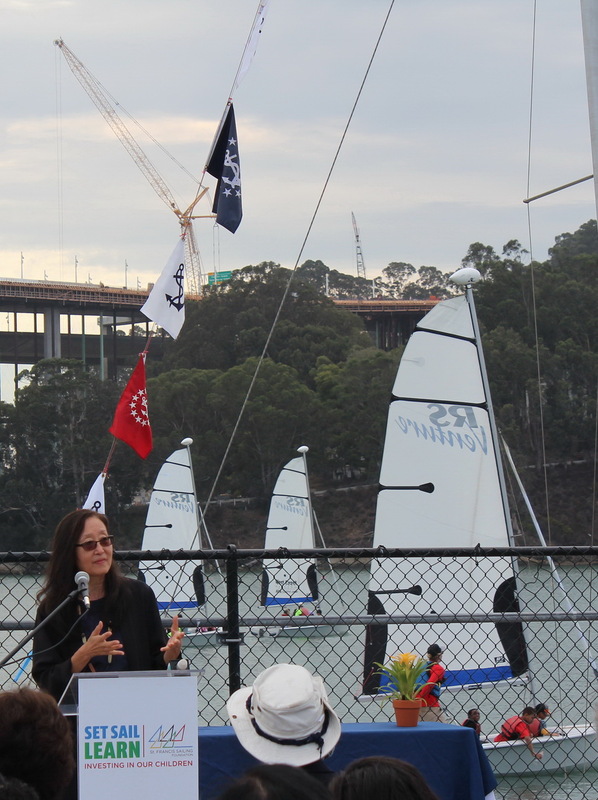 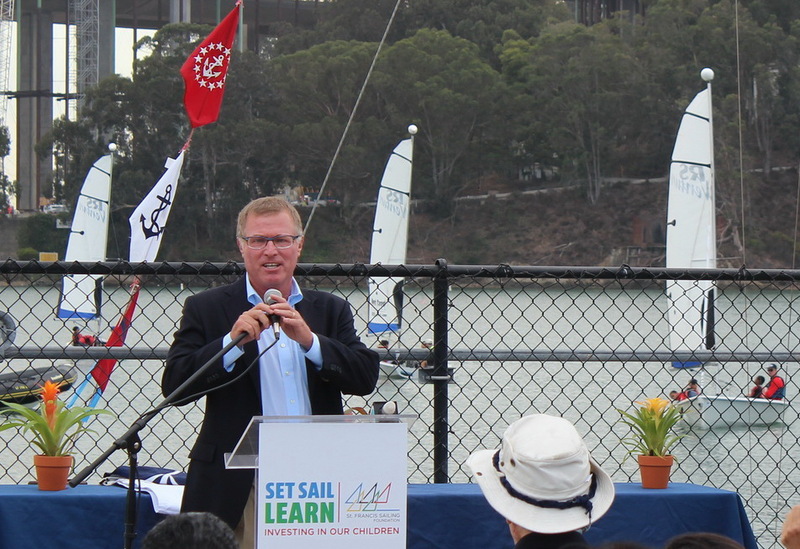 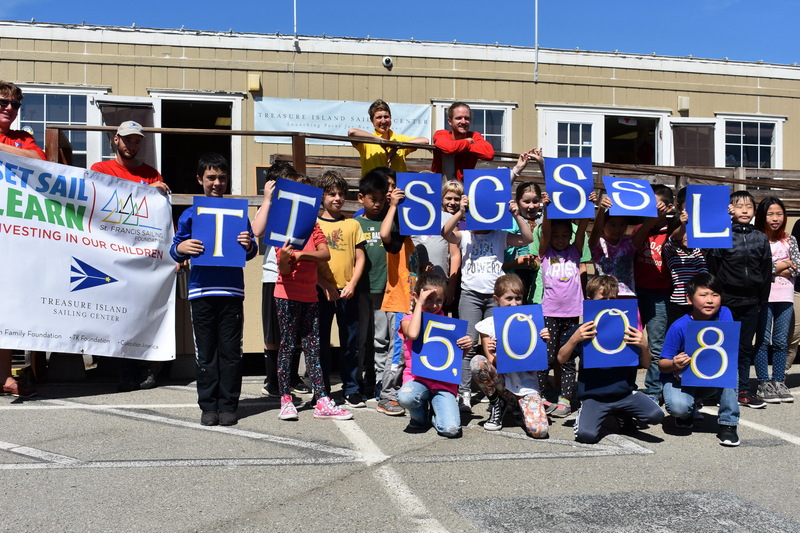 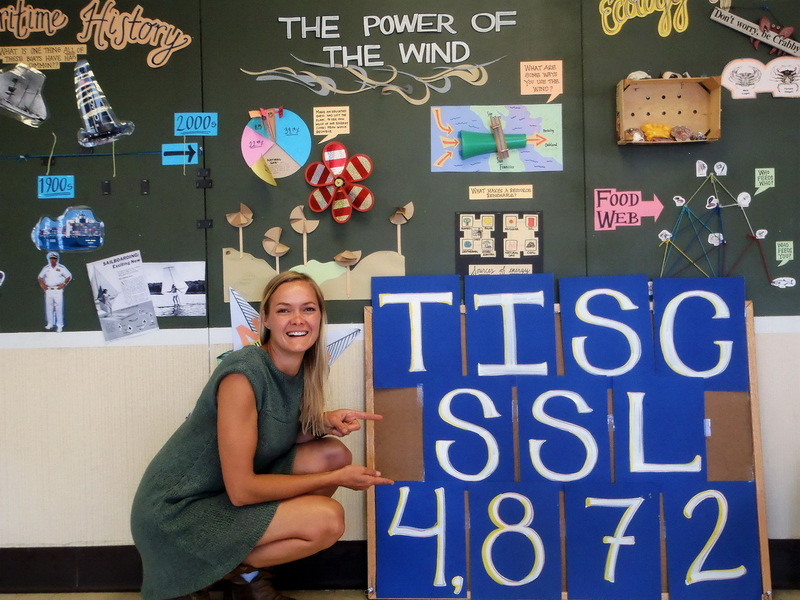 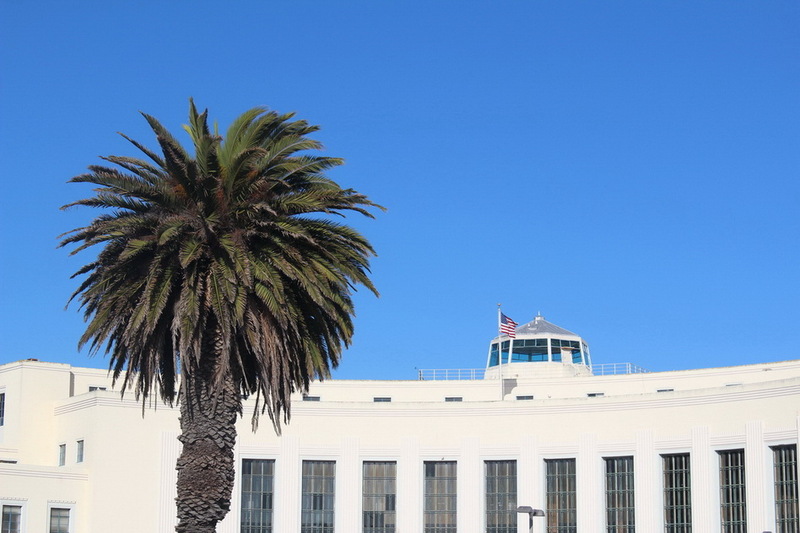 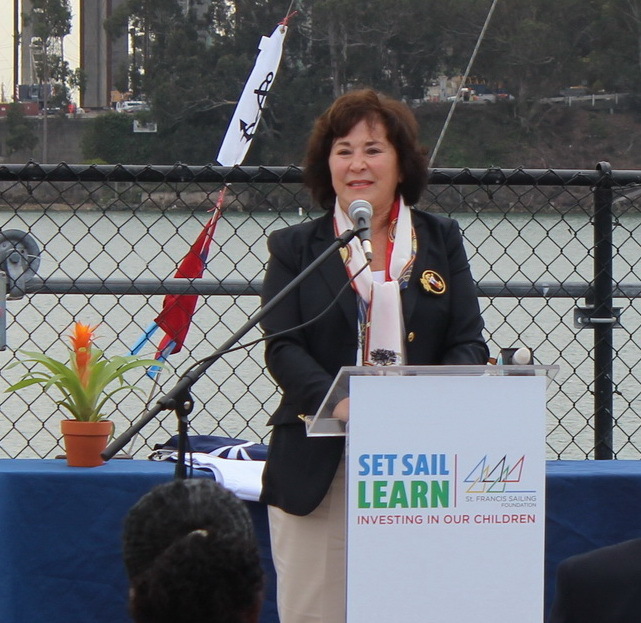 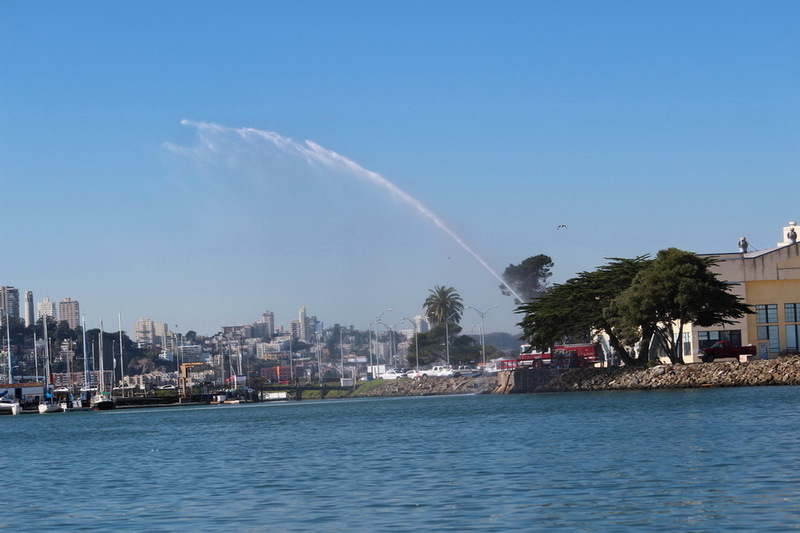 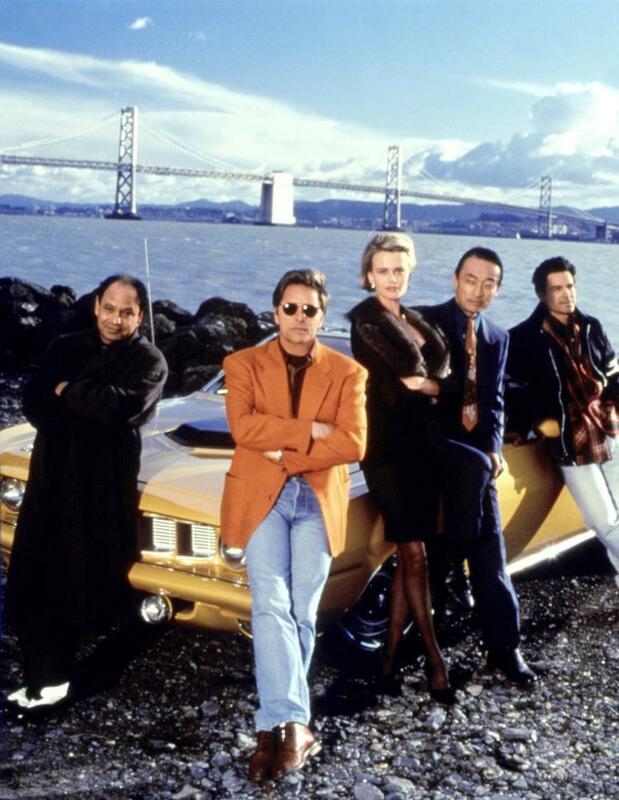 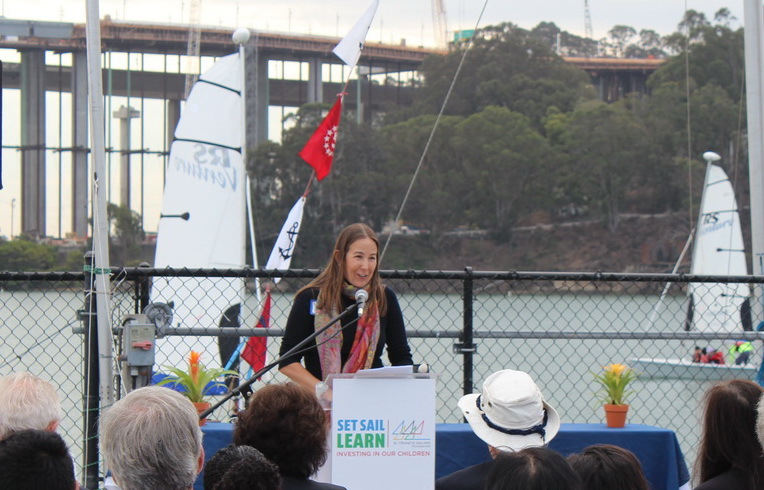 TISC Launched SSL in 2013 with support from the America’s Cup Organizing Committee and Mayor Ed Lee’s office. 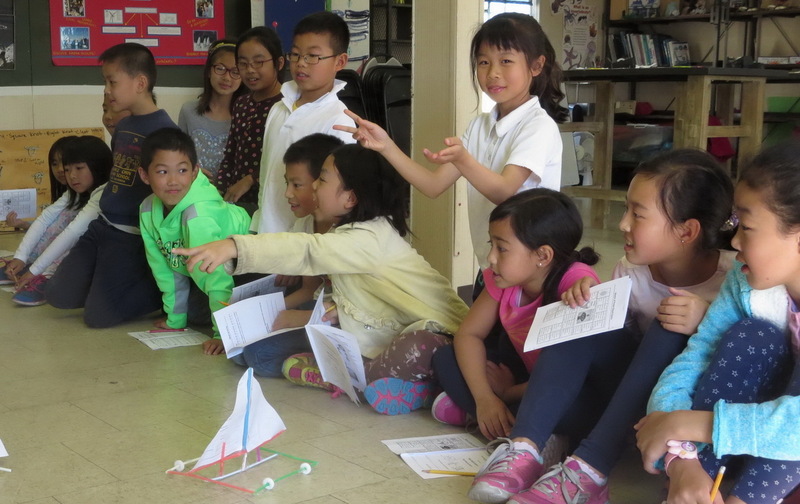 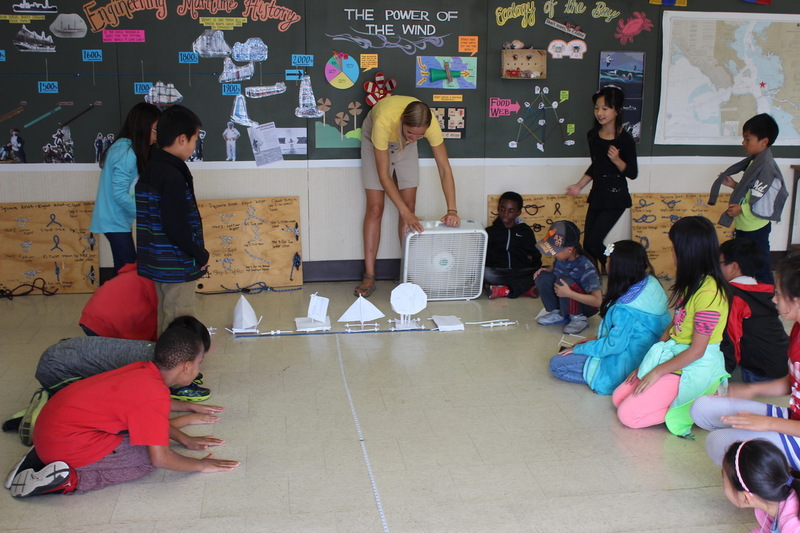 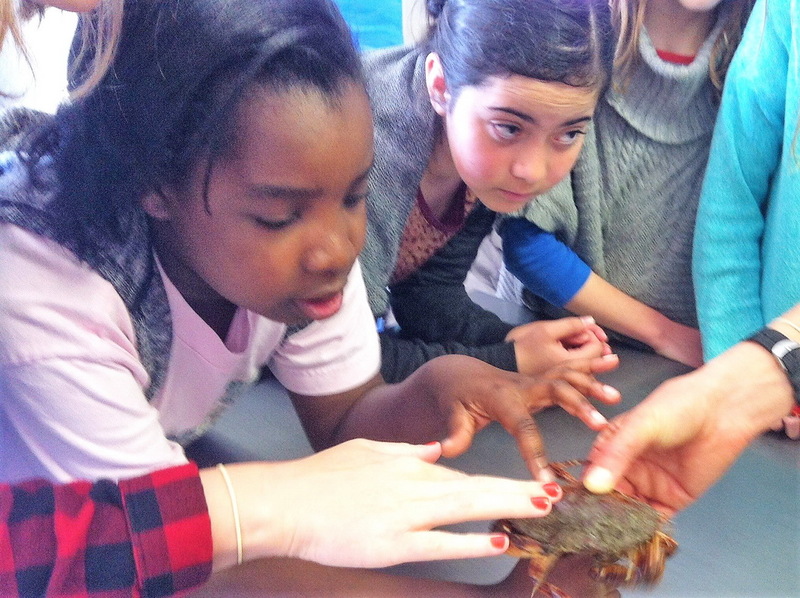 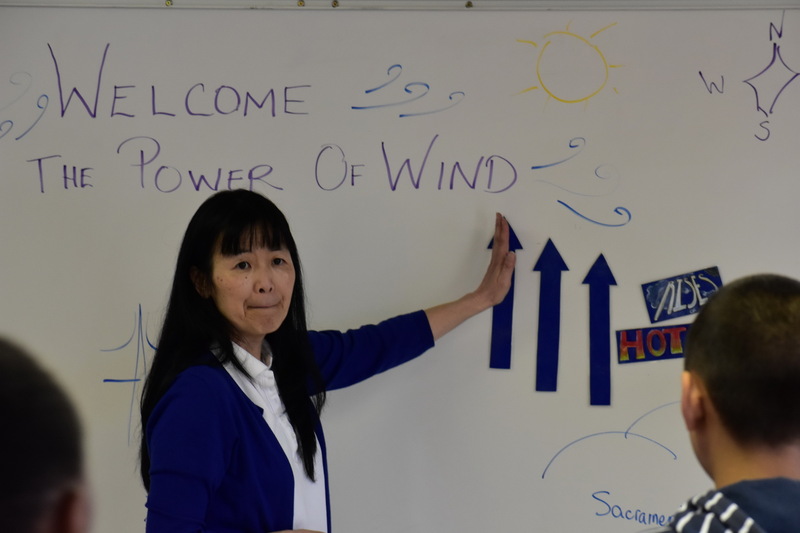 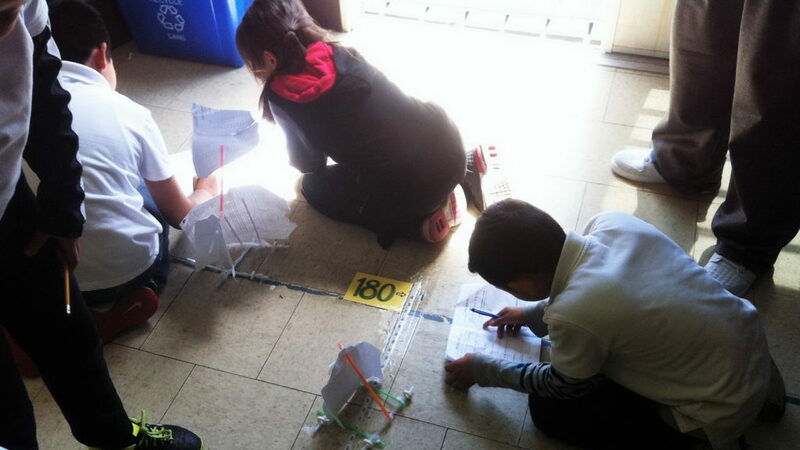 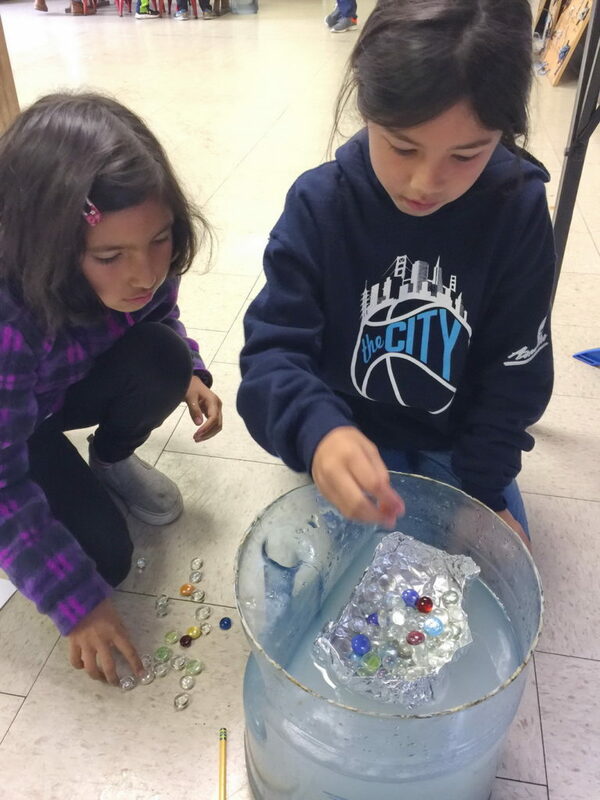 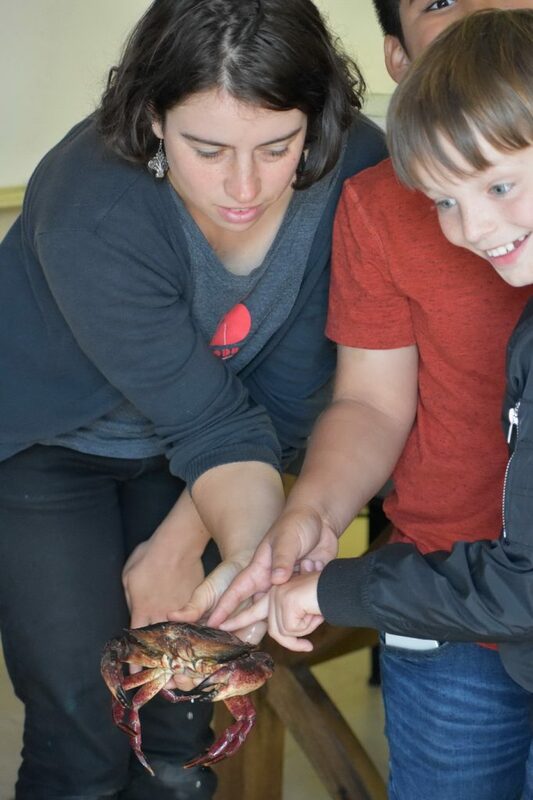 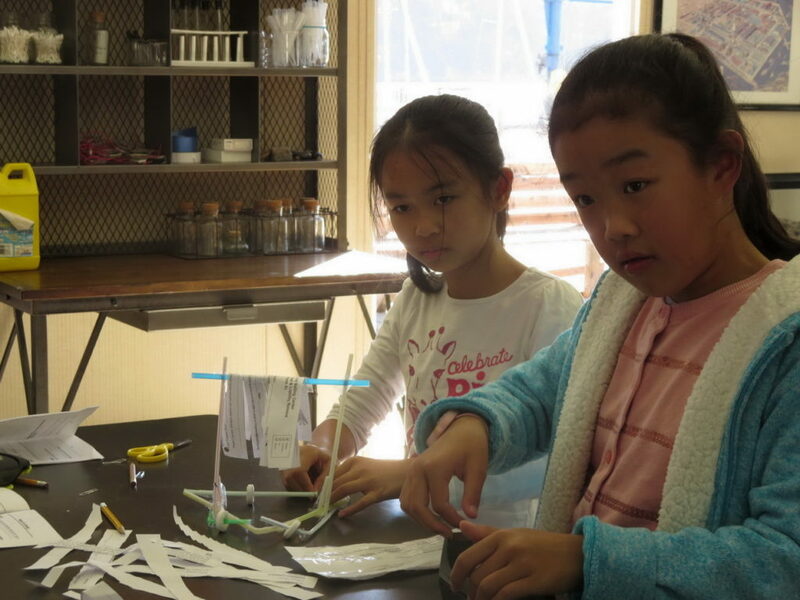 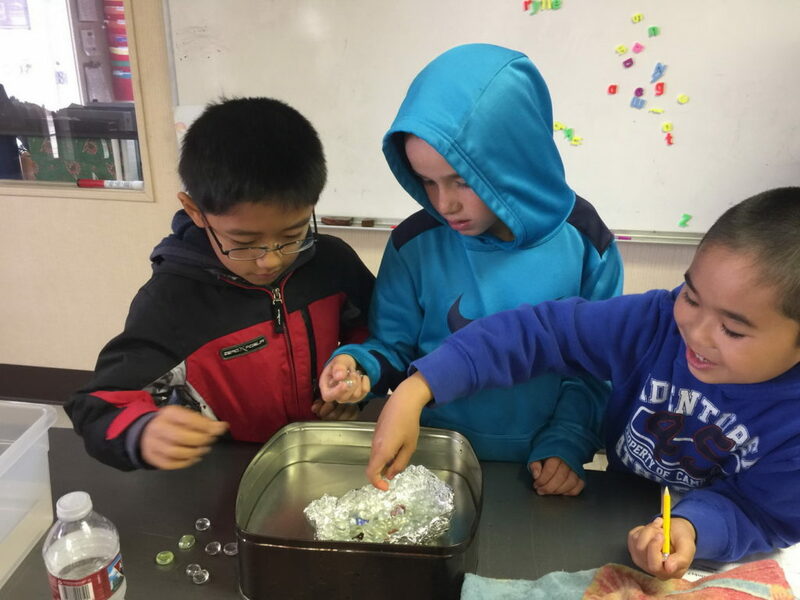 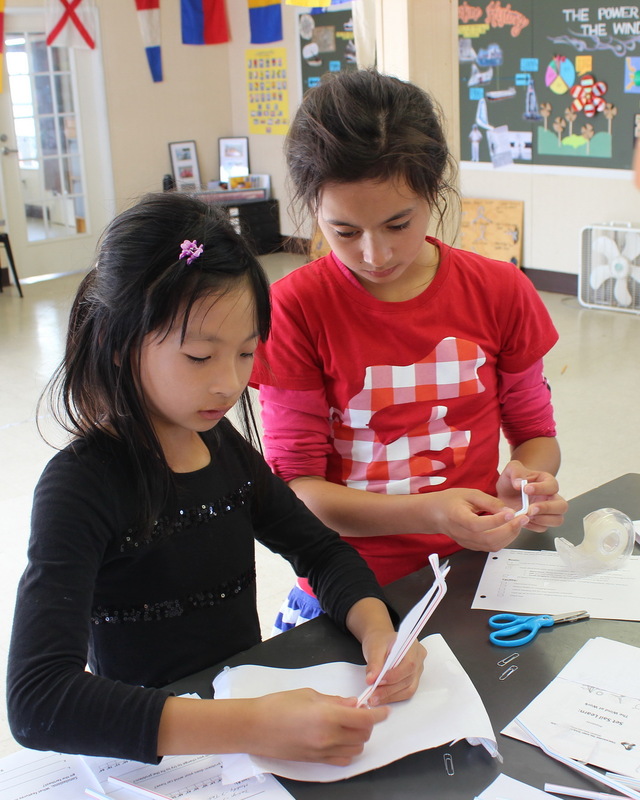 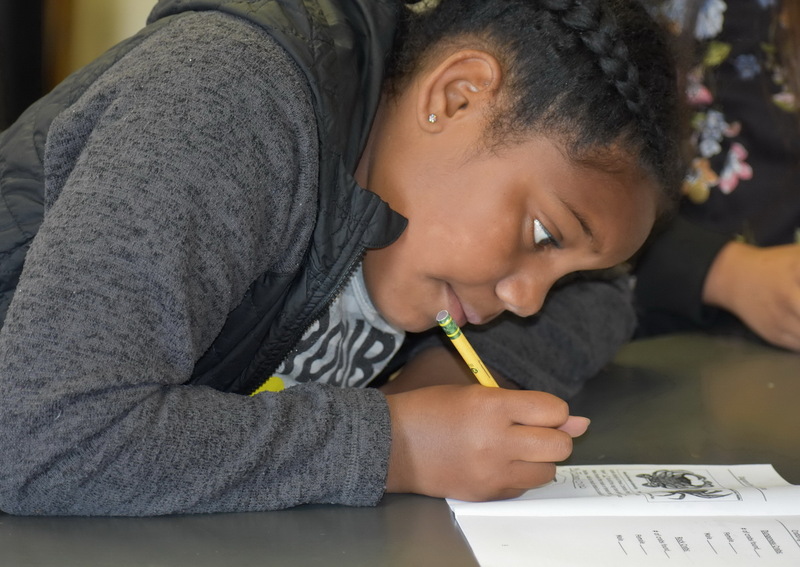 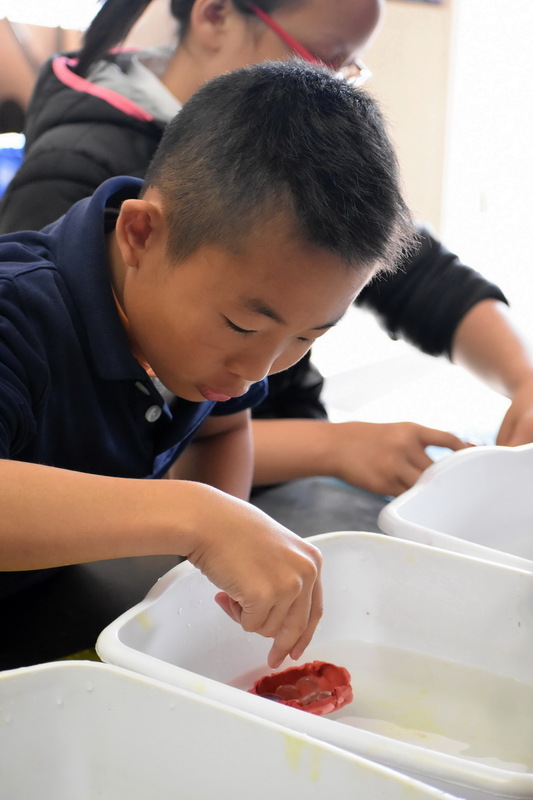 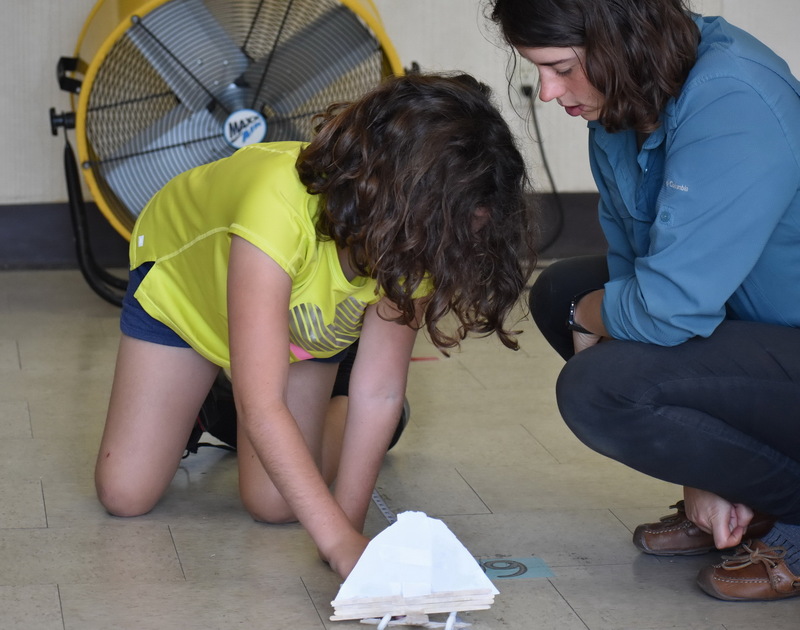 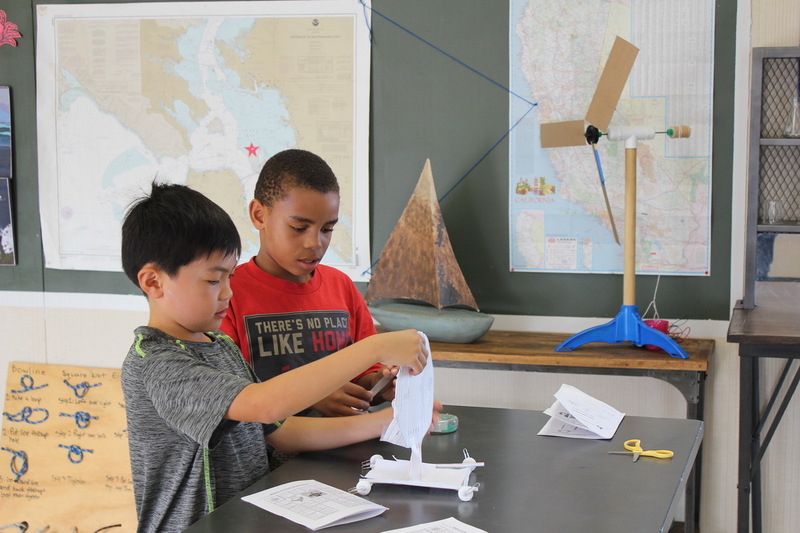 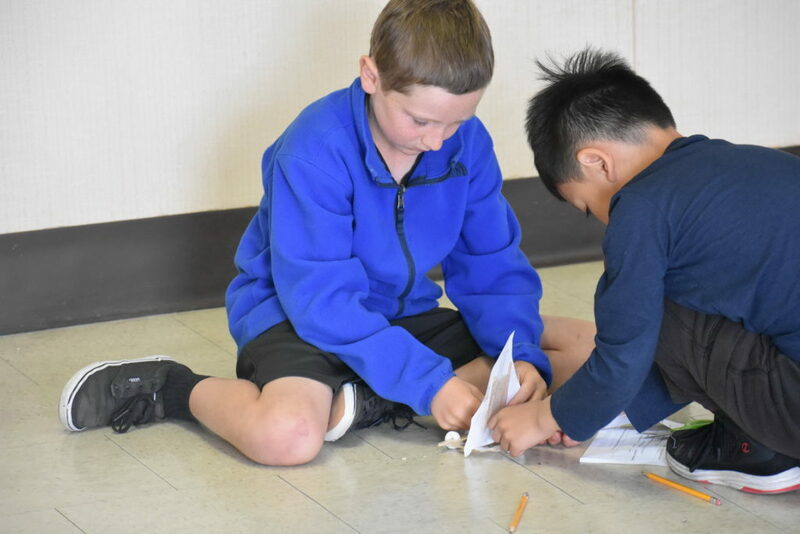 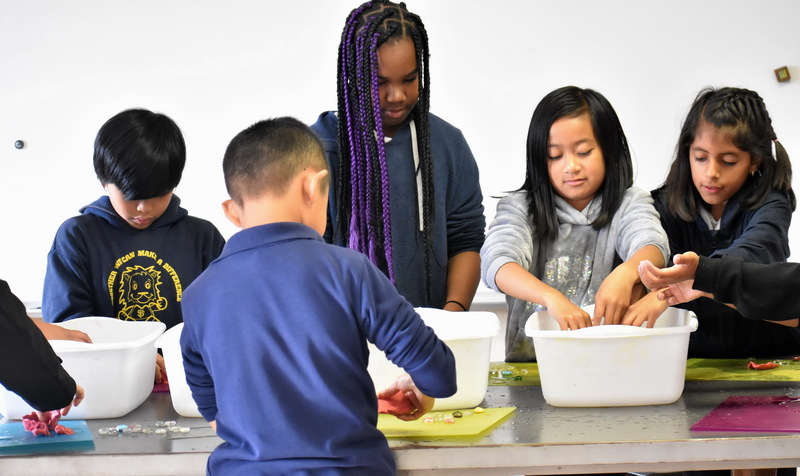 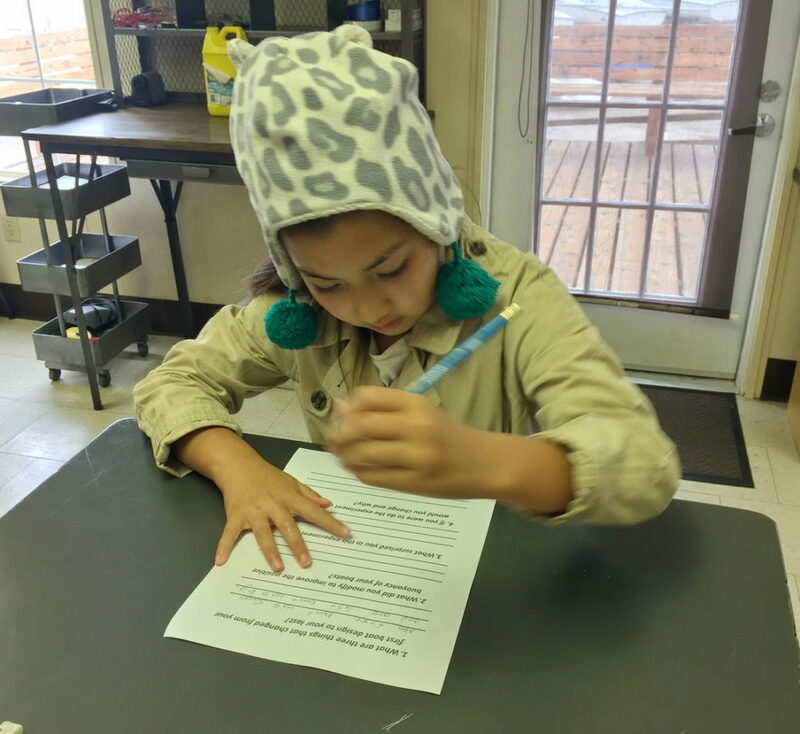 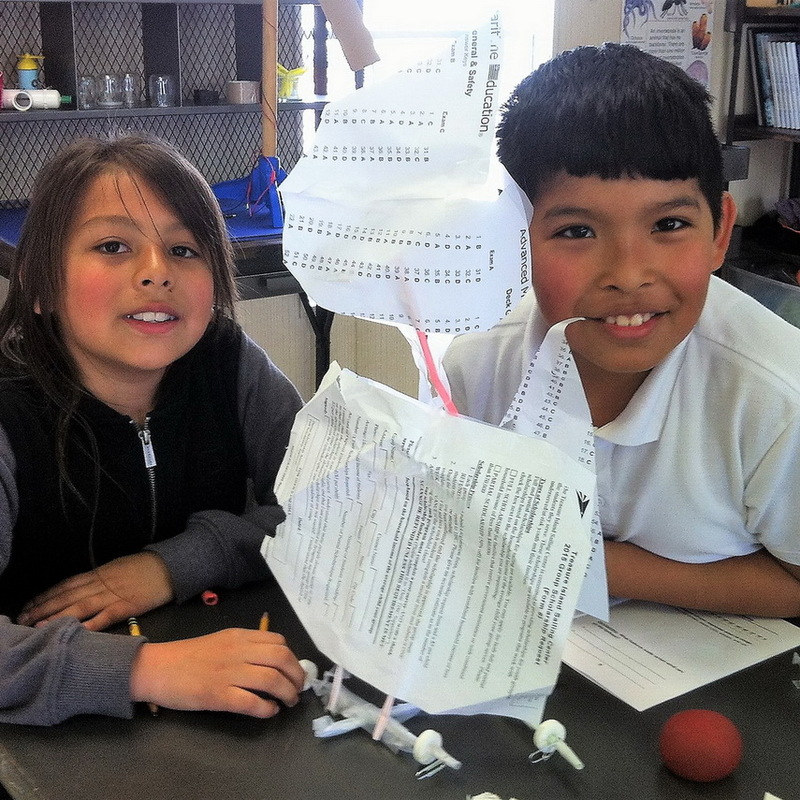 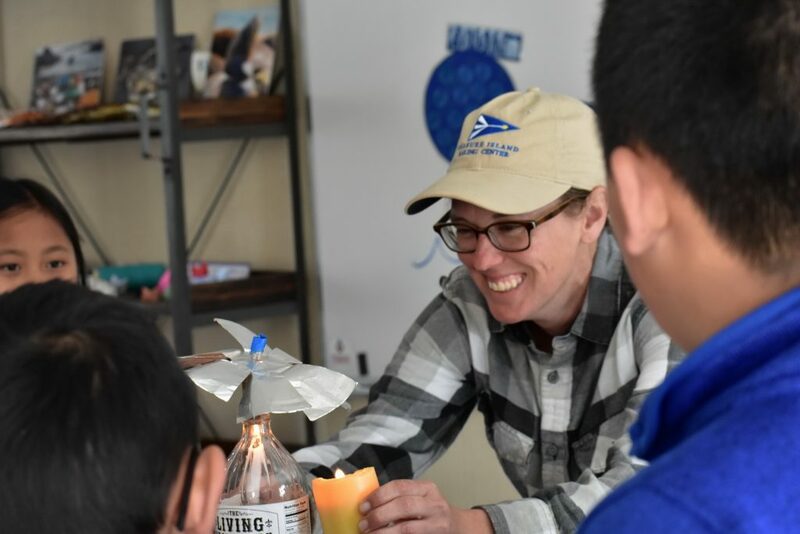 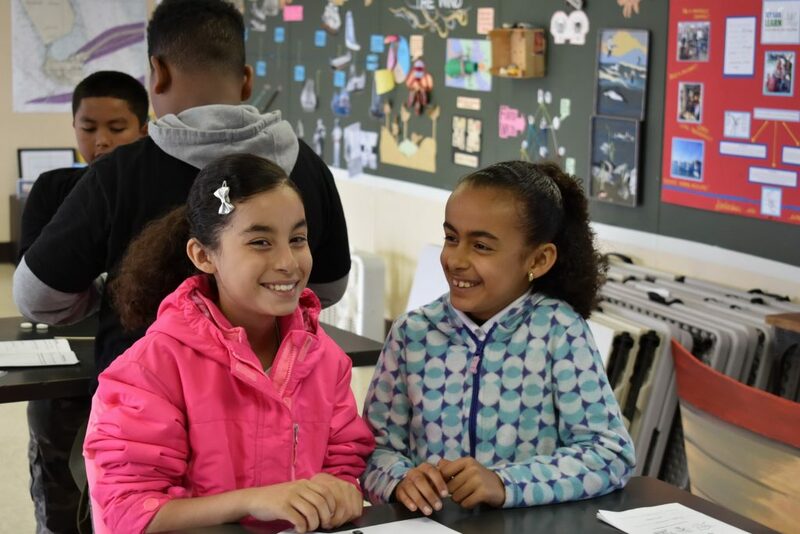 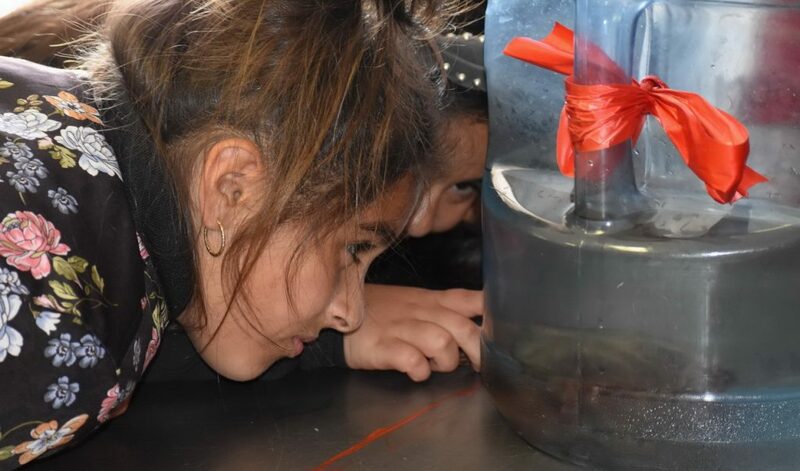 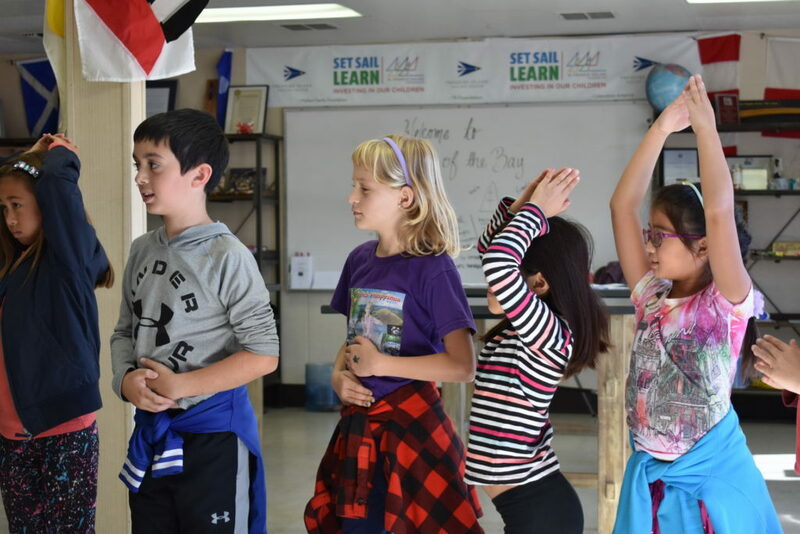 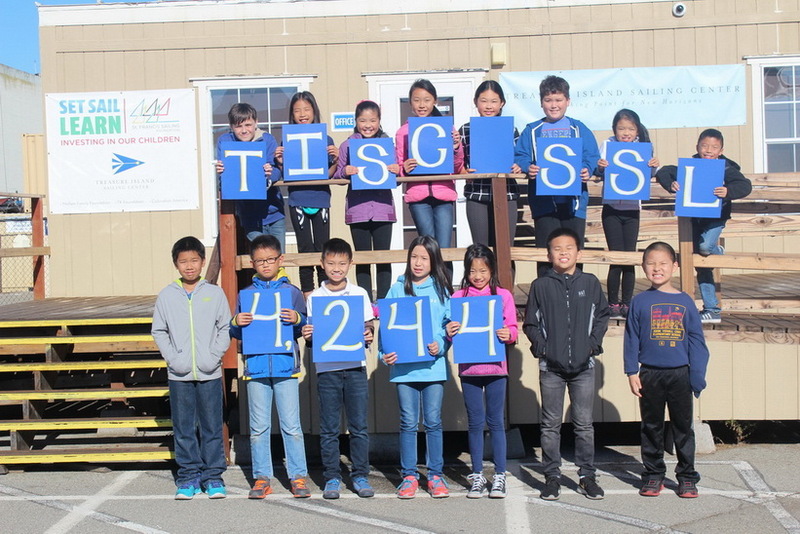 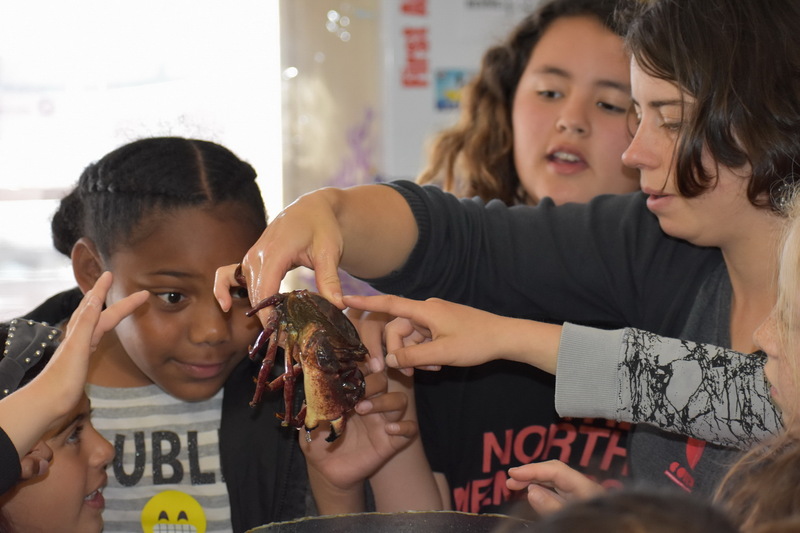 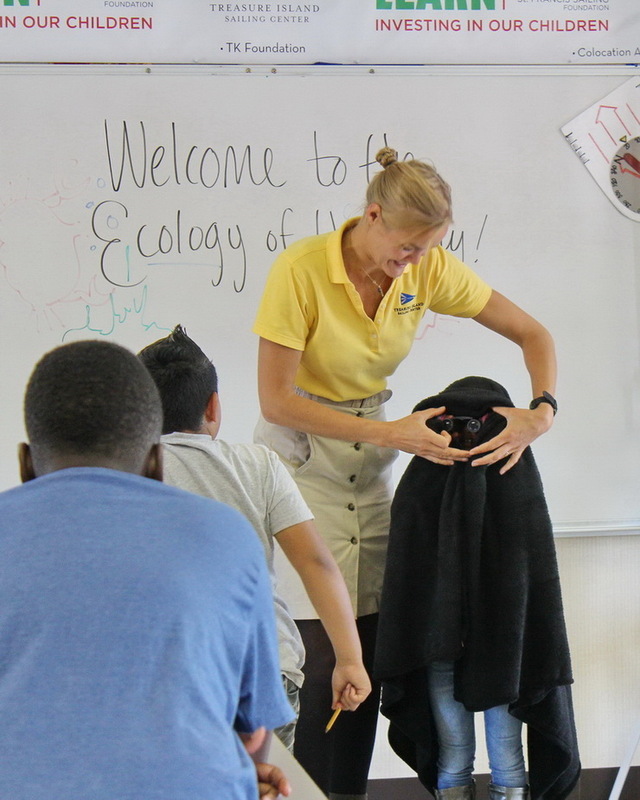 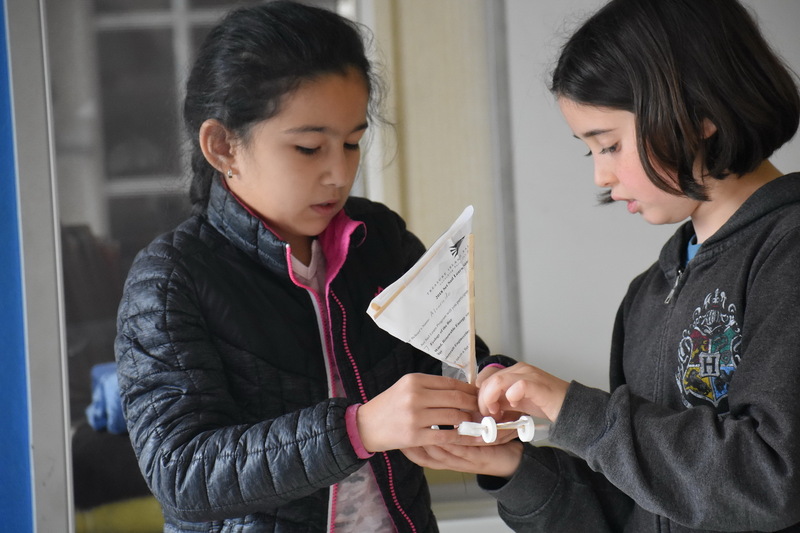 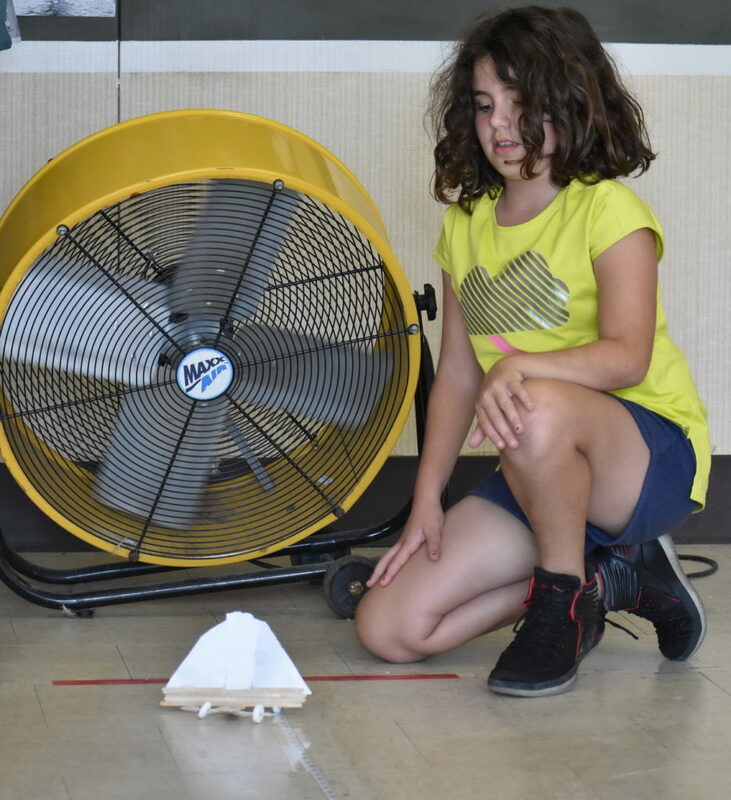 The program provides an experiential learning opportunity open to every fourth grader in the San Francisco Unified School District at no charge. 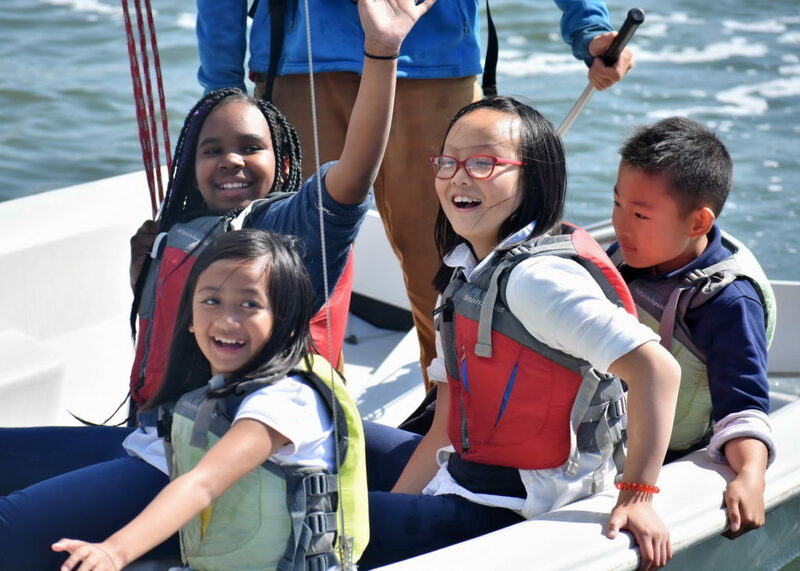 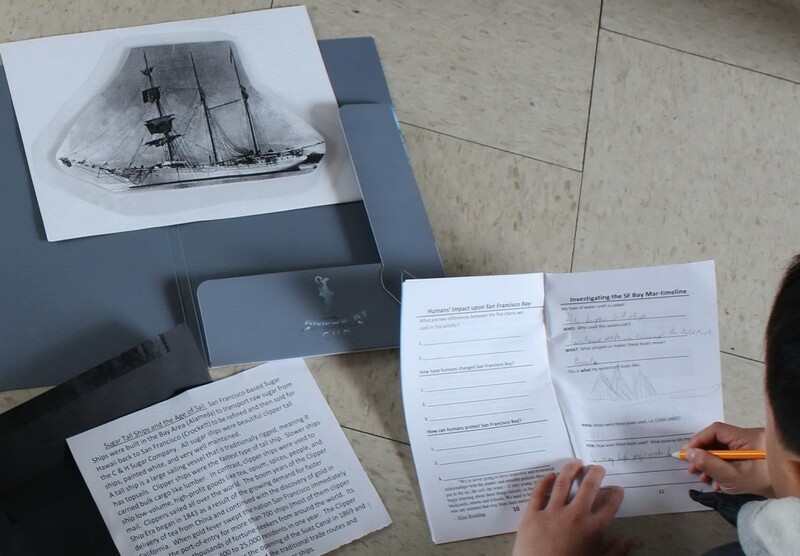 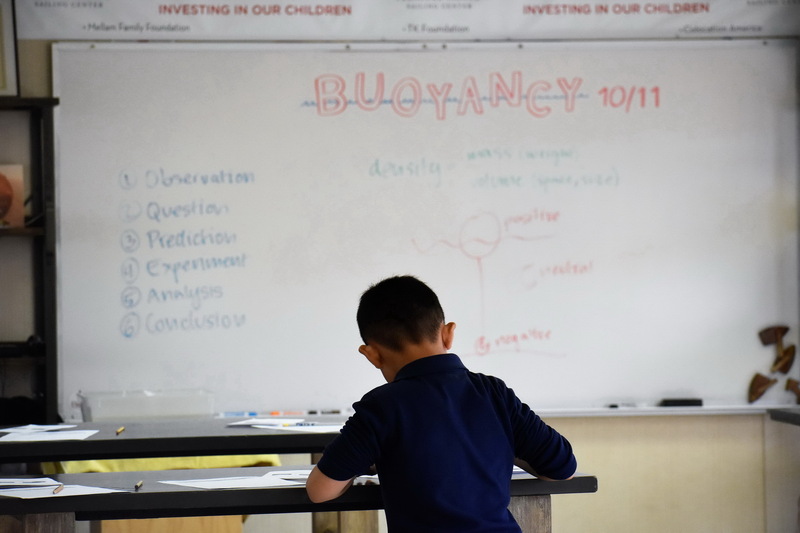 Our objective: open a door to the Bay and the world of sailing using hands-on lessons while teaching 4th grade core standards. Hi-resolution downloads of the pictures above – and more – are available for sharing with school representatives and parents. 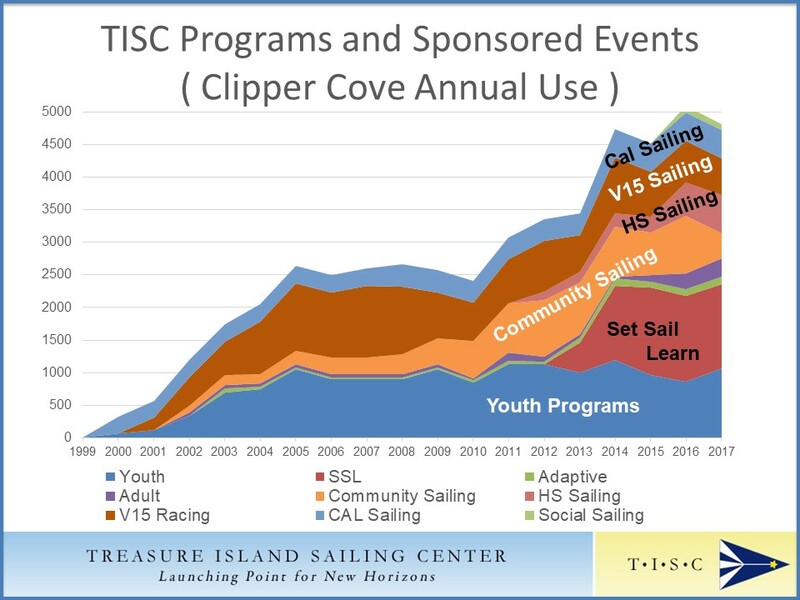 If interested please contact the TISC office. 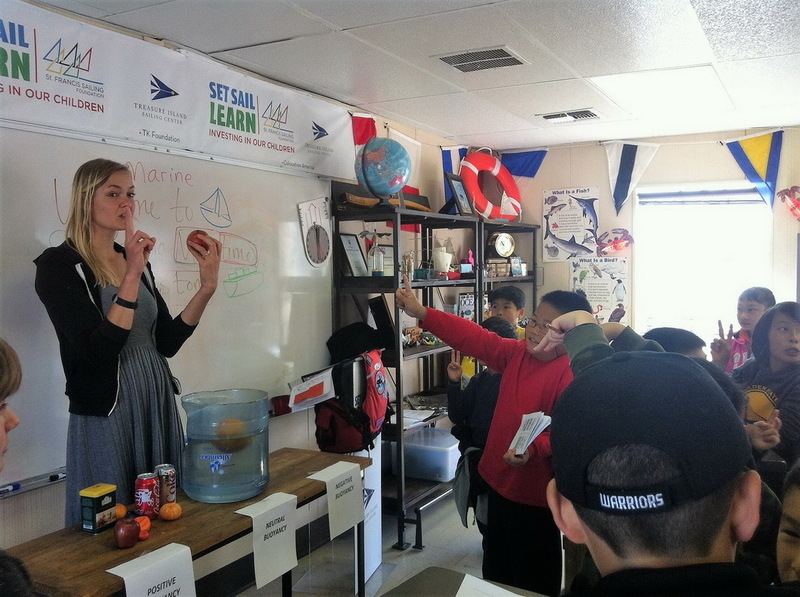 By the way, thanks and a tip-of-the-cap to our excellent instructors who are vital to the success of the SSL program.